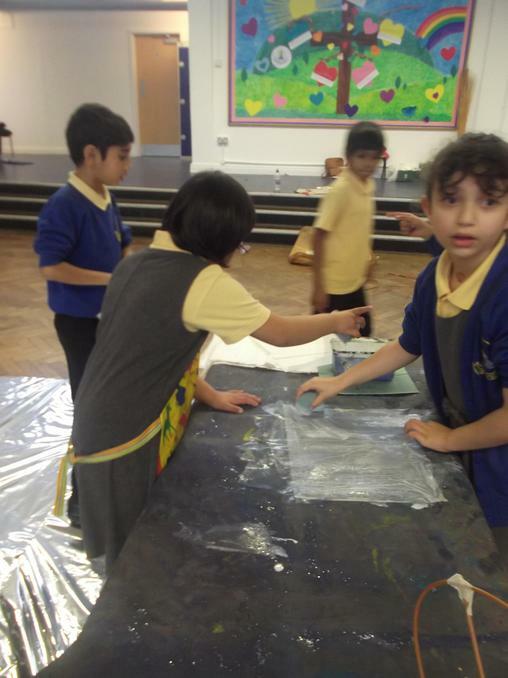 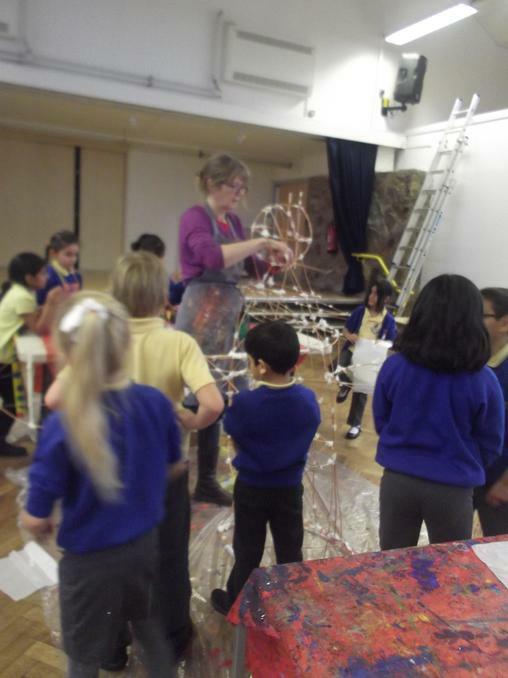 This Half tem Year 3 will be exploring our town. 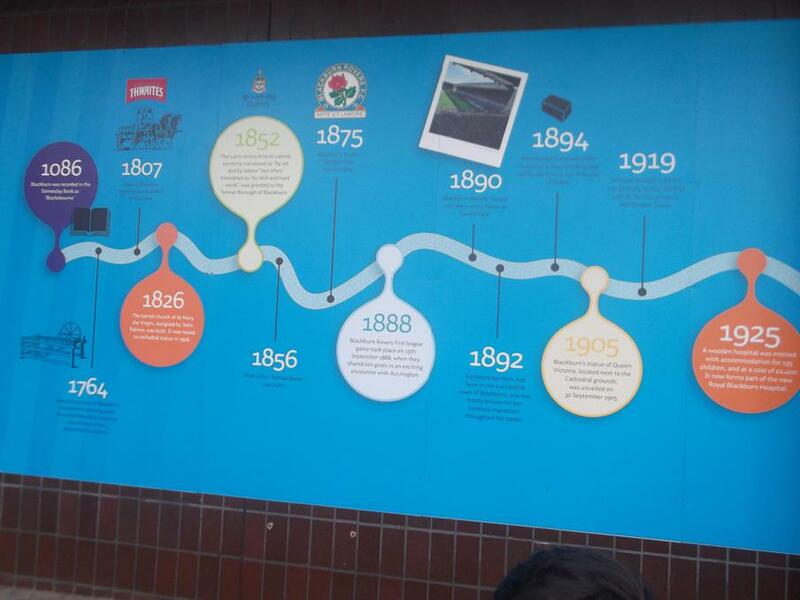 Focusing on how the town has changed over the last 100 years. 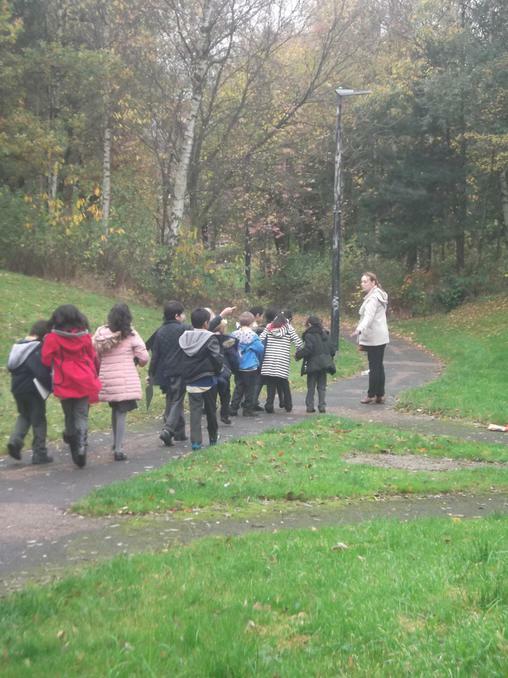 Year 3 went on a town trail to look at how the town had changed over the last 100 years. 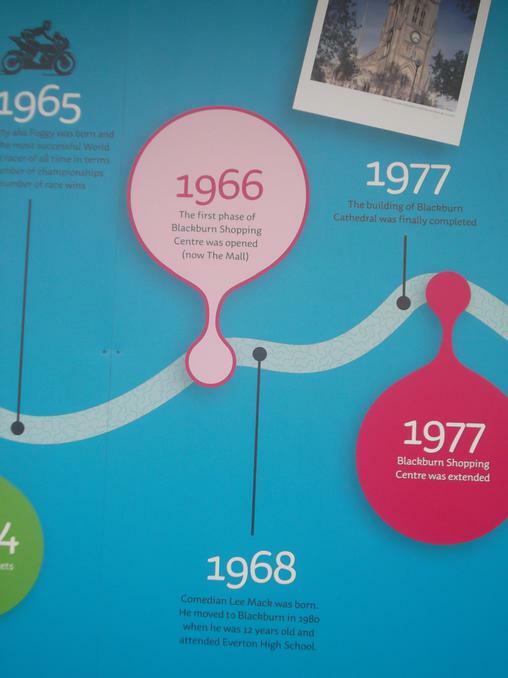 We saw blue plaques on the wall. 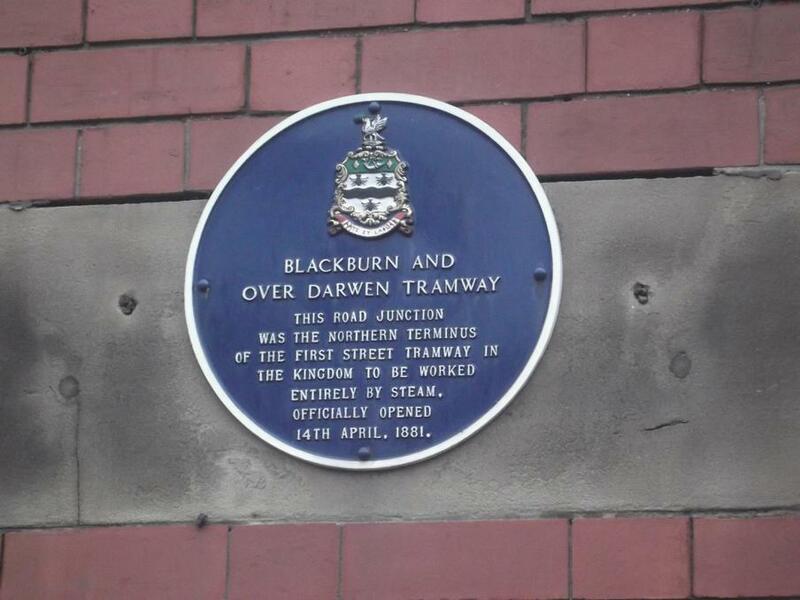 The plaque on the old Post Office told us that the steam trams turned around there. 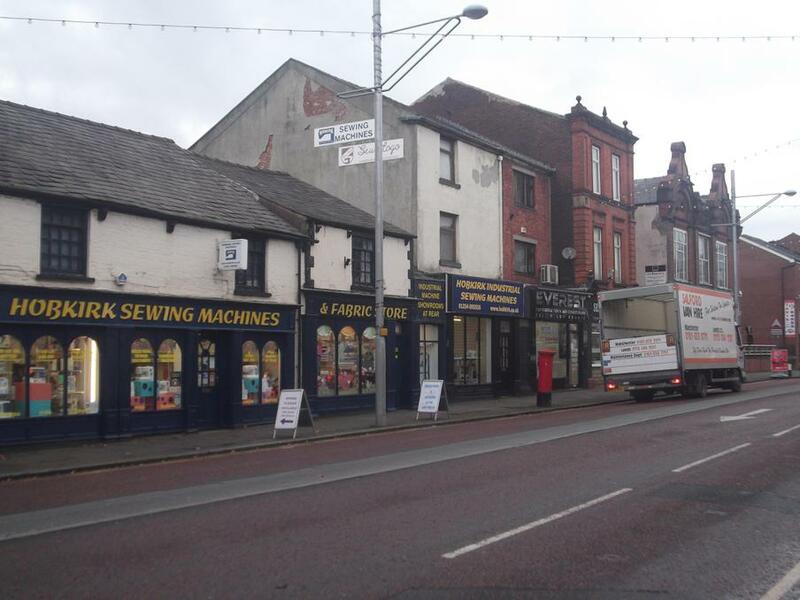 This building is over 100 years old! 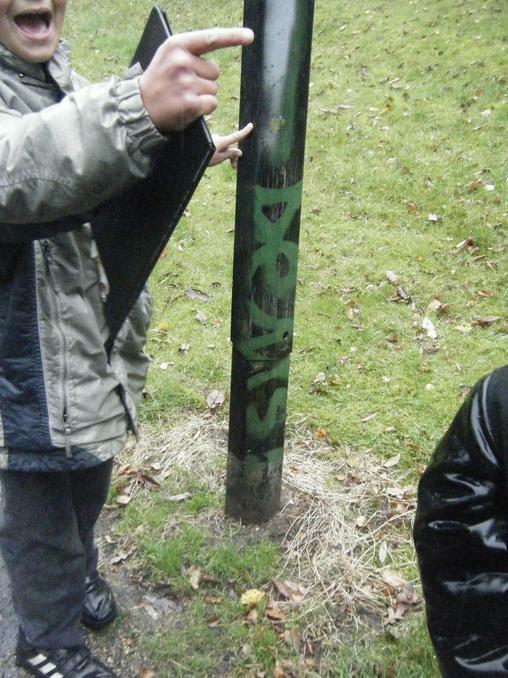 Once we reached Flemming Square children looked at a fountain which was erected in 1858. 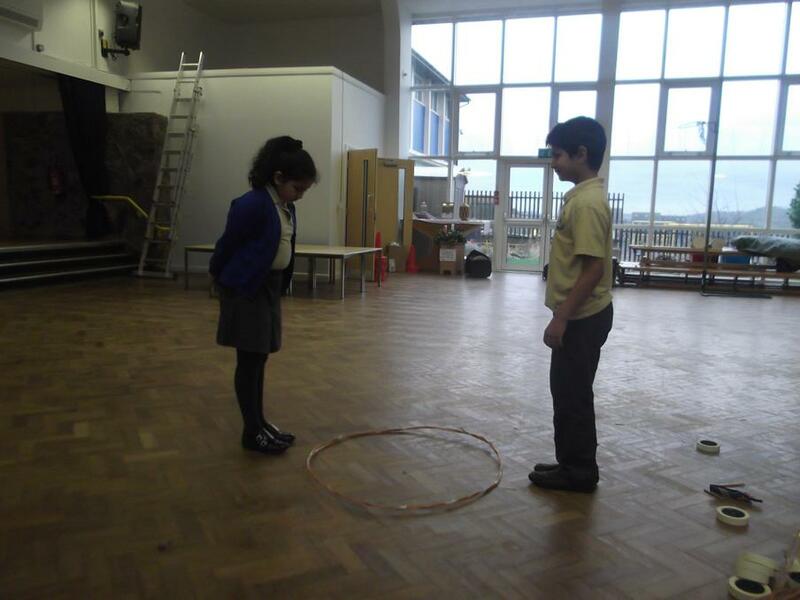 A poem by Julia Copus called Possibility was snaked along the floor. 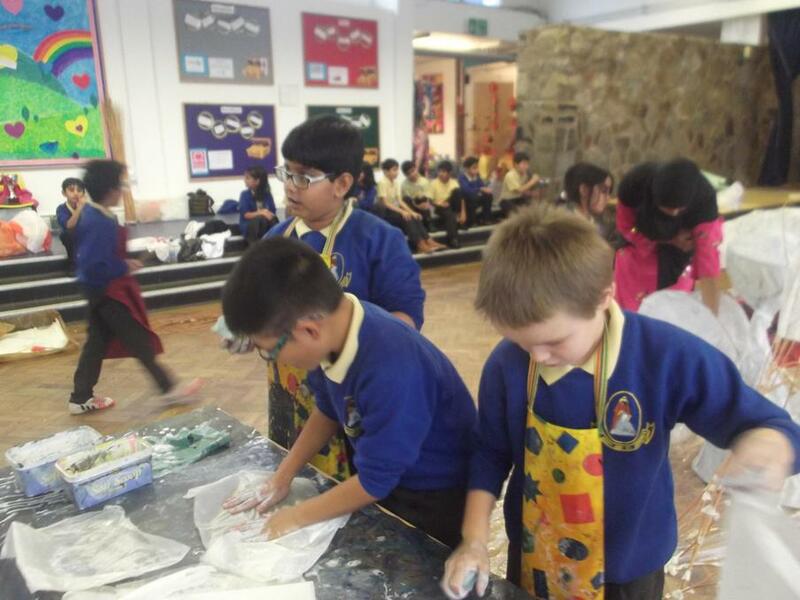 The old Turkish baths were transformed into shops, like a hair salon. 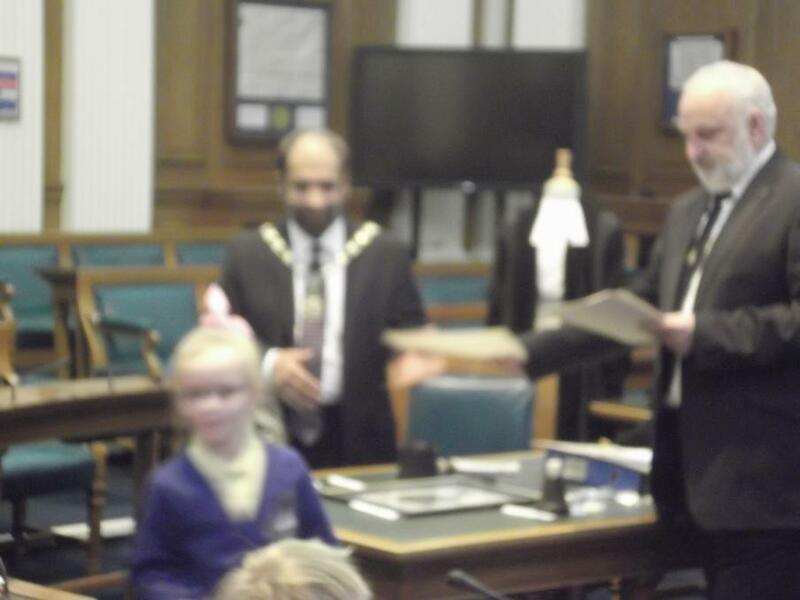 We then walked to the tourist information centre in the Market to ask questions about Blackburn. 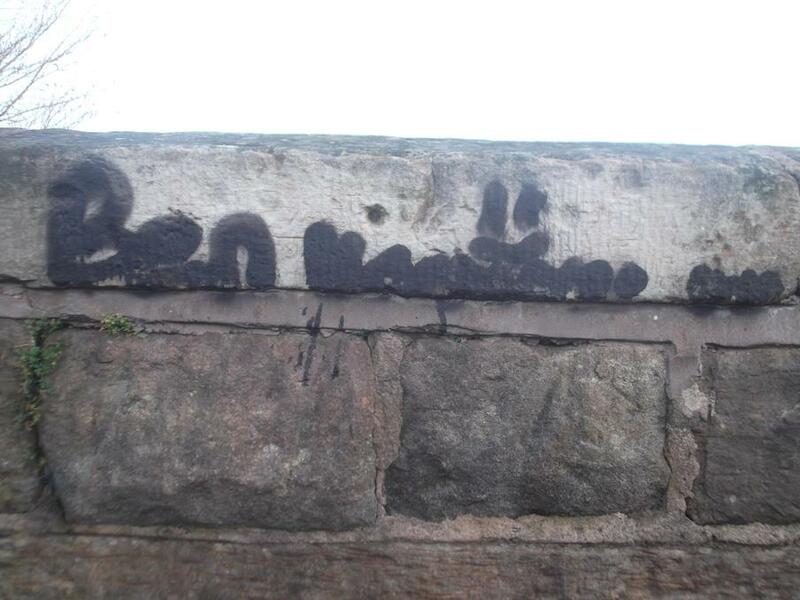 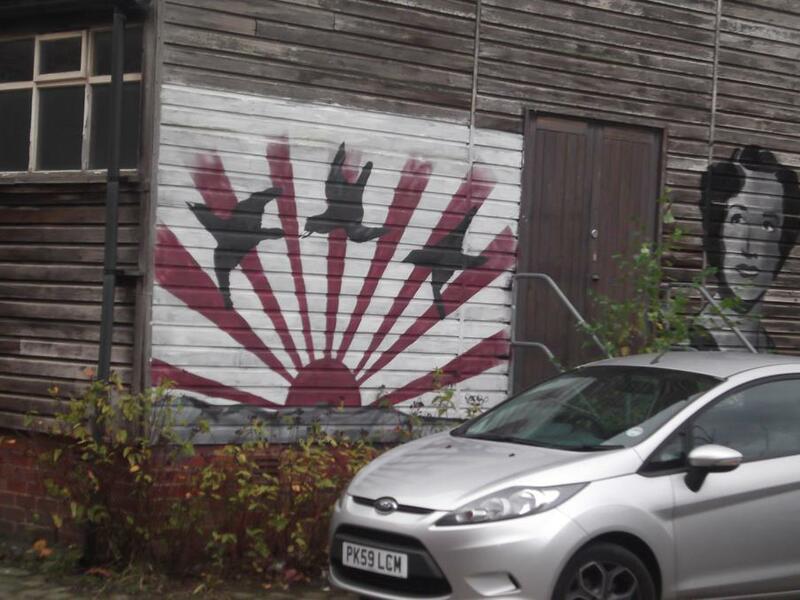 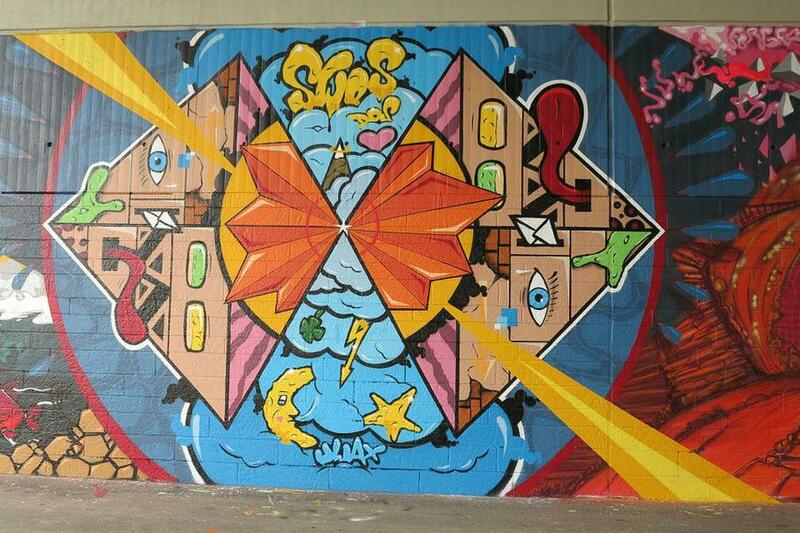 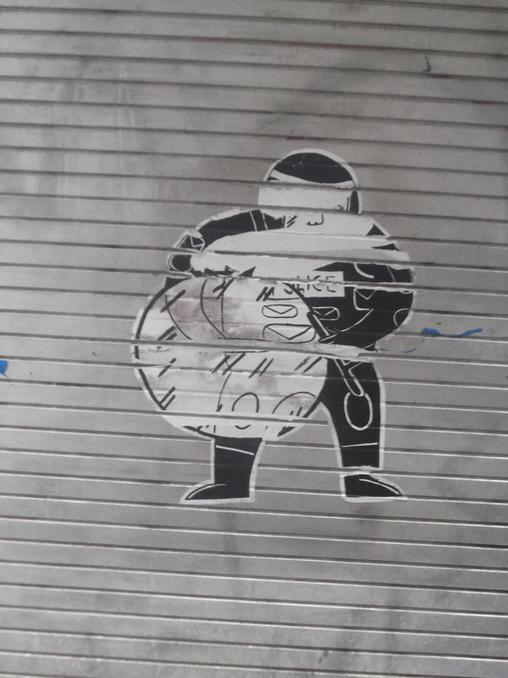 Whilst we were walking around town, we looking out for graffiti and deciding if it is art or graffiti, take a look and decide is it art or graffiti? 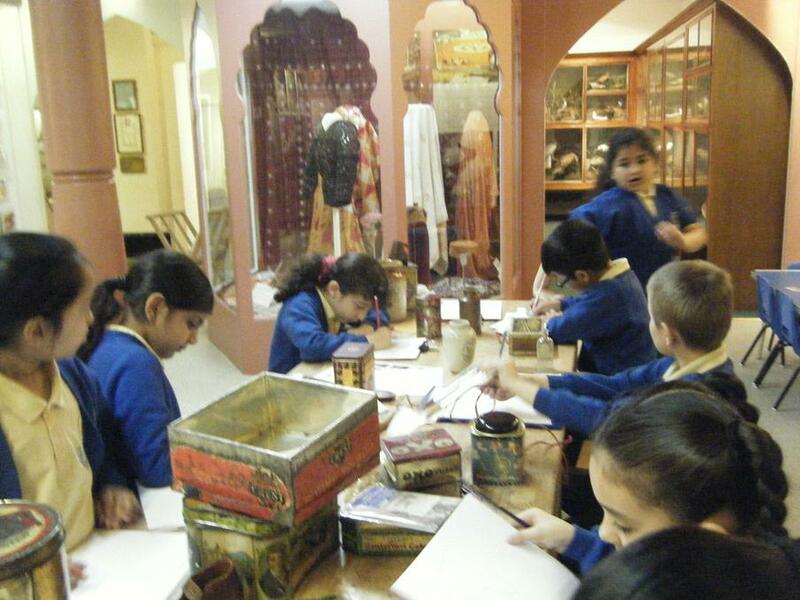 During the morning we went to meet Steve in Blackburn Museum. 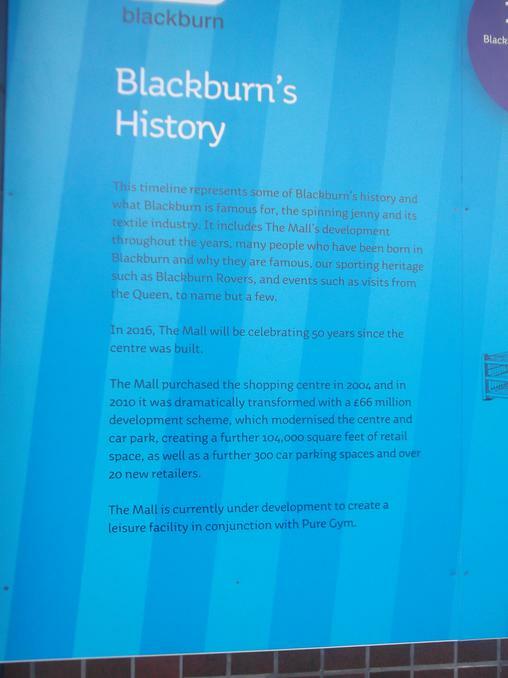 When we arrived we looked at really old maps, we learnt that Blackburn started as a village a very long time. 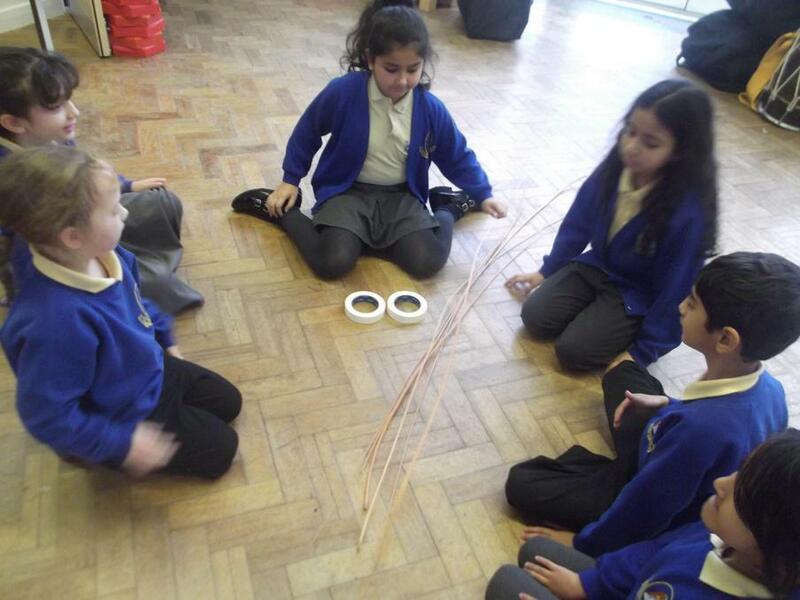 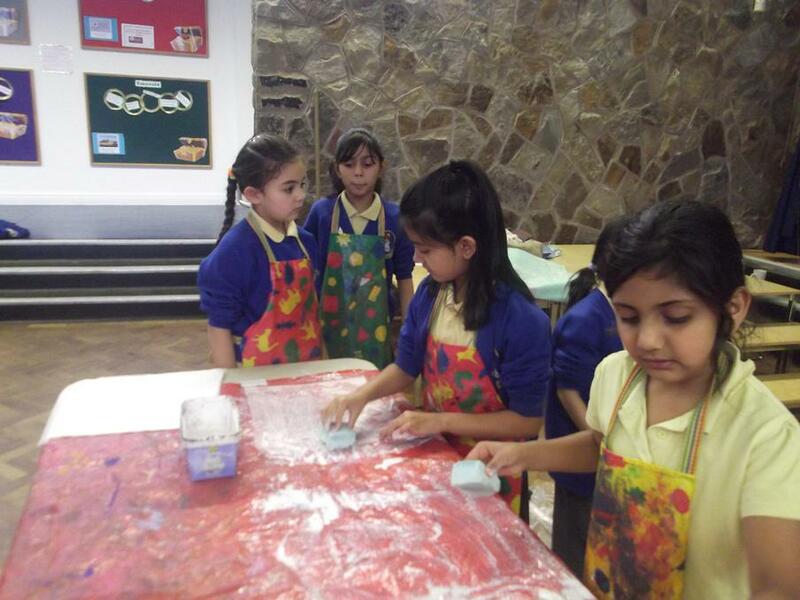 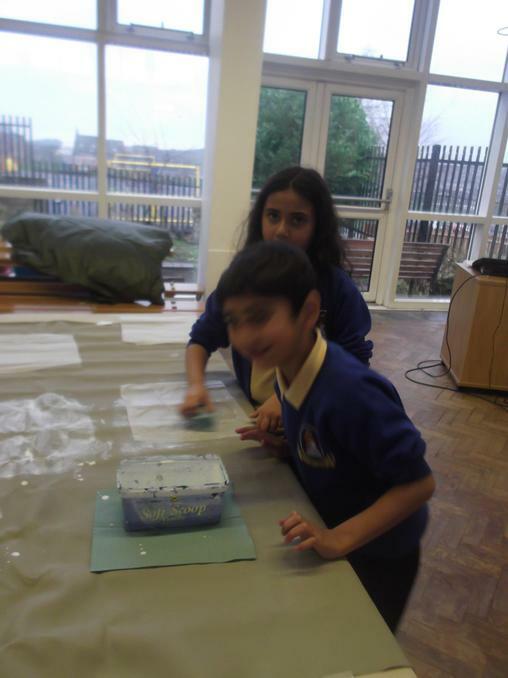 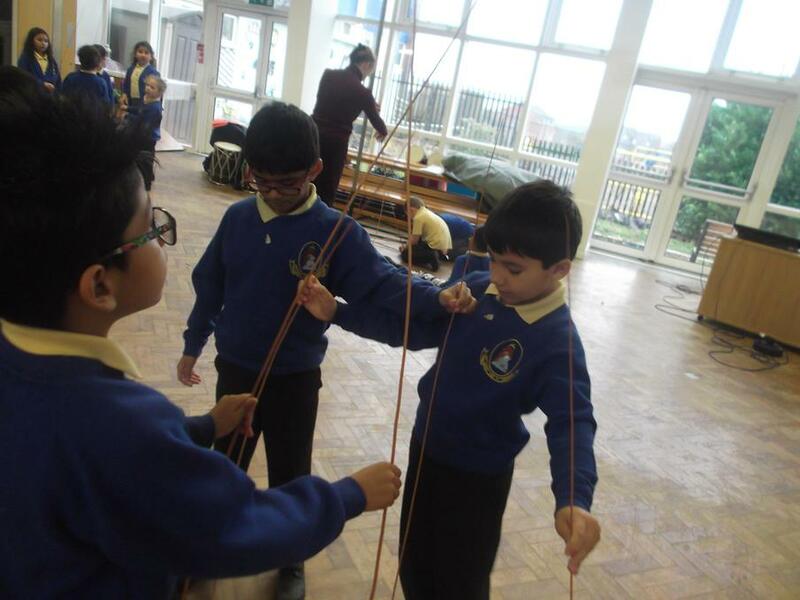 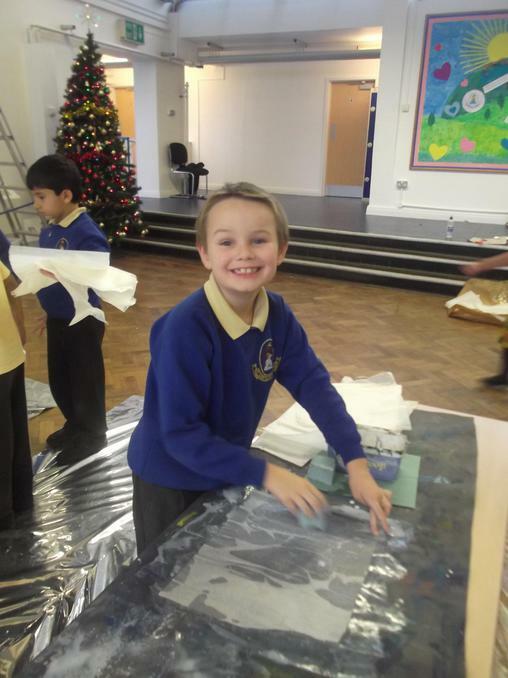 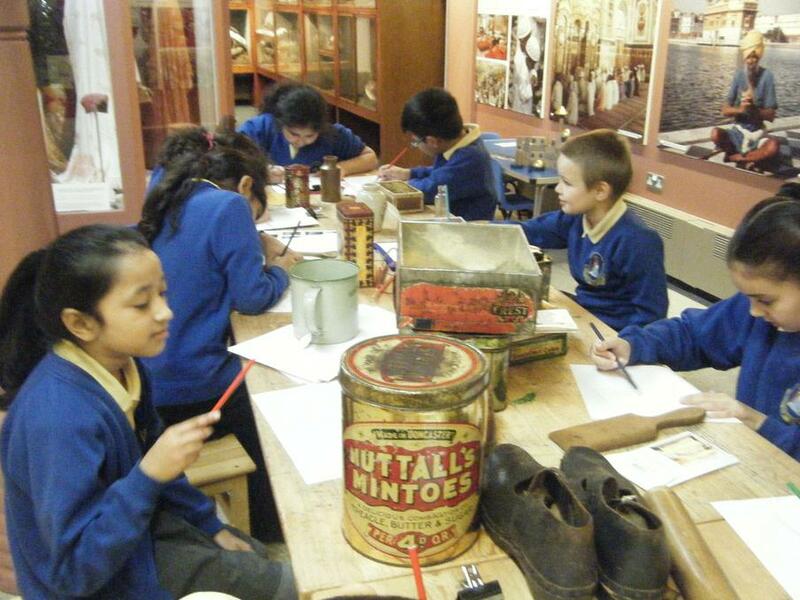 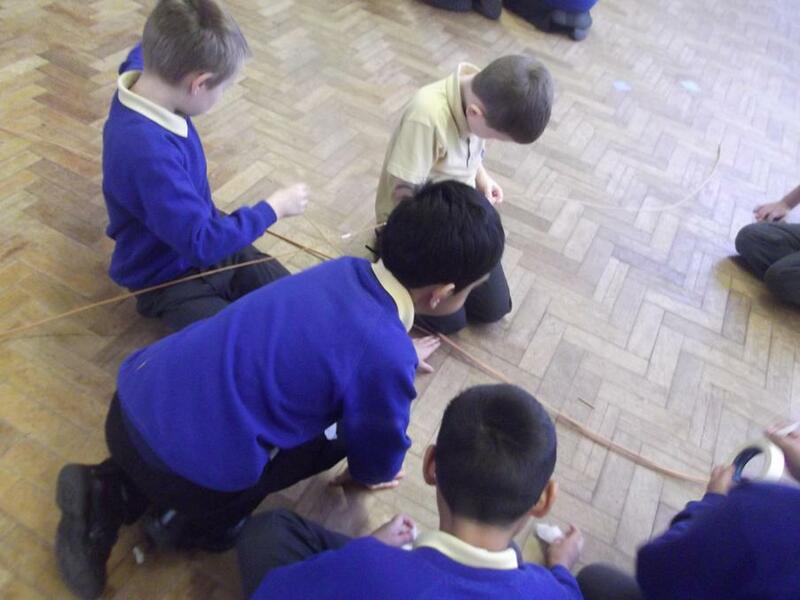 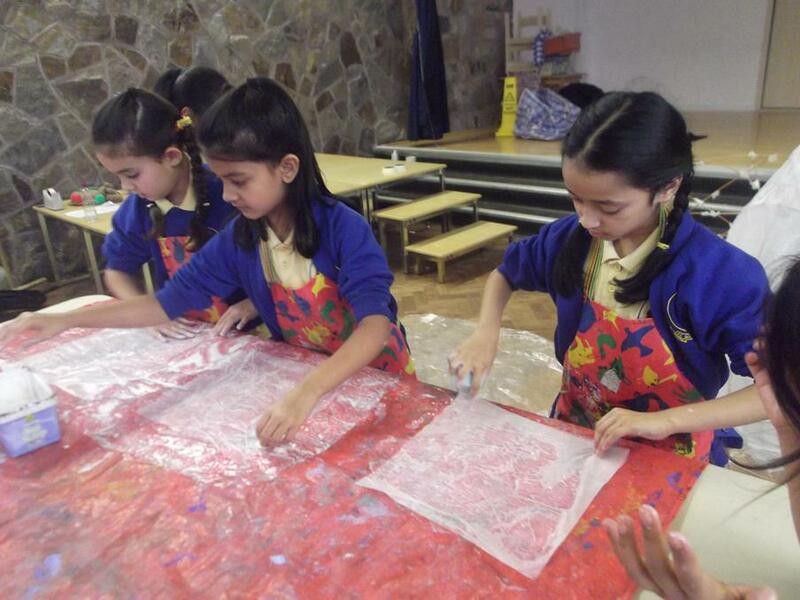 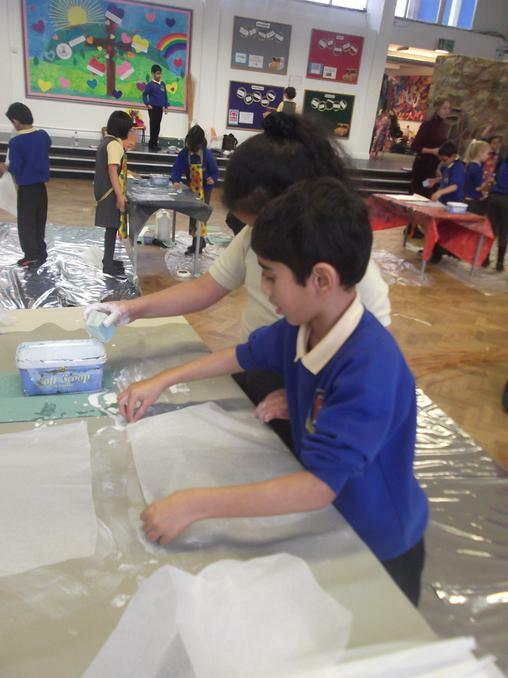 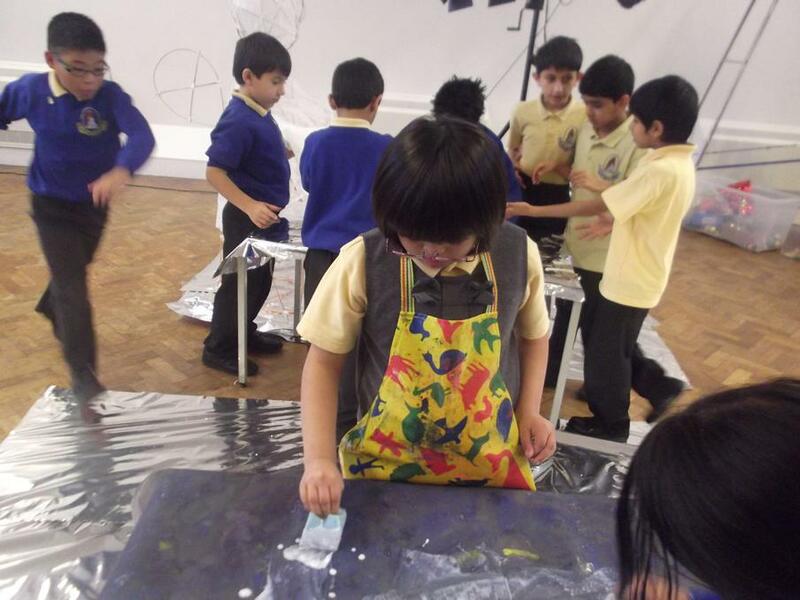 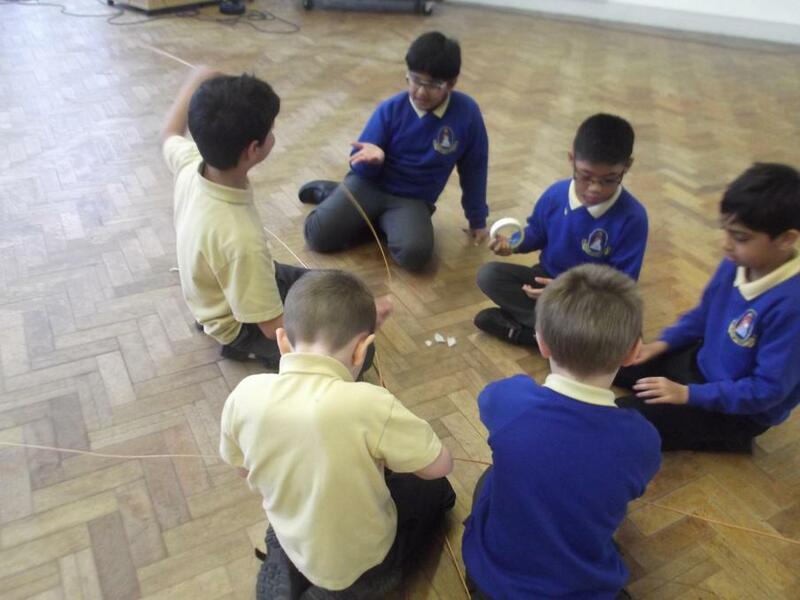 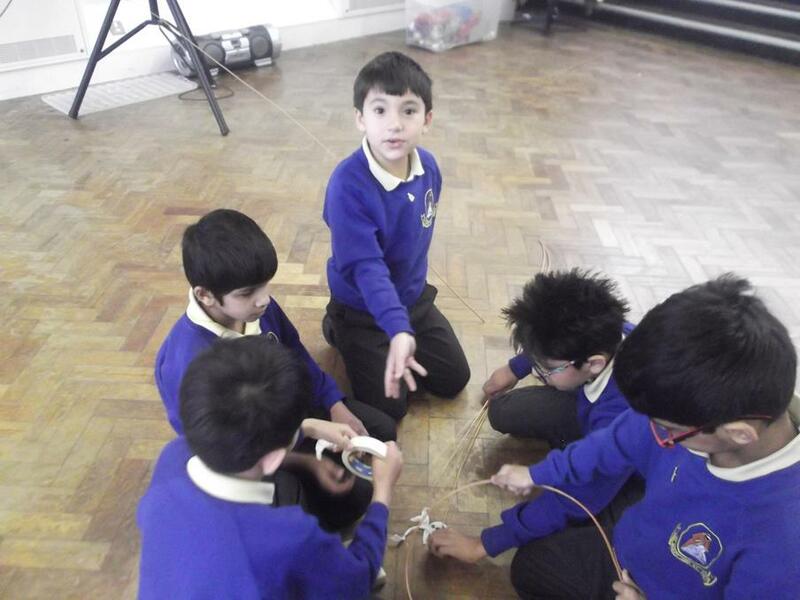 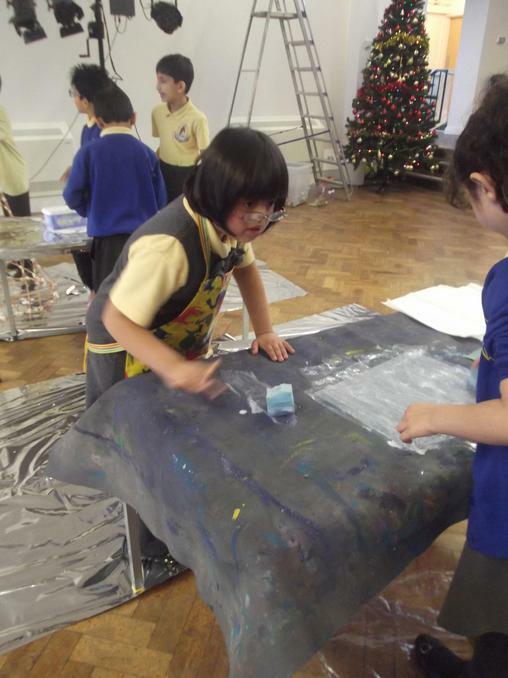 The children then explored the museum, looking at how people lived their lives in the past. 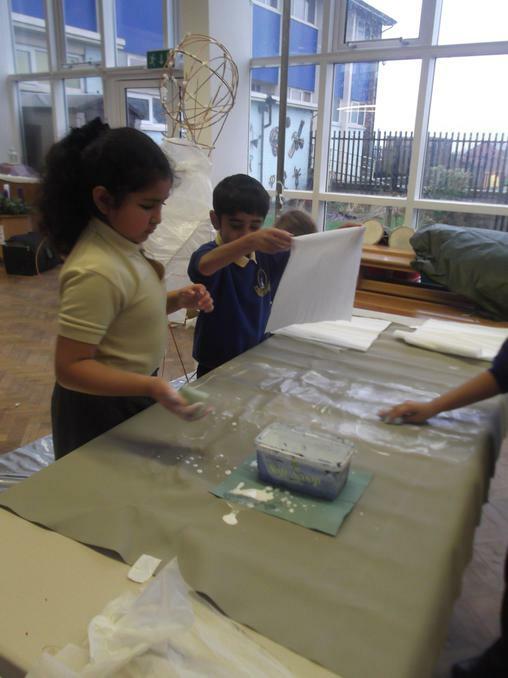 Everyday household items such as hot water bottle, toilet and iron were very different to ours now. 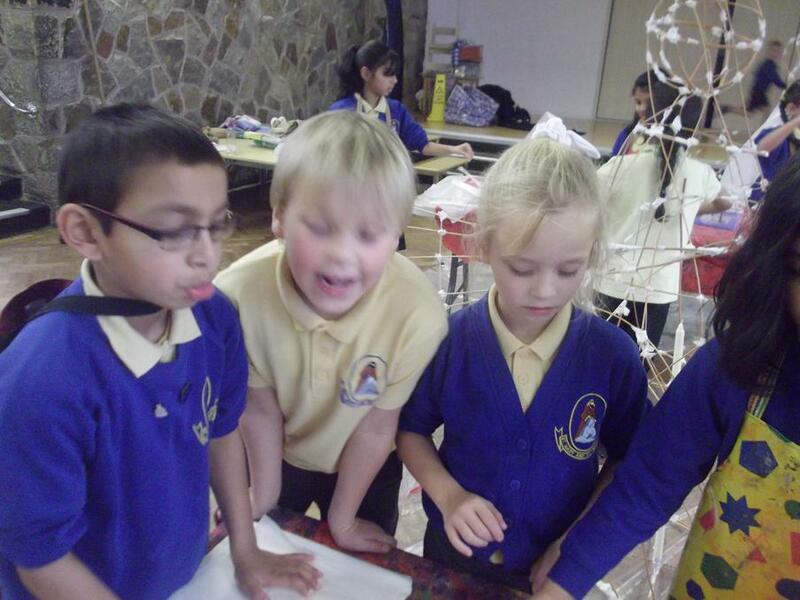 We also looked at the different weaving machines. 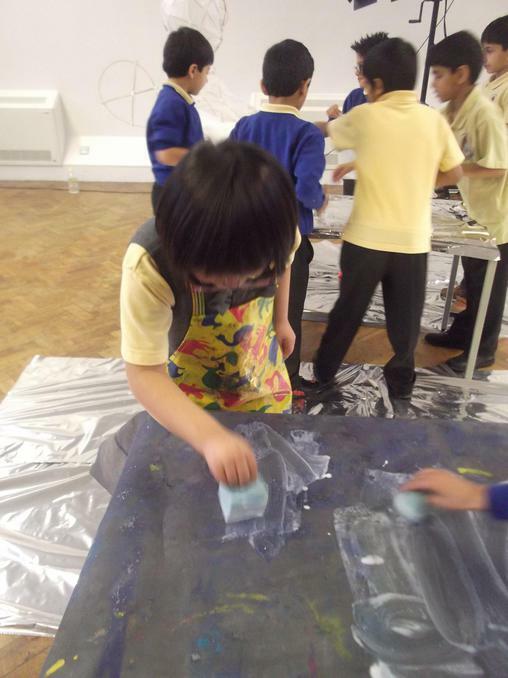 Children as young as ten were made to operate the machines. 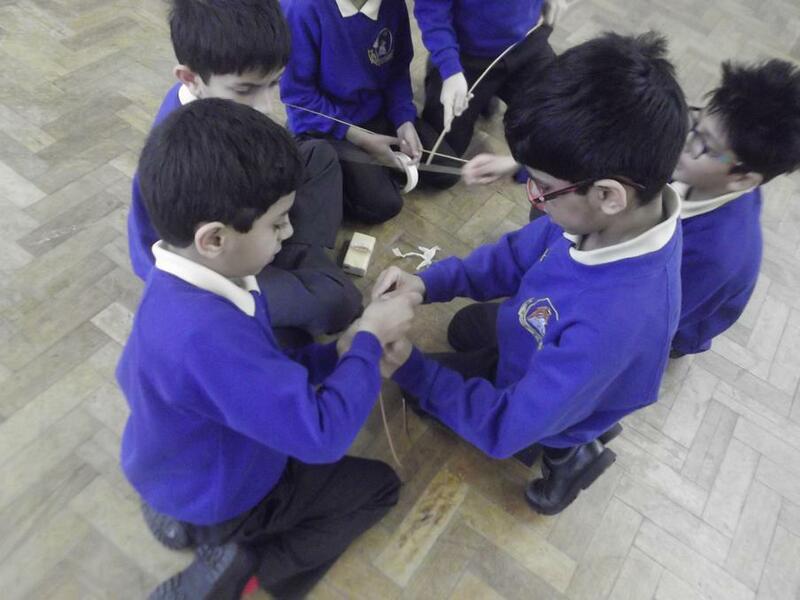 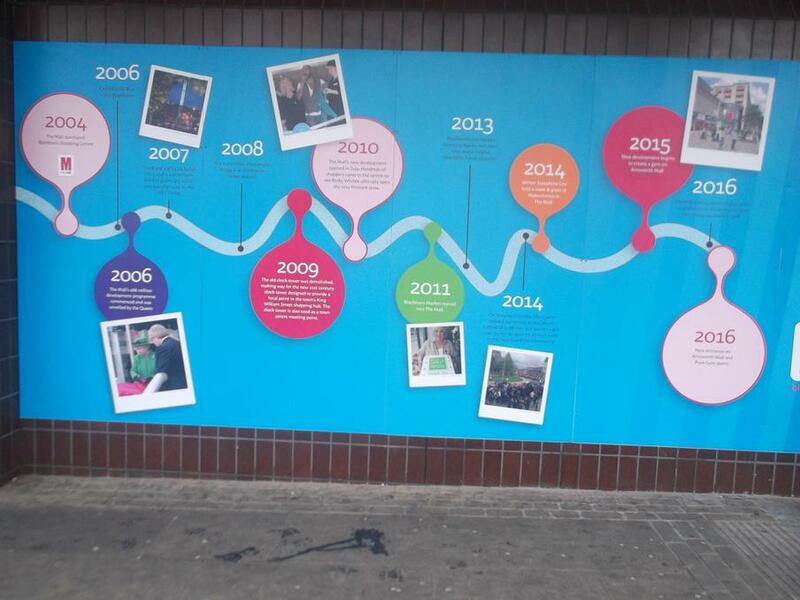 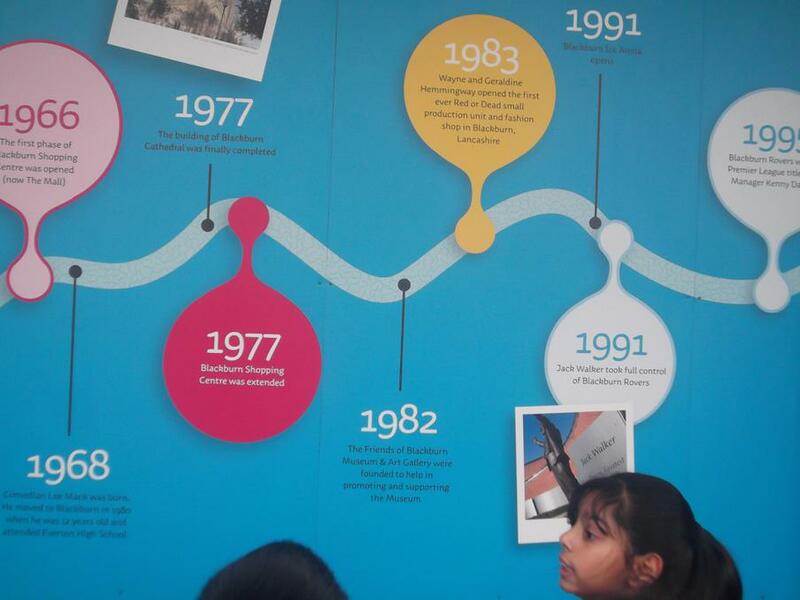 We learnt a lot about the past of Blackburn. 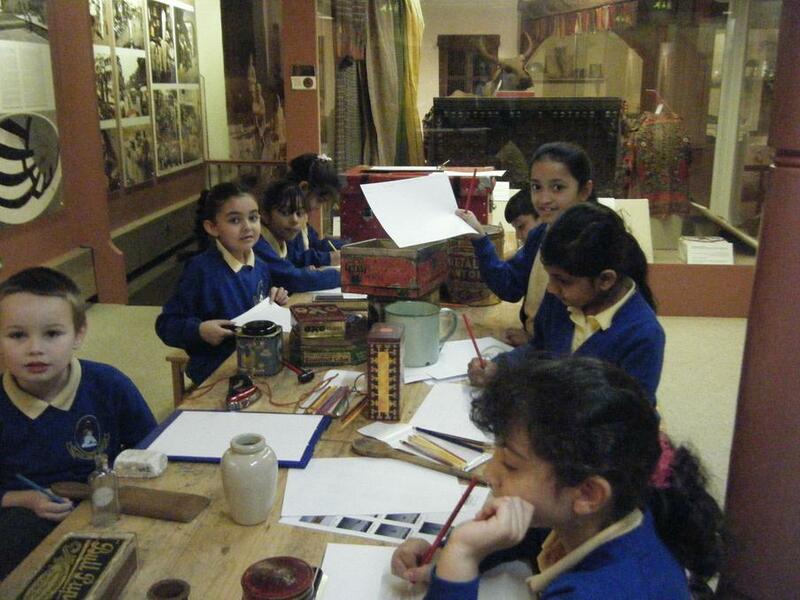 The Museum is free to visit and open to the public. 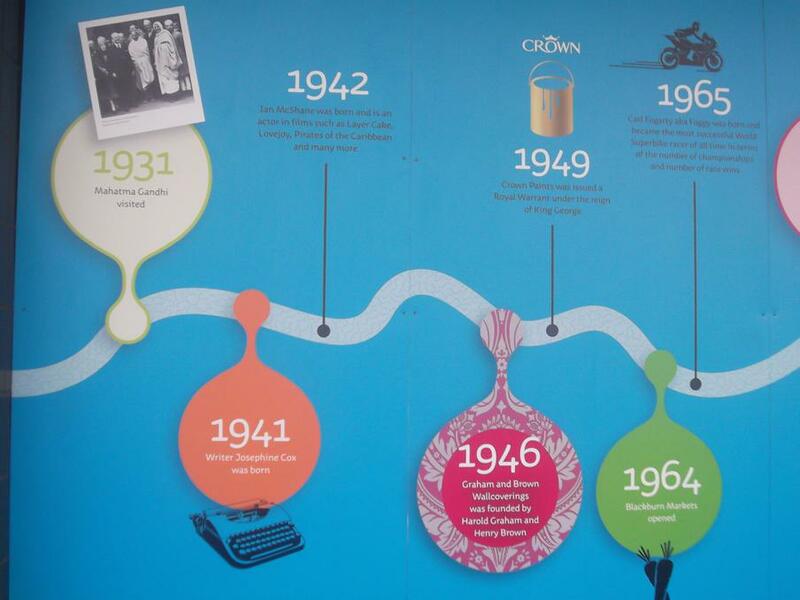 so why not visit and explore the past? 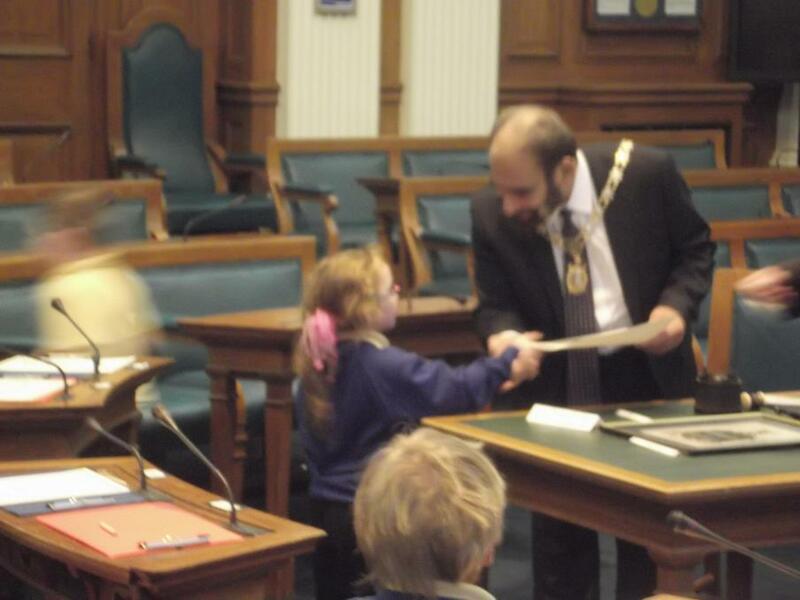 We went to visit the Mayor in the morning, unfortunately the Mayor was on holiday so we saw the Deputy Mayor instead. 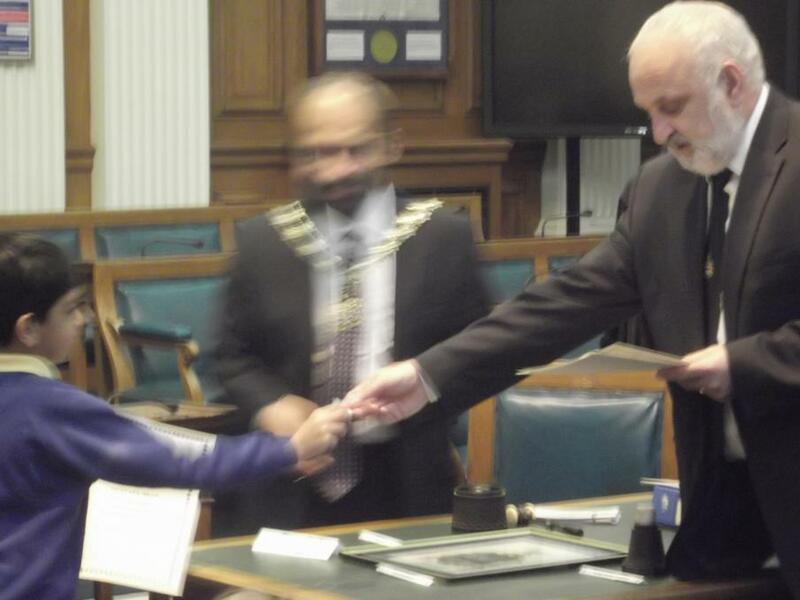 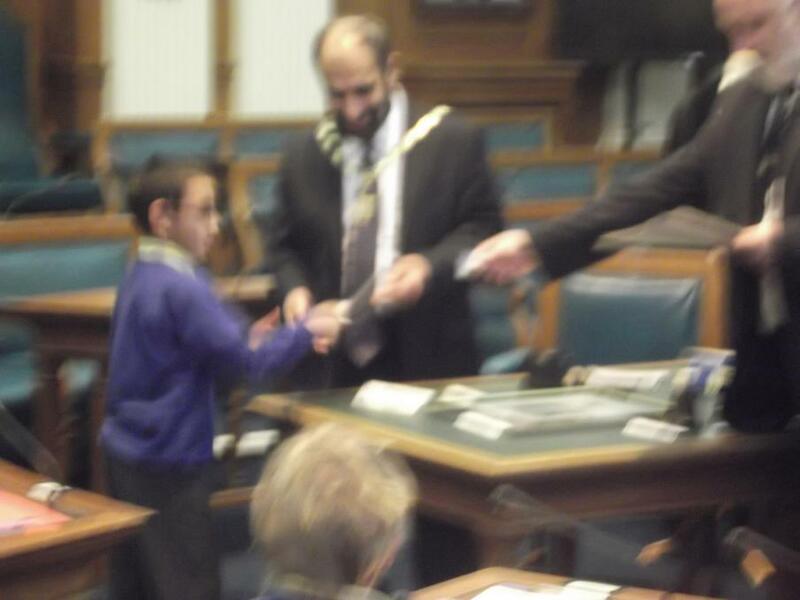 Once we were seated in the Council Chamber we were told to wait for three knocks, this would let us know that the Deputy Mayor had arrived, we had to stand up and were seated once the Deputy Mayor told us to take a seat. 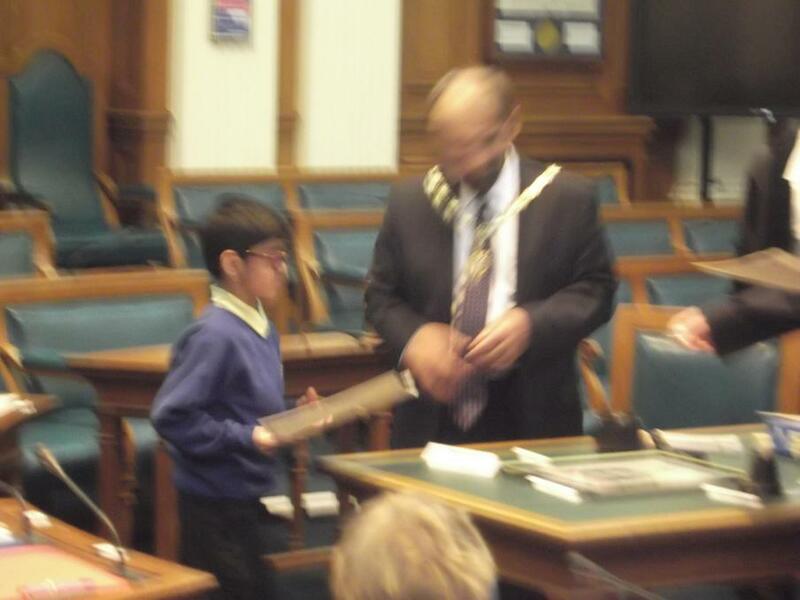 The Mayor’s Officer told us that the Mayor is elected for one year only, he showed us his robe, hat, chain and mace, and told us information about them. 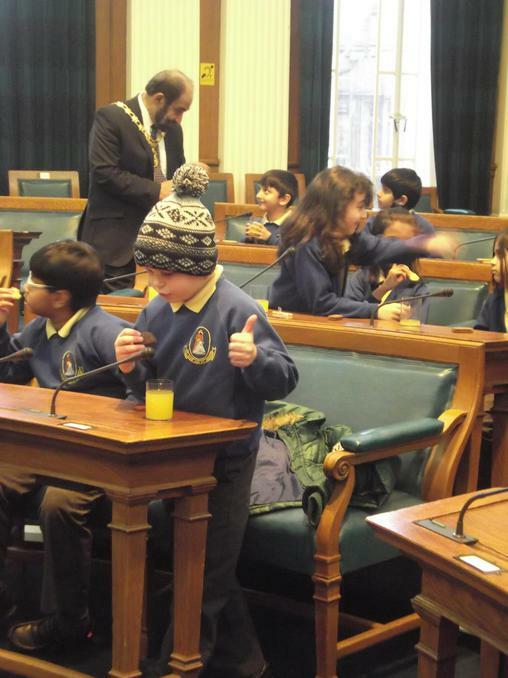 After that the children were split into two groups, one group went to see the Mayor in his Parlour, the sofas were very comfortable! 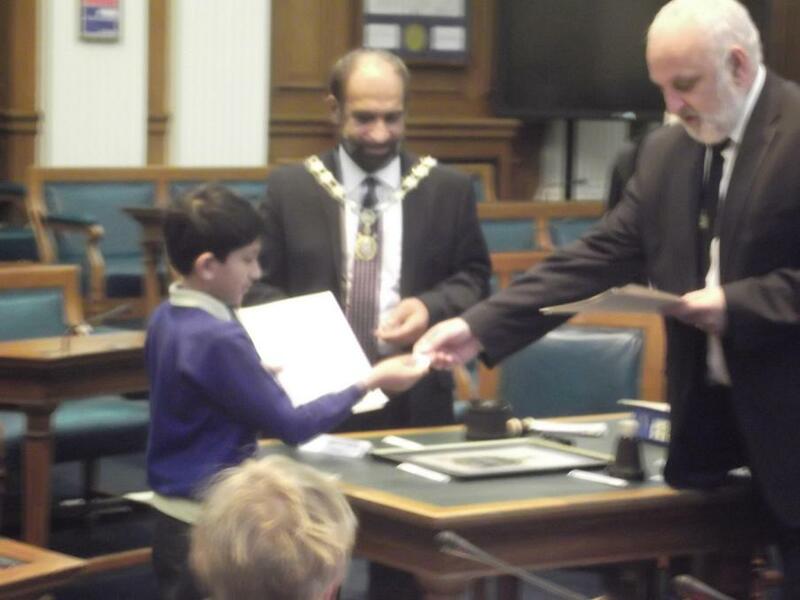 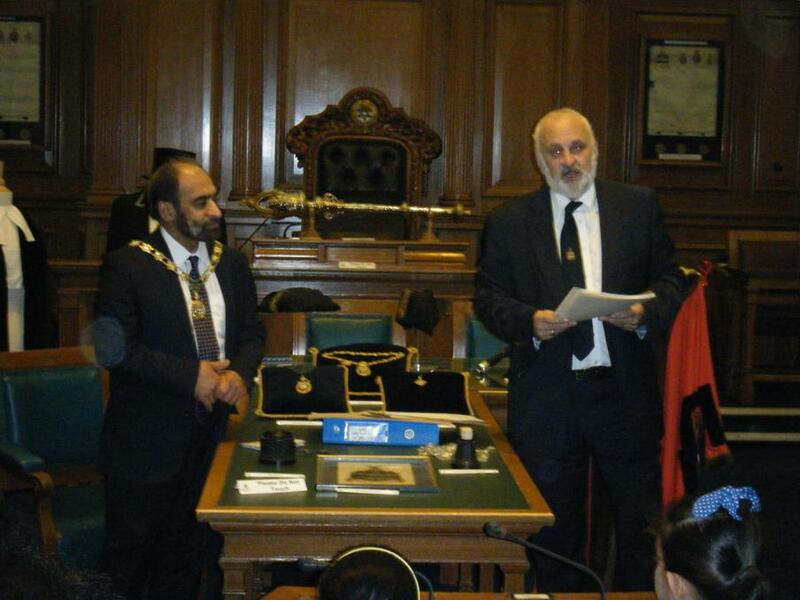 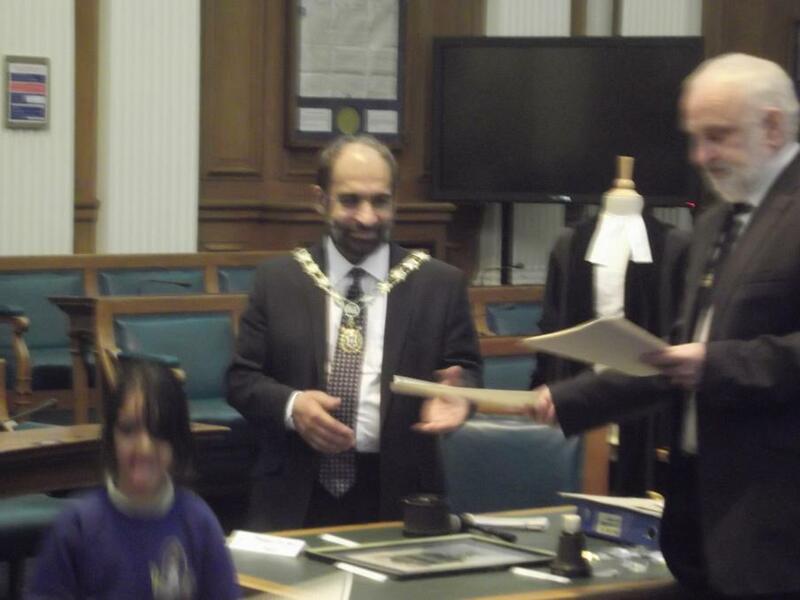 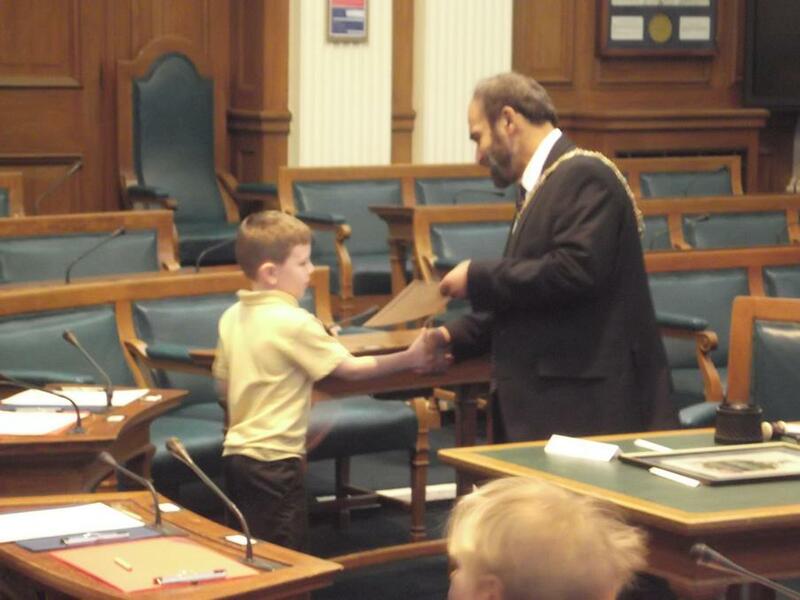 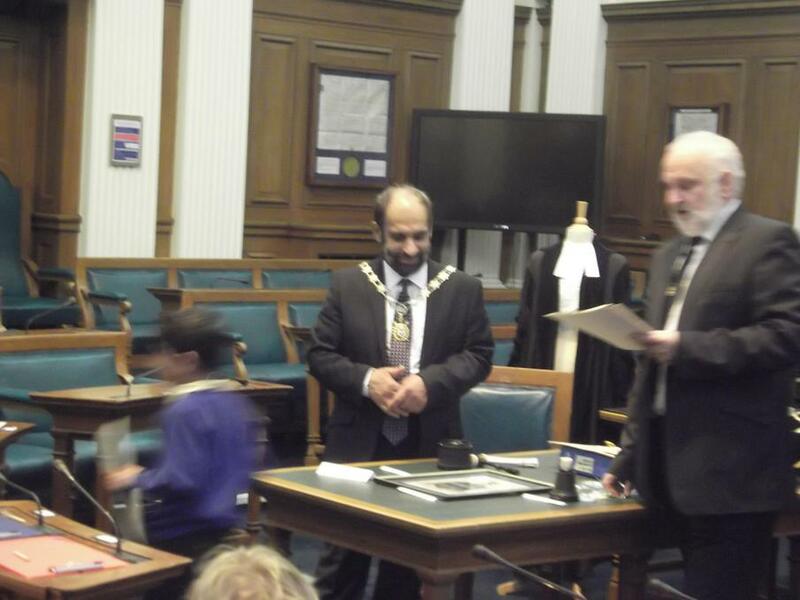 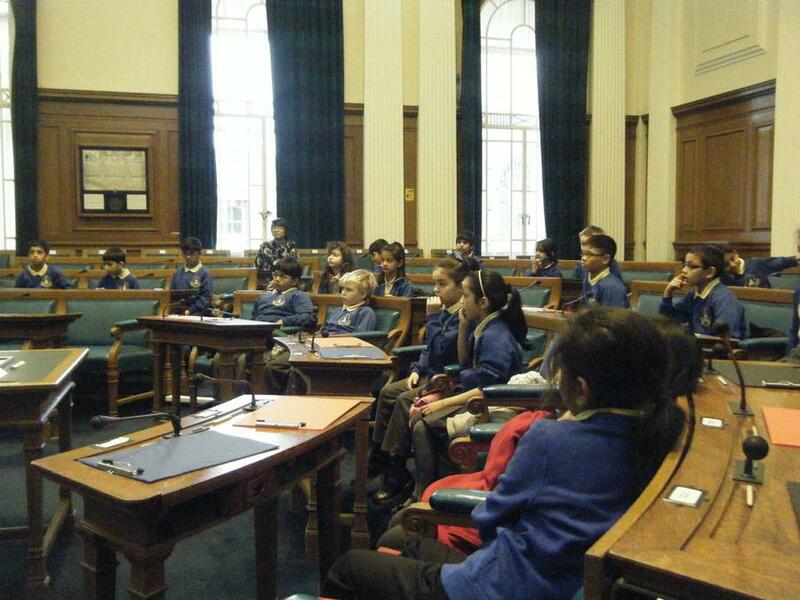 The other group explored the Council Chamber to find out information about Blackburn. 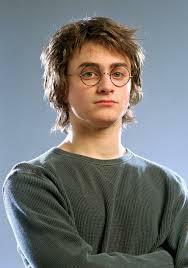 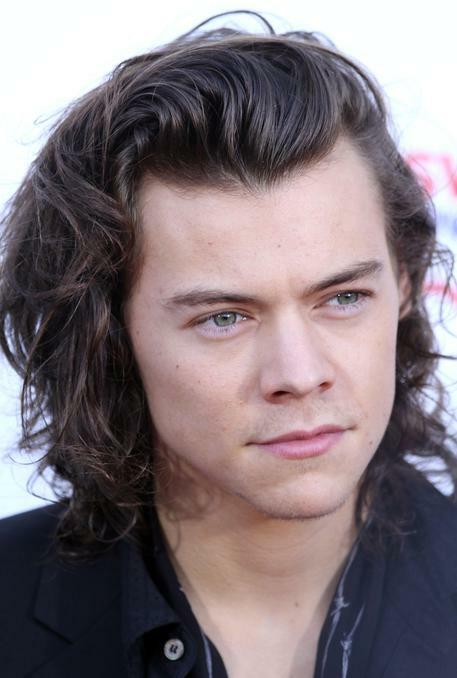 and the winner was………………….HARRY STYLES! 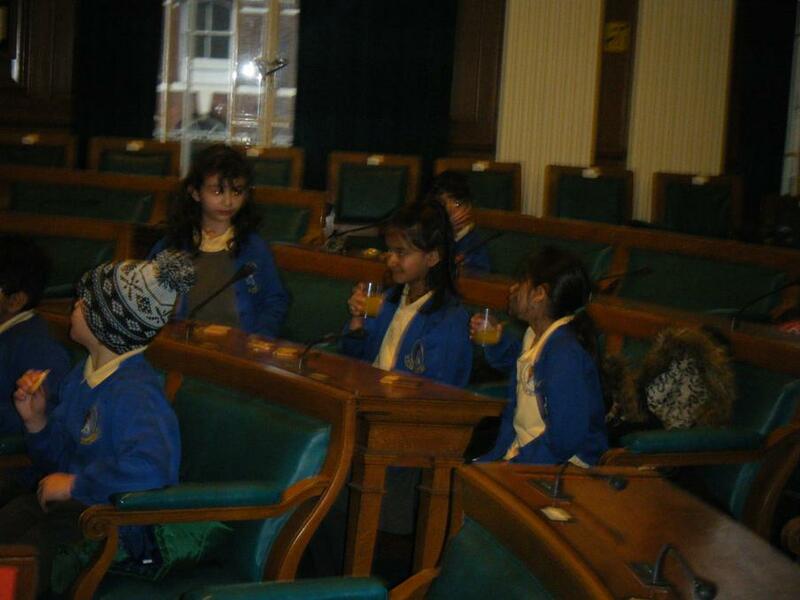 We then had a drink and biscuit. 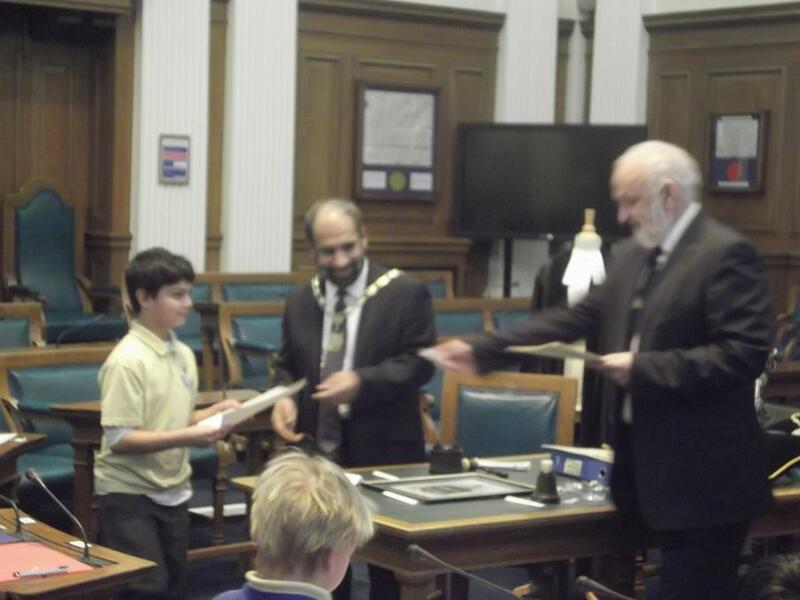 After that the children were presented with a certificate and badge of the Blackburn Crest. 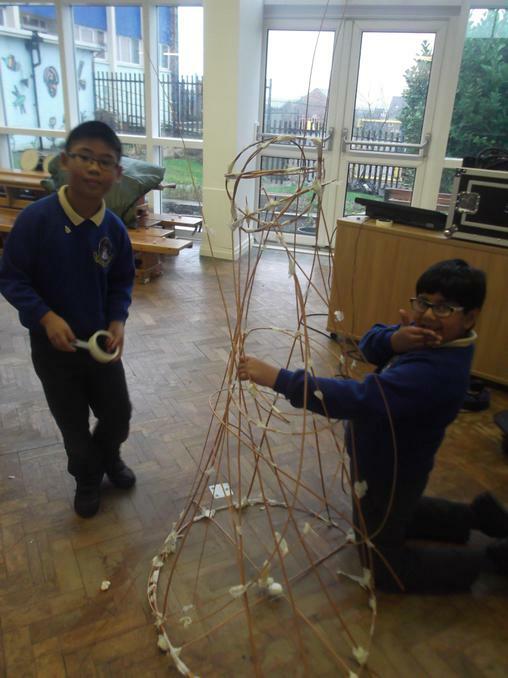 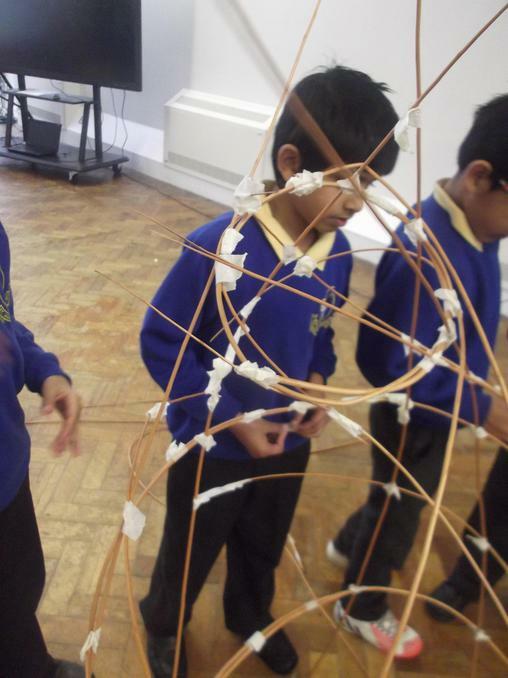 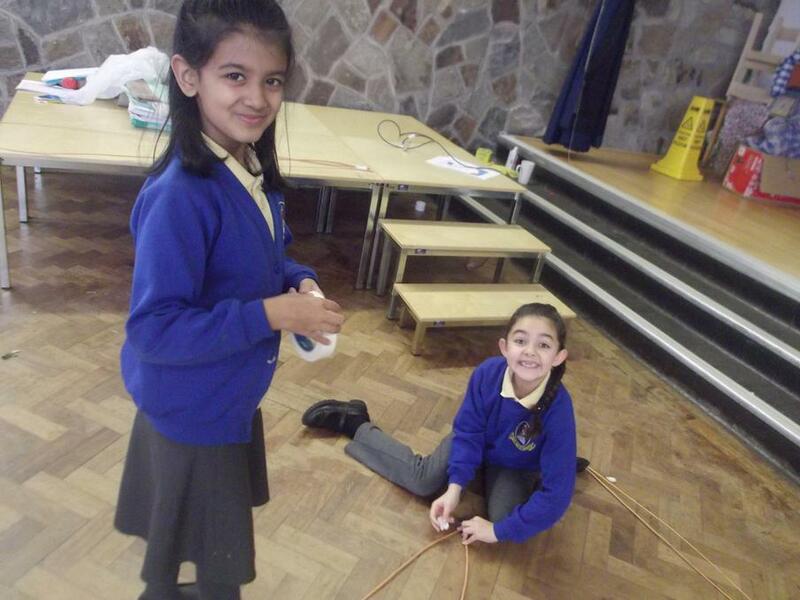 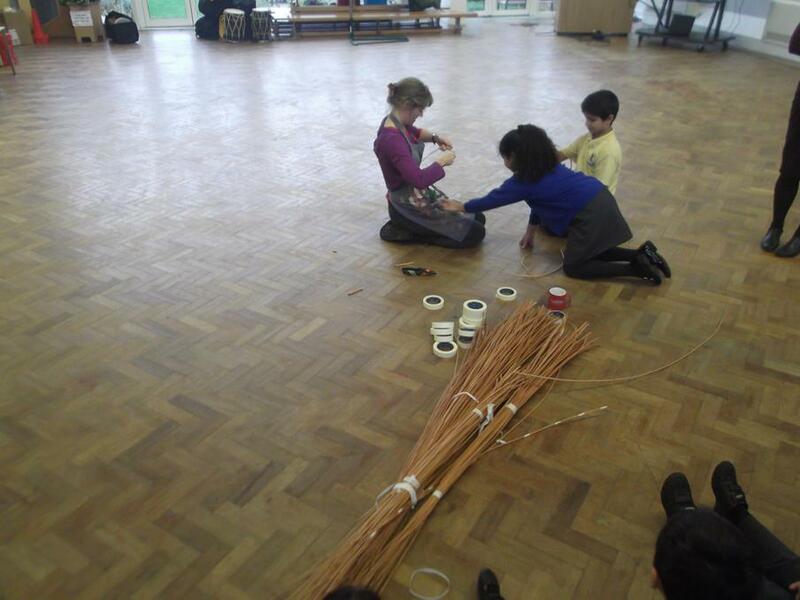 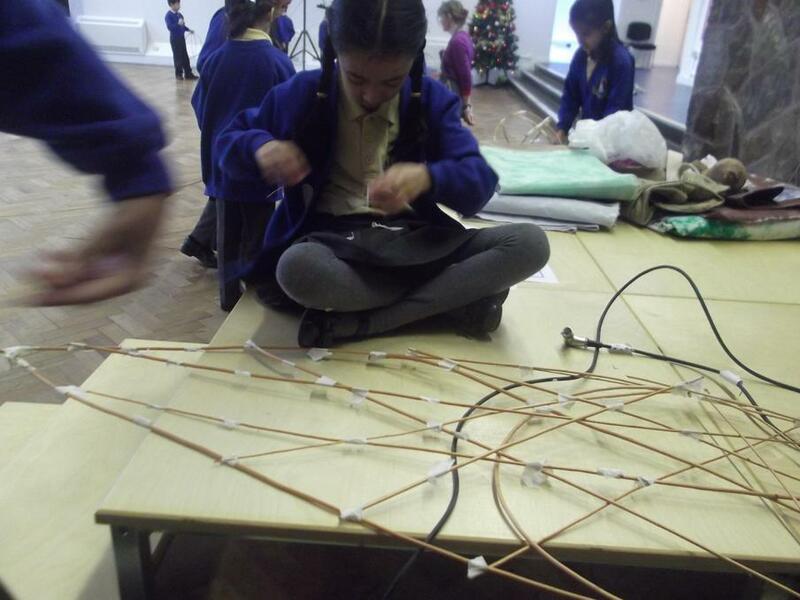 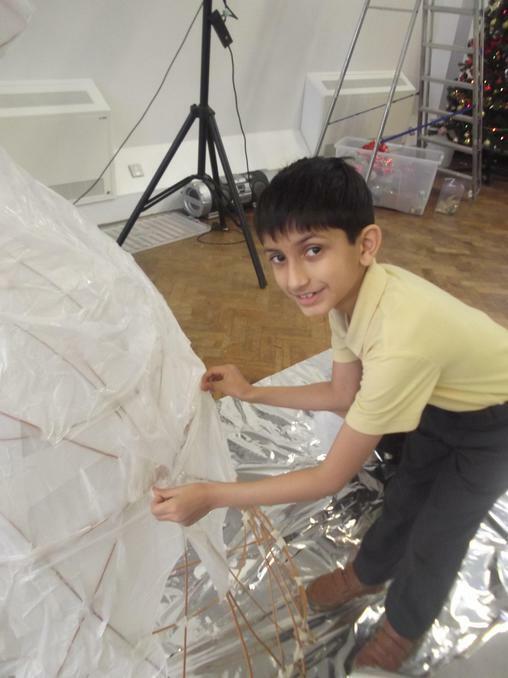 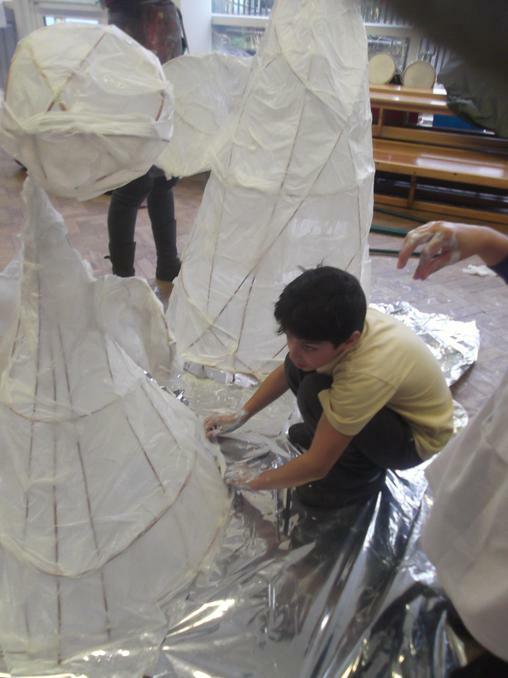 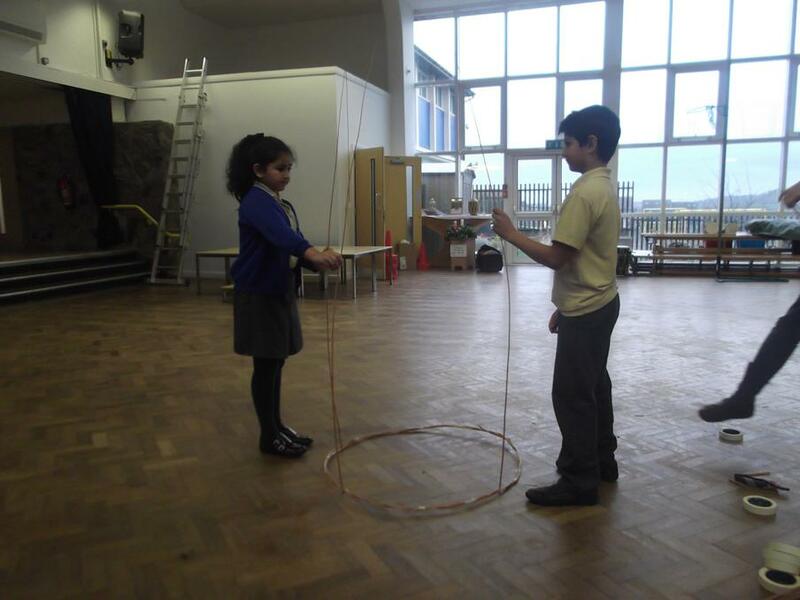 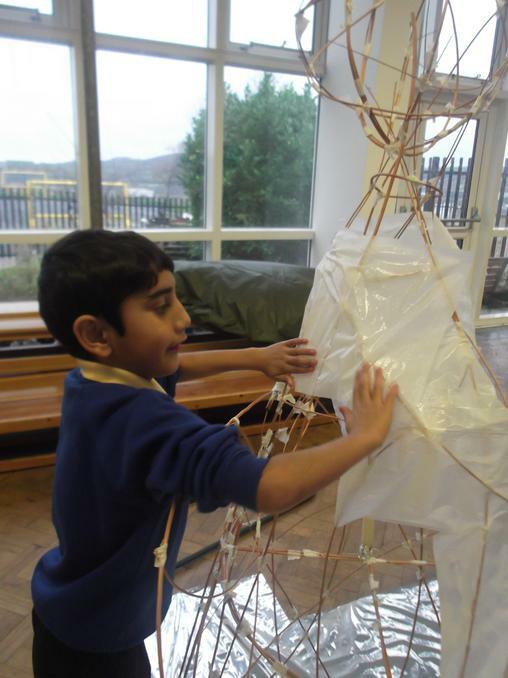 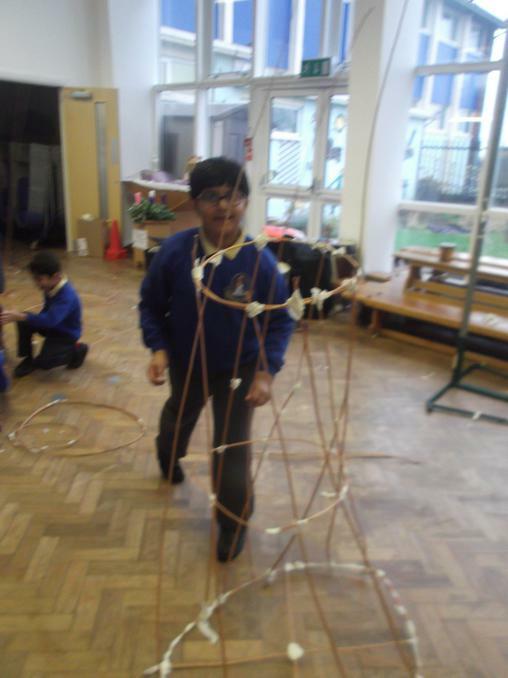 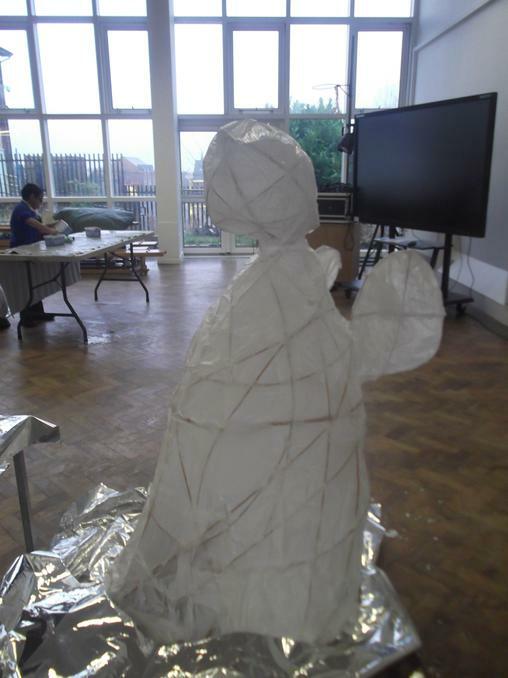 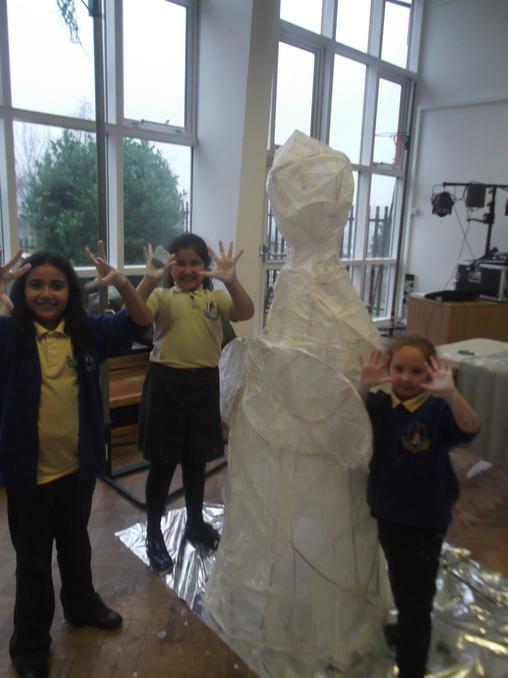 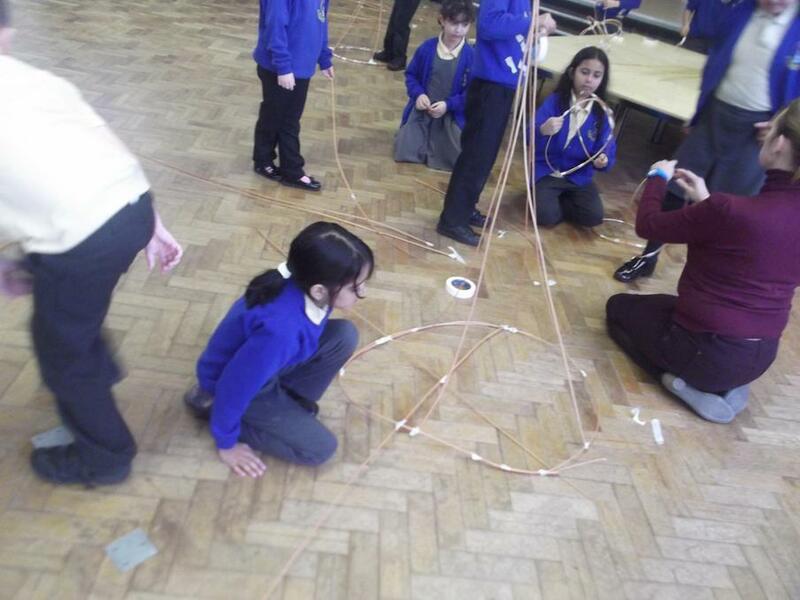 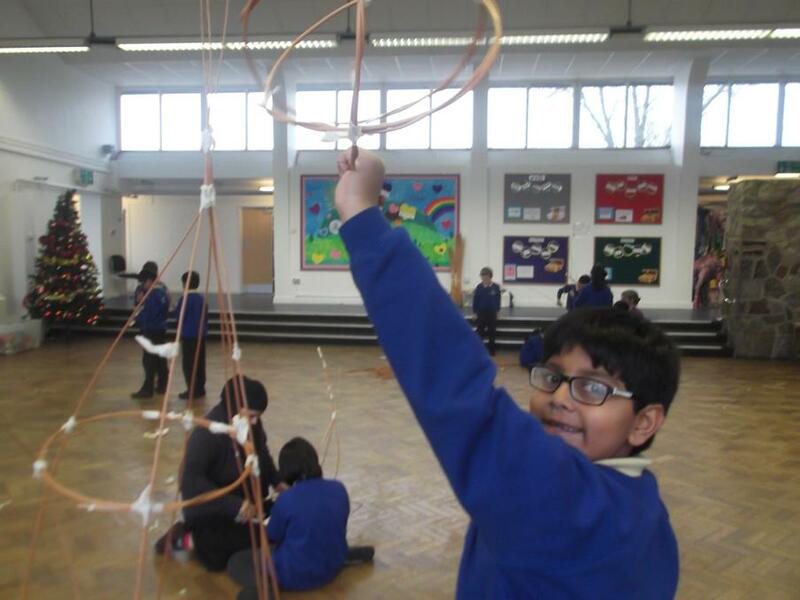 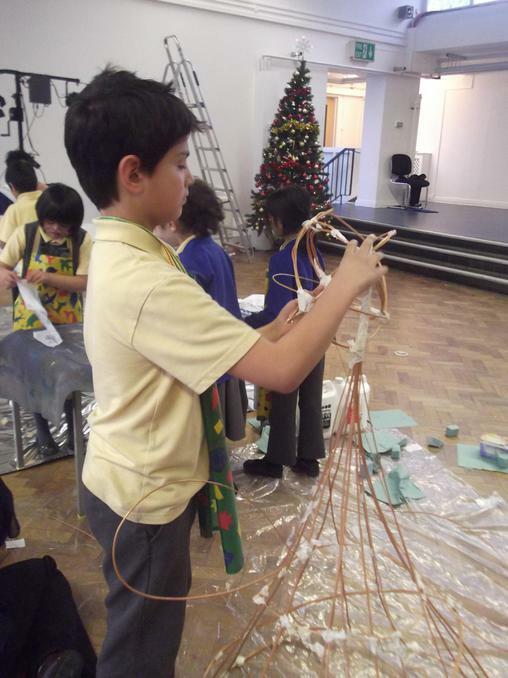 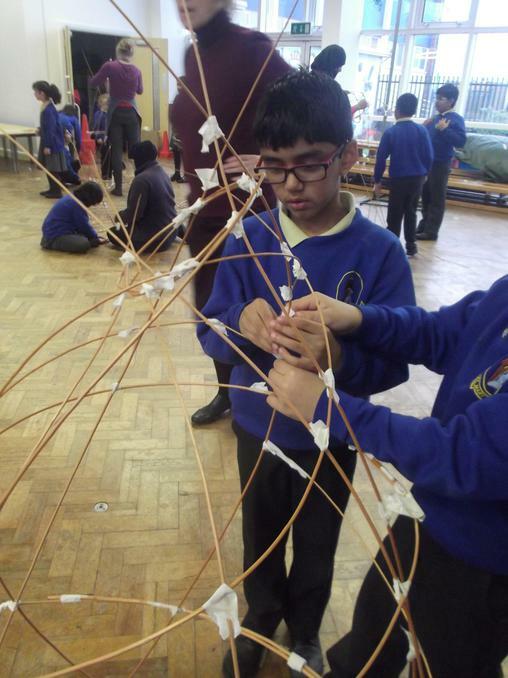 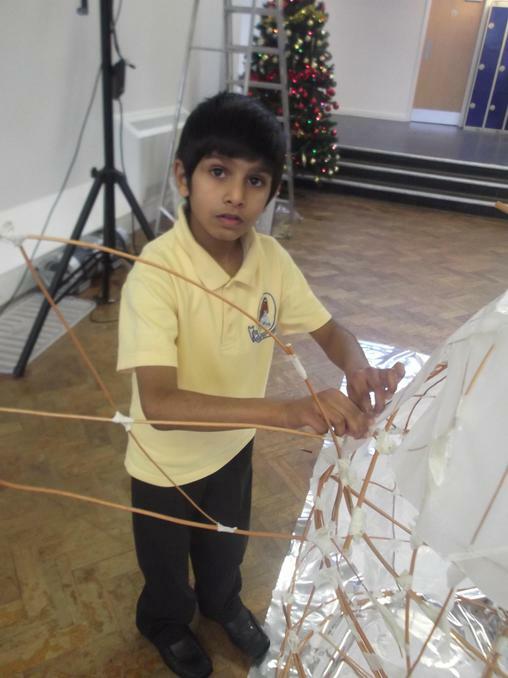 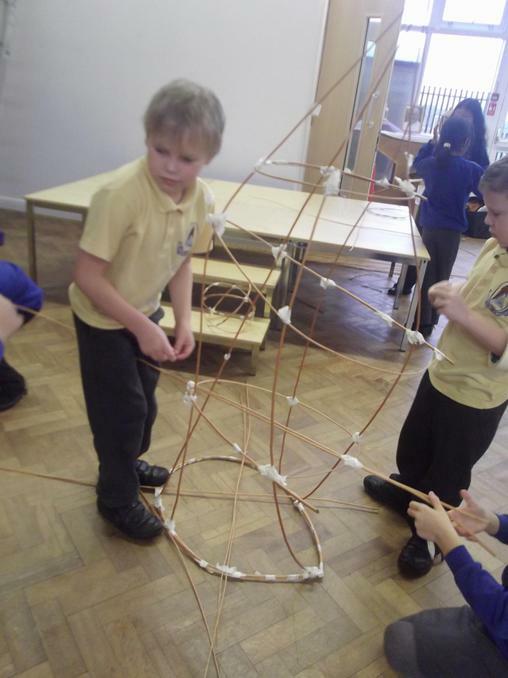 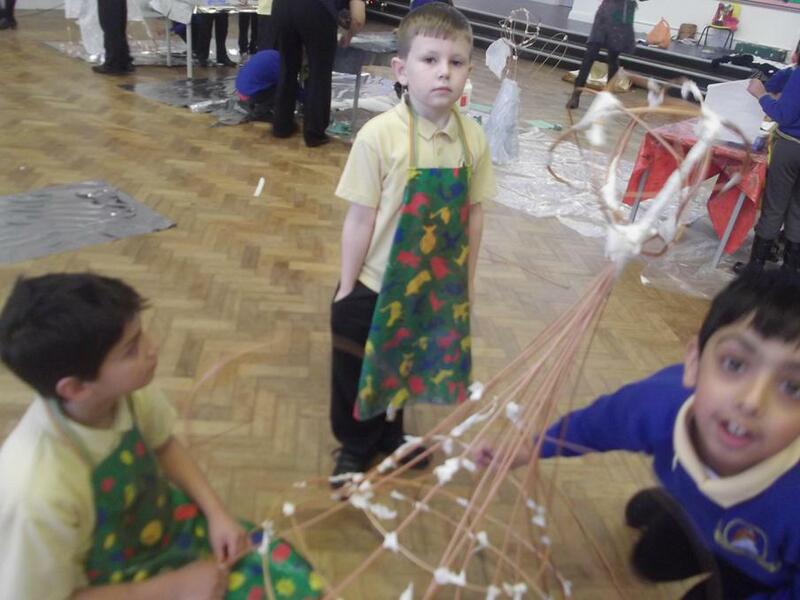 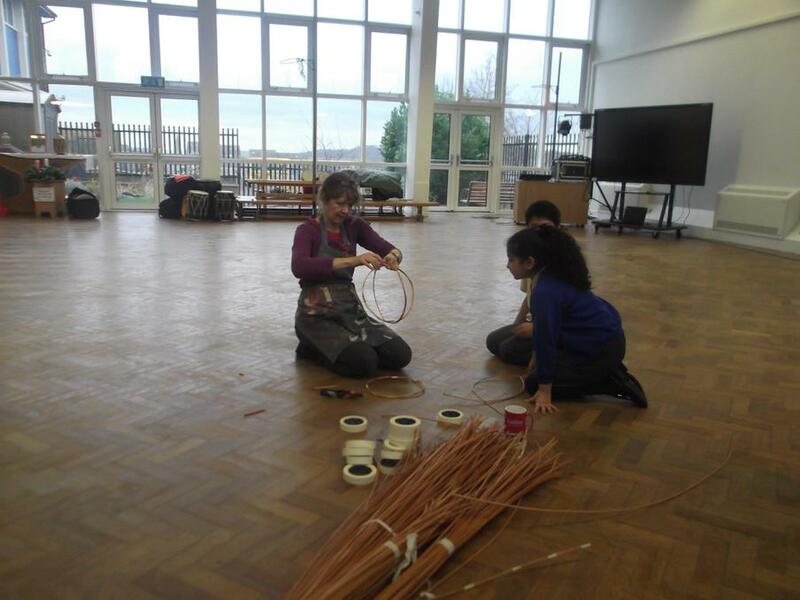 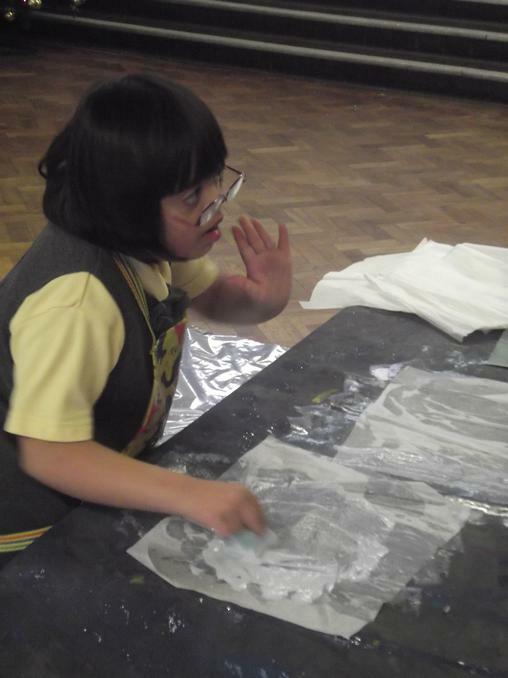 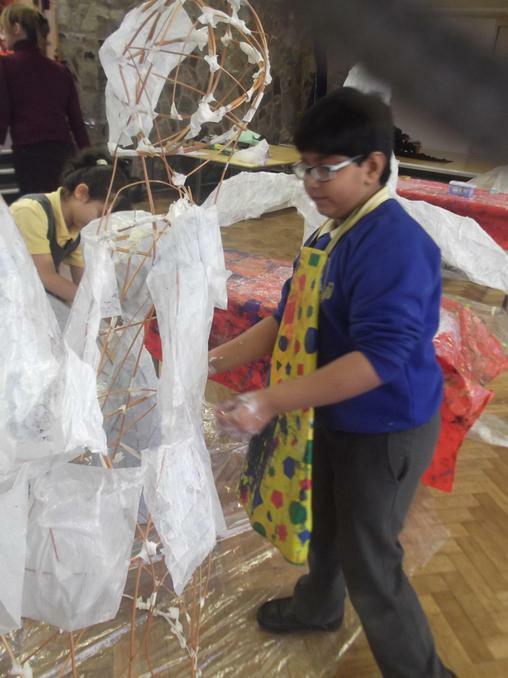 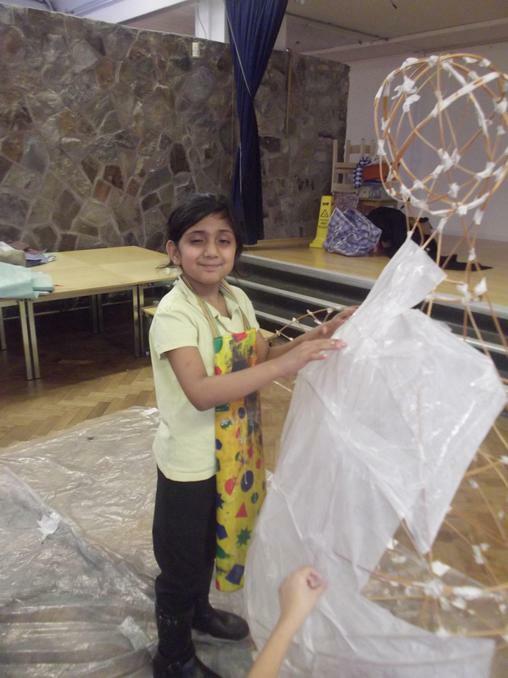 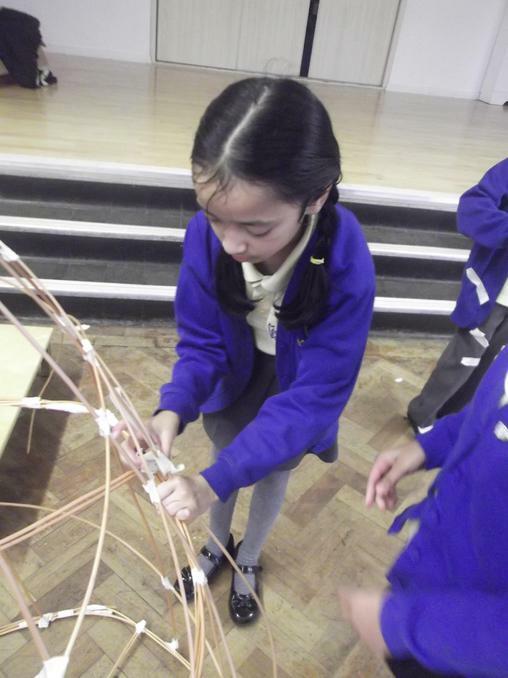 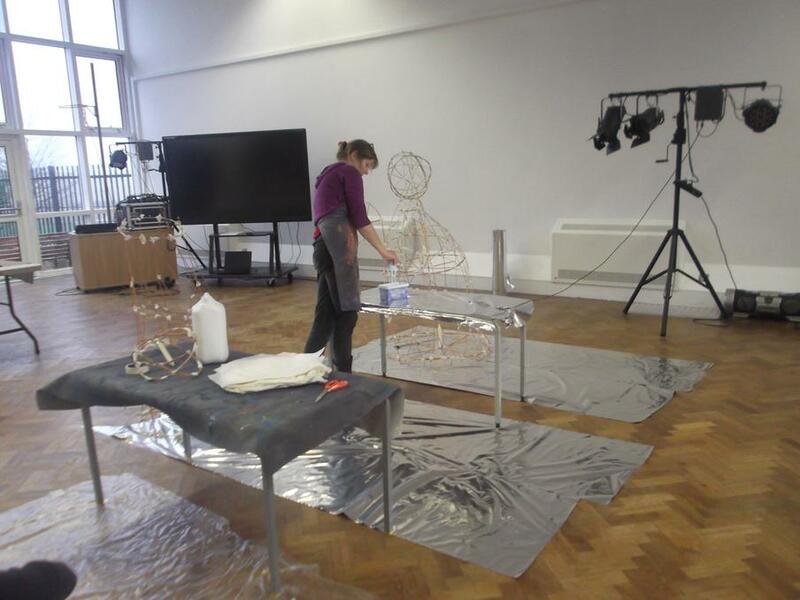 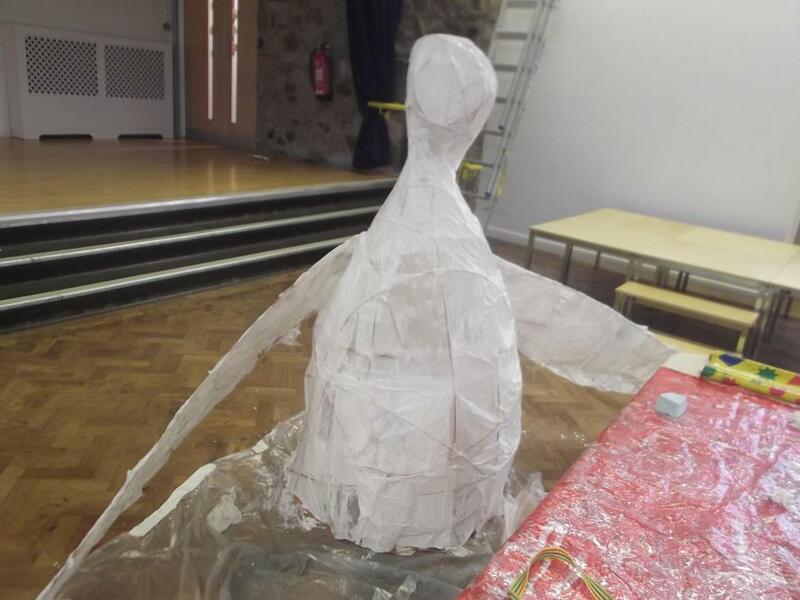 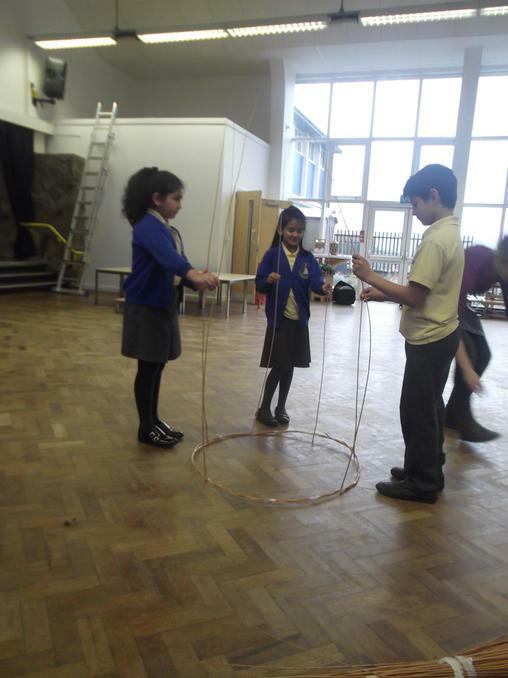 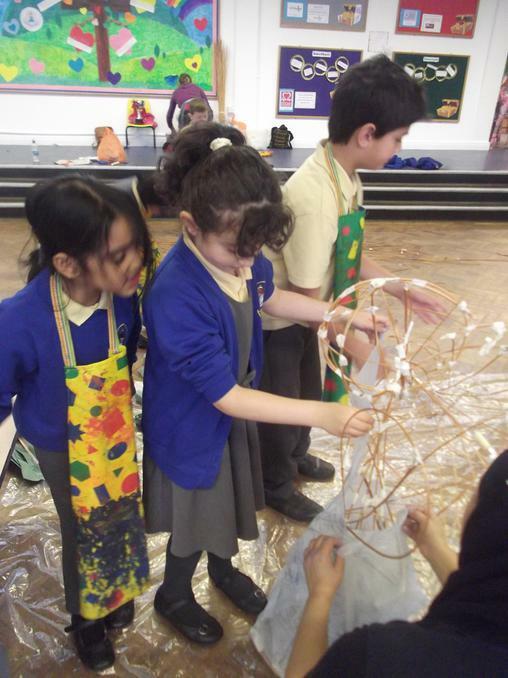 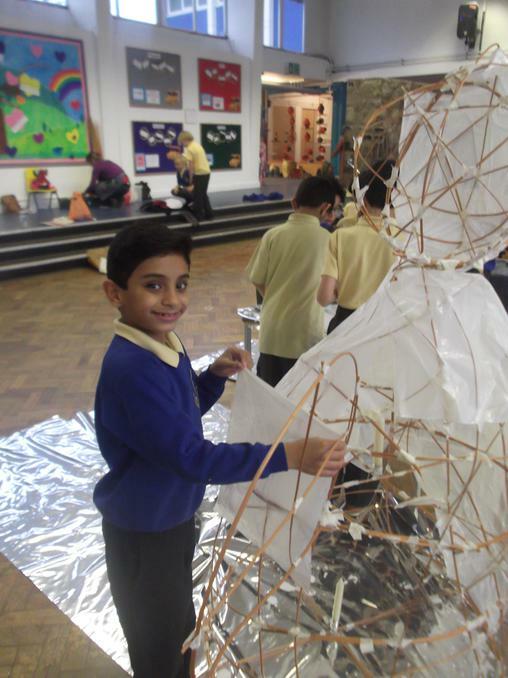 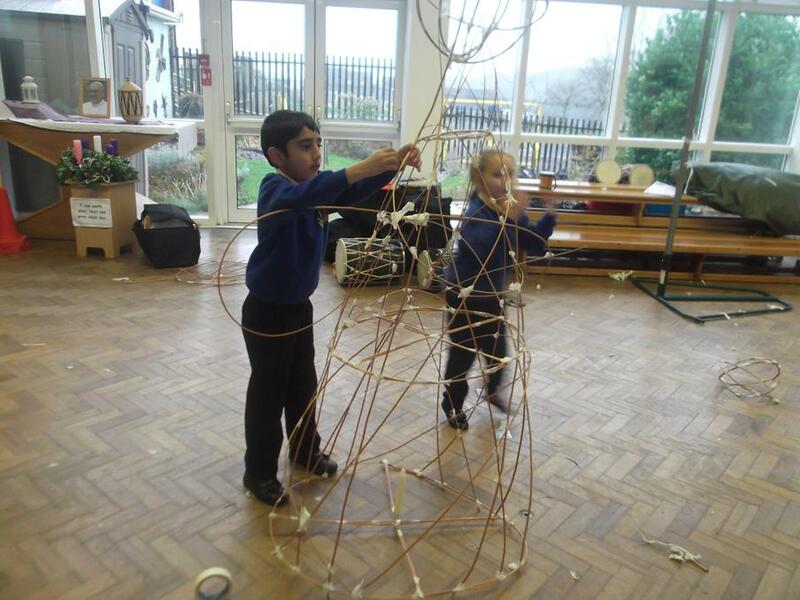 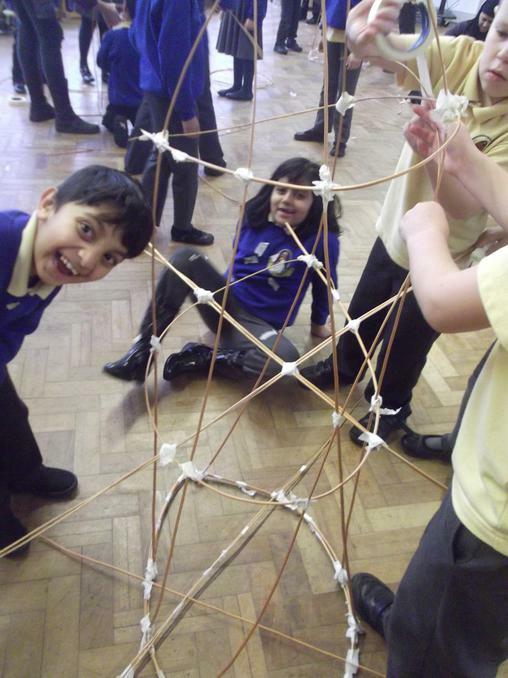 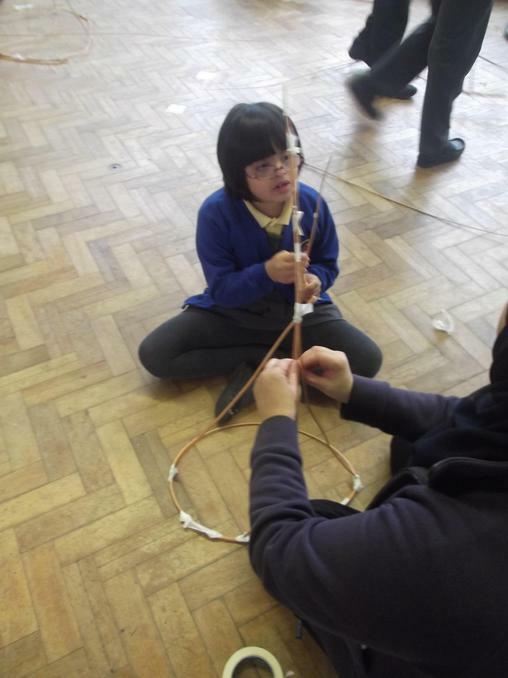 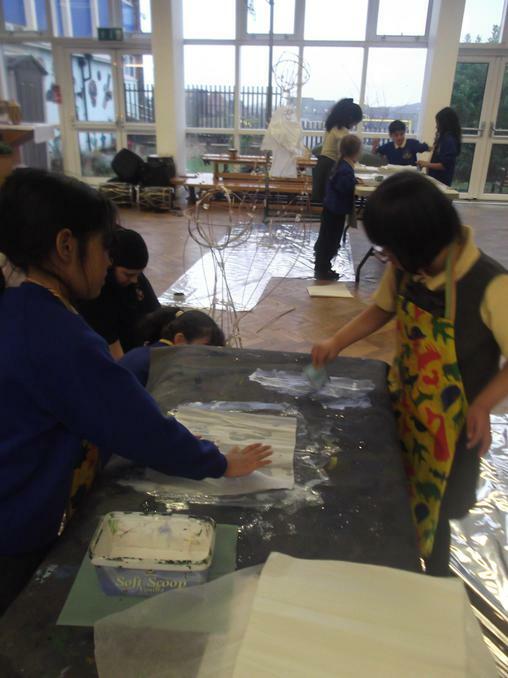 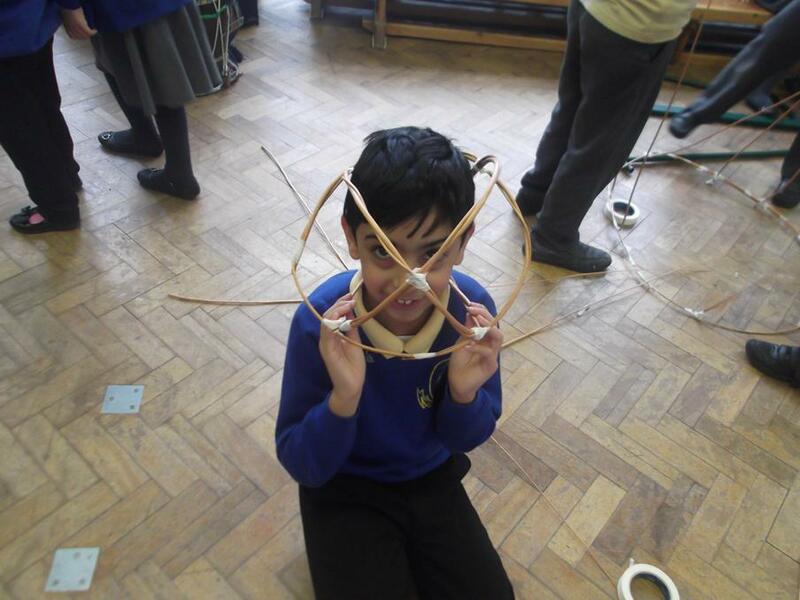 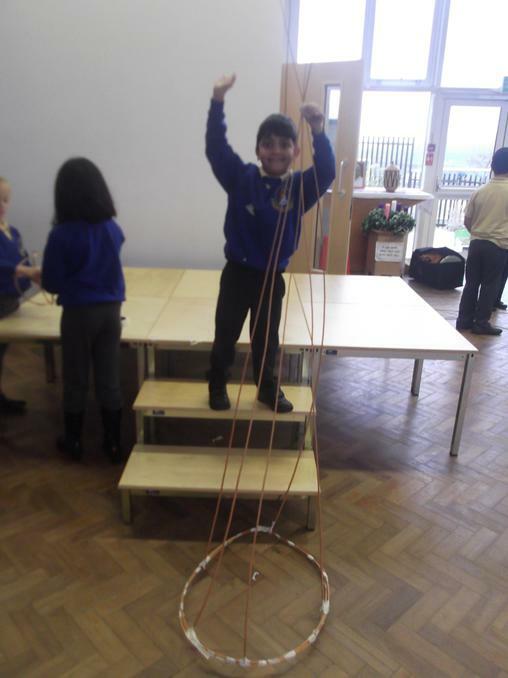 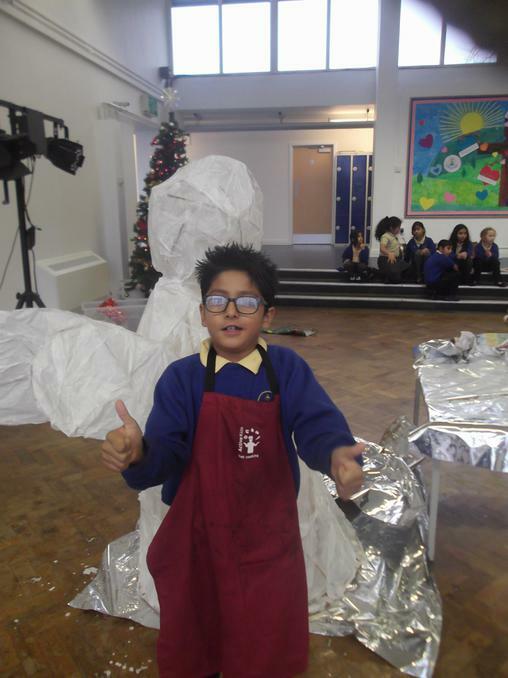 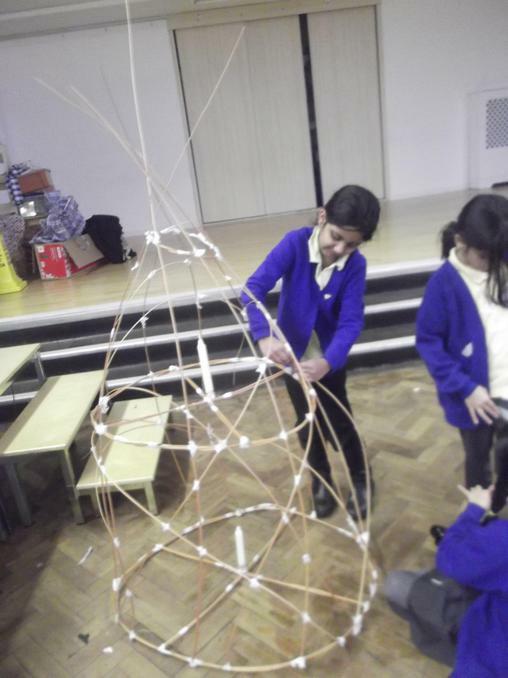 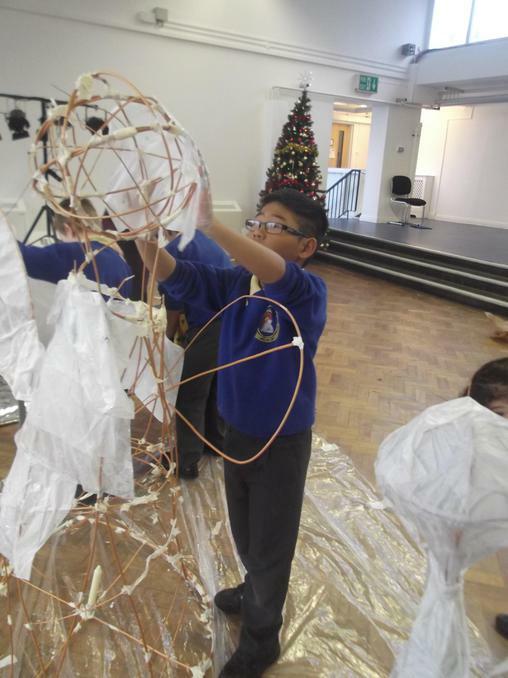 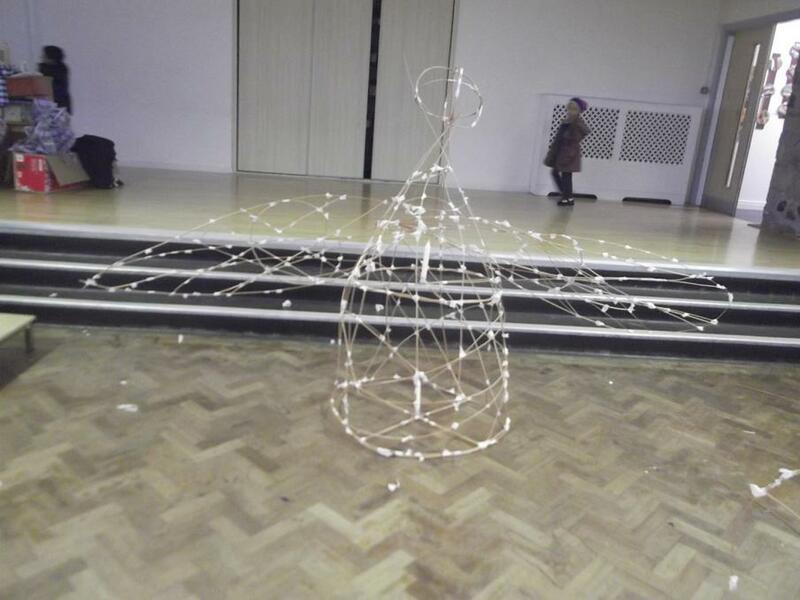 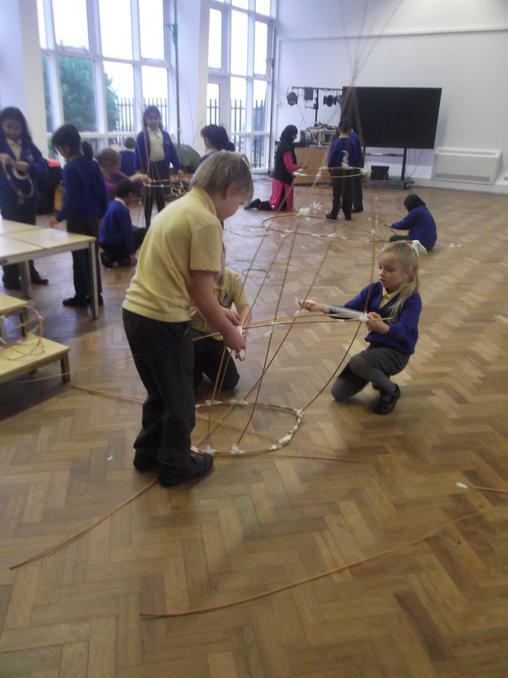 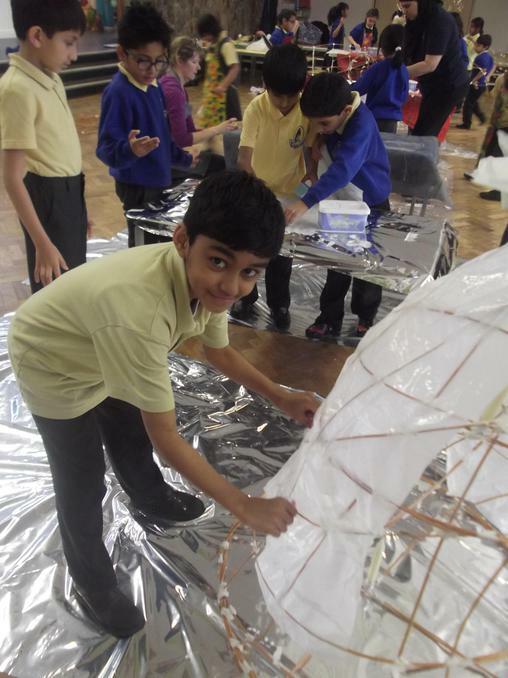 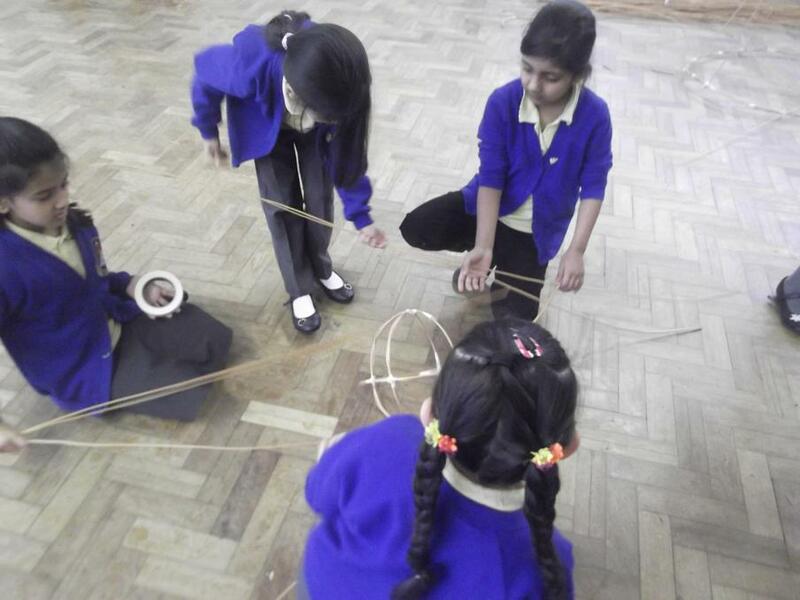 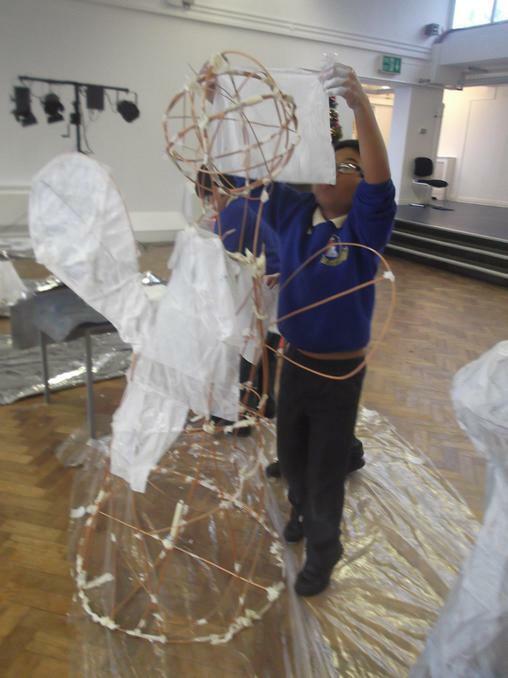 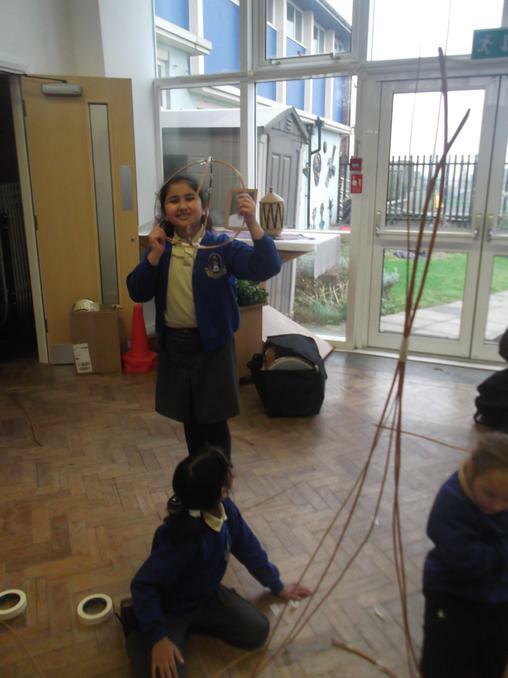 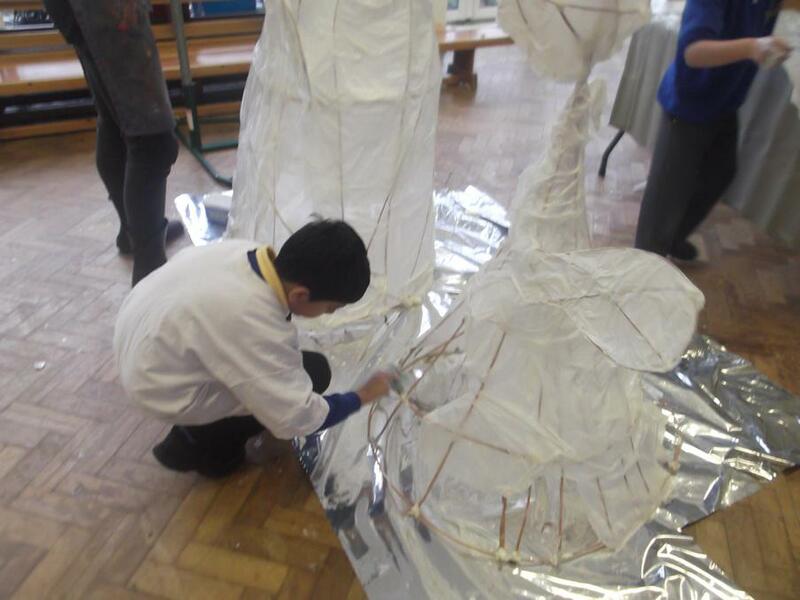 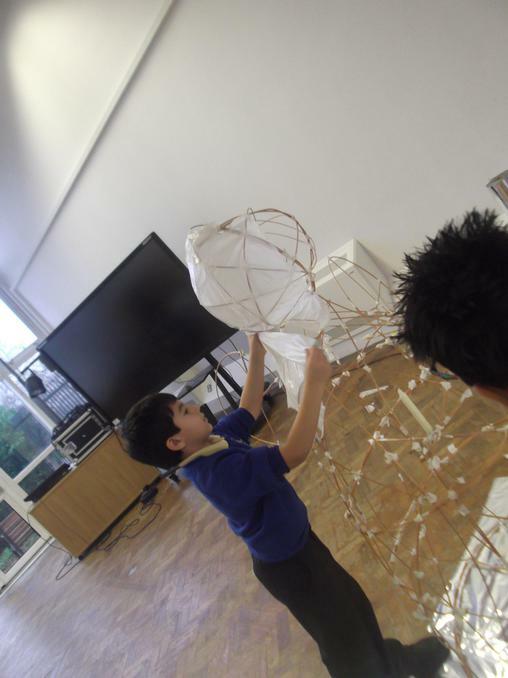 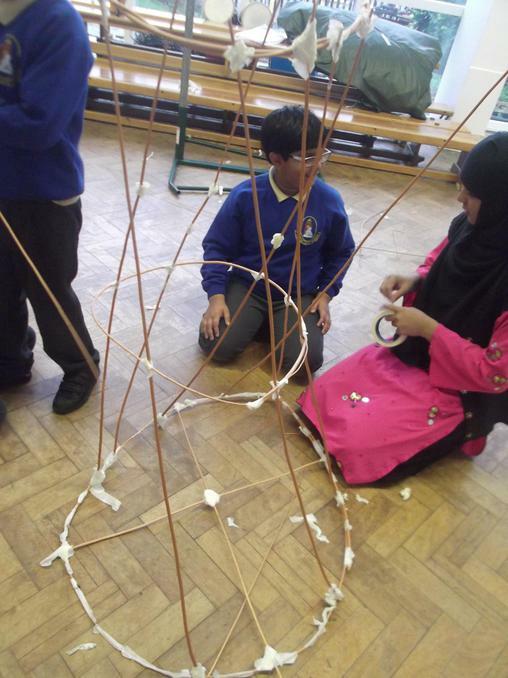 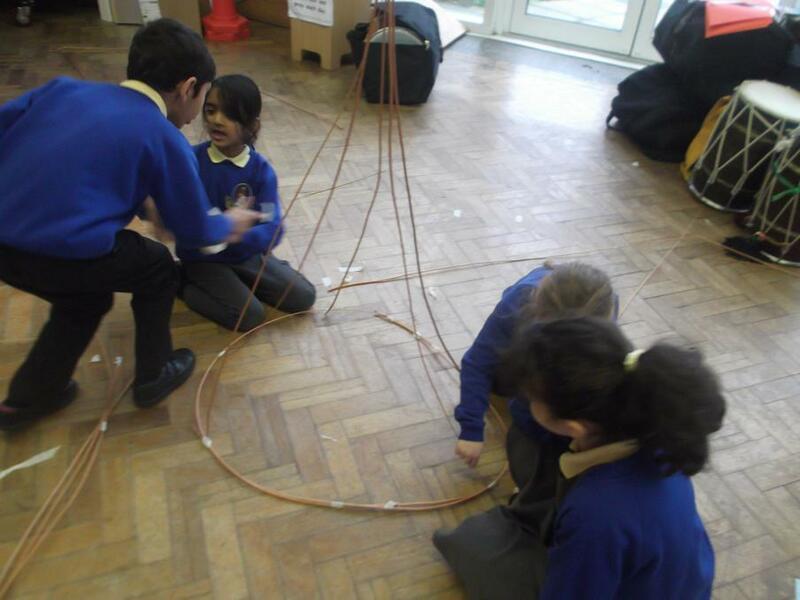 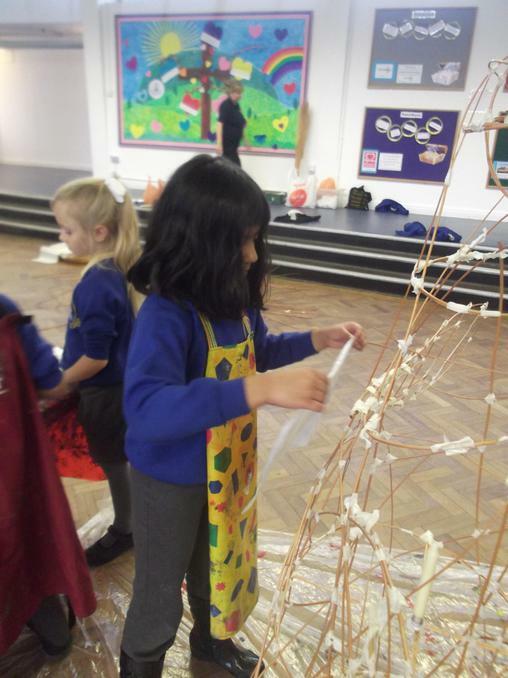 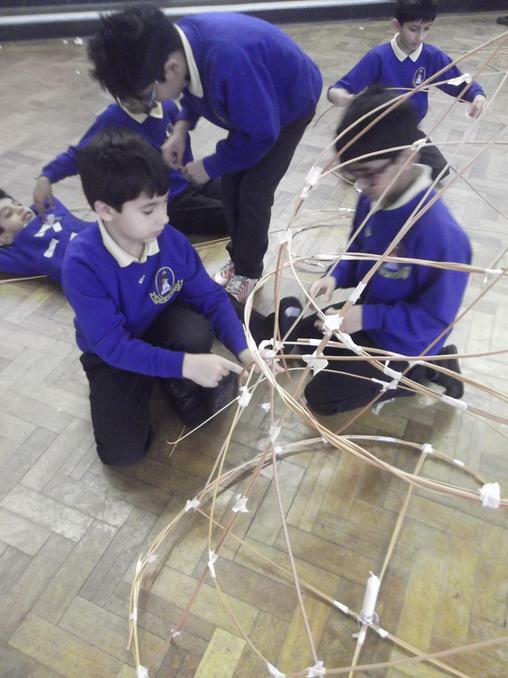 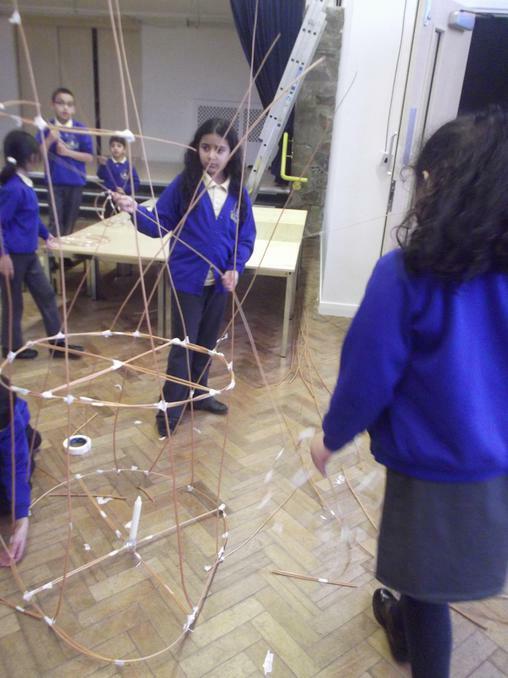 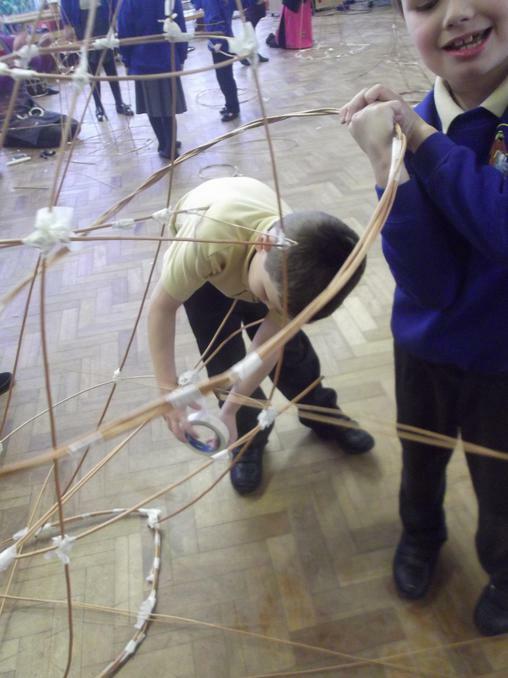 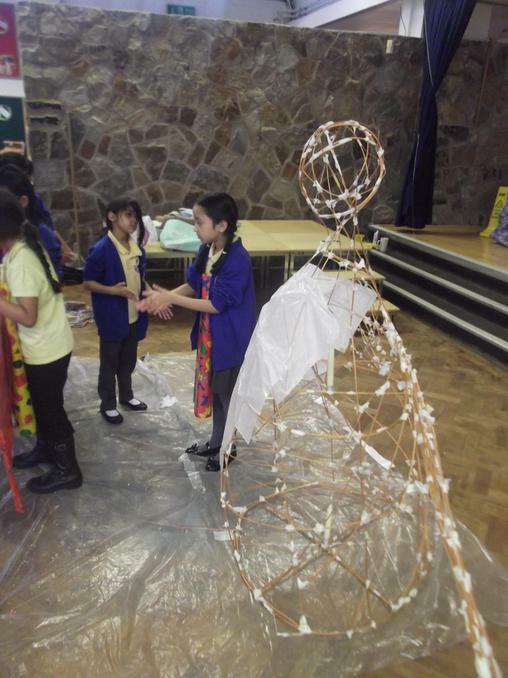 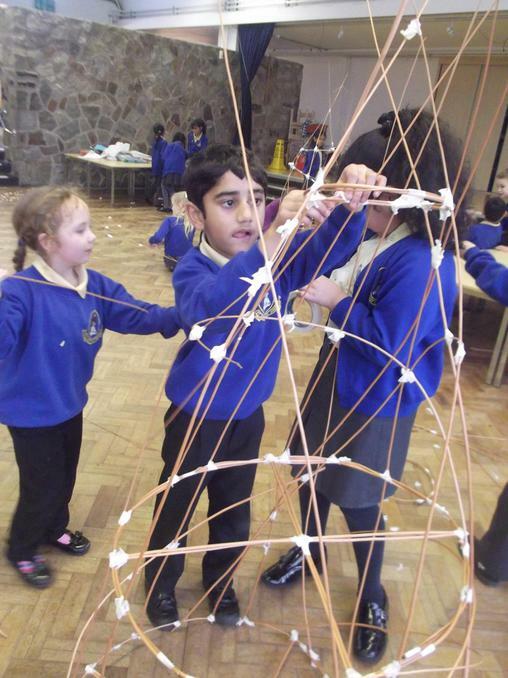 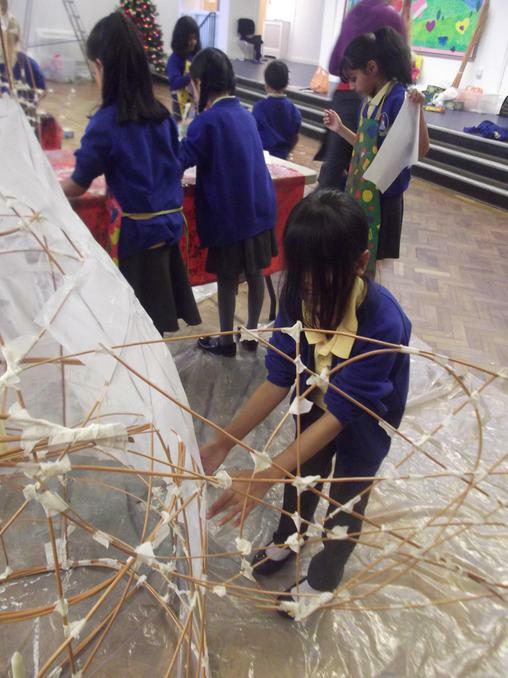 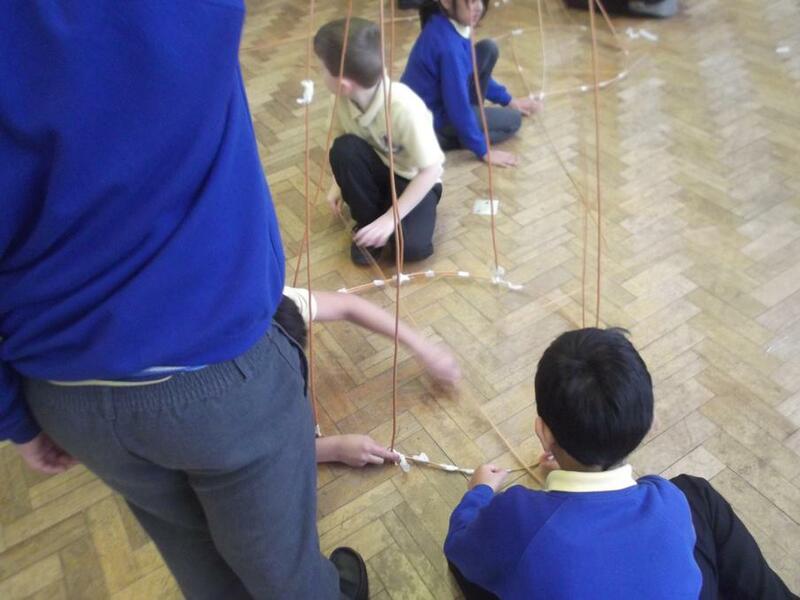 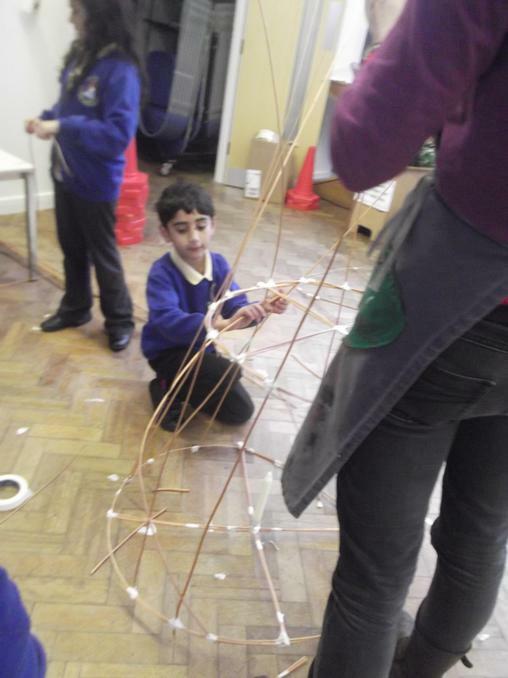 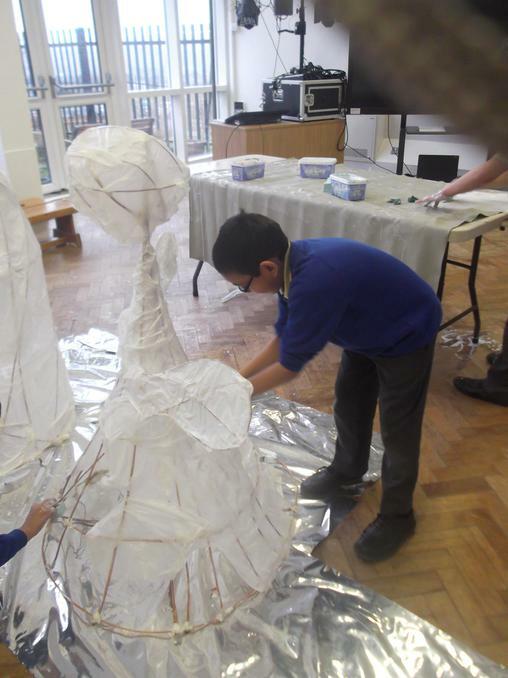 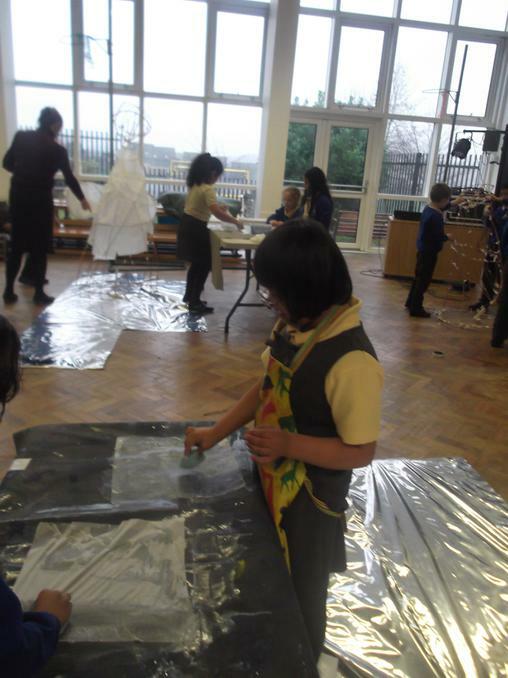 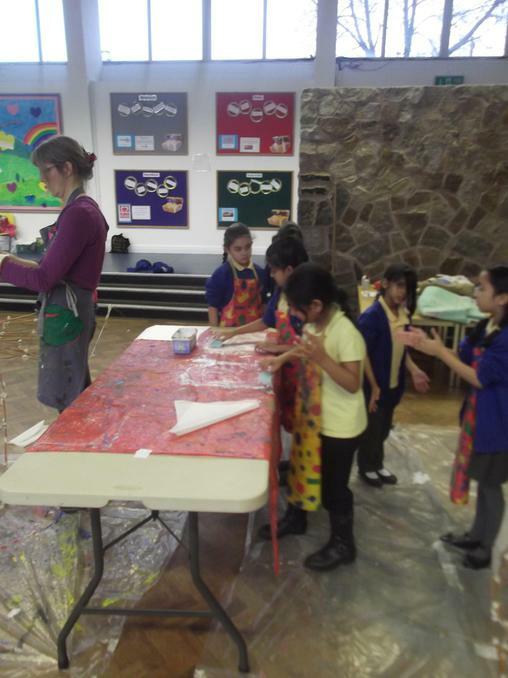 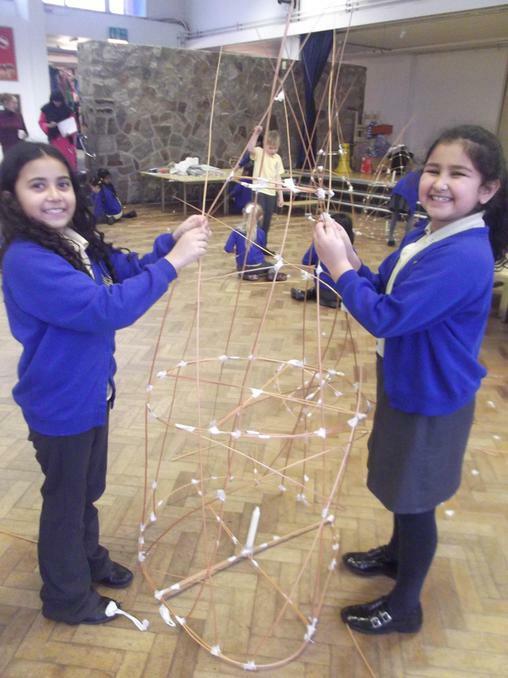 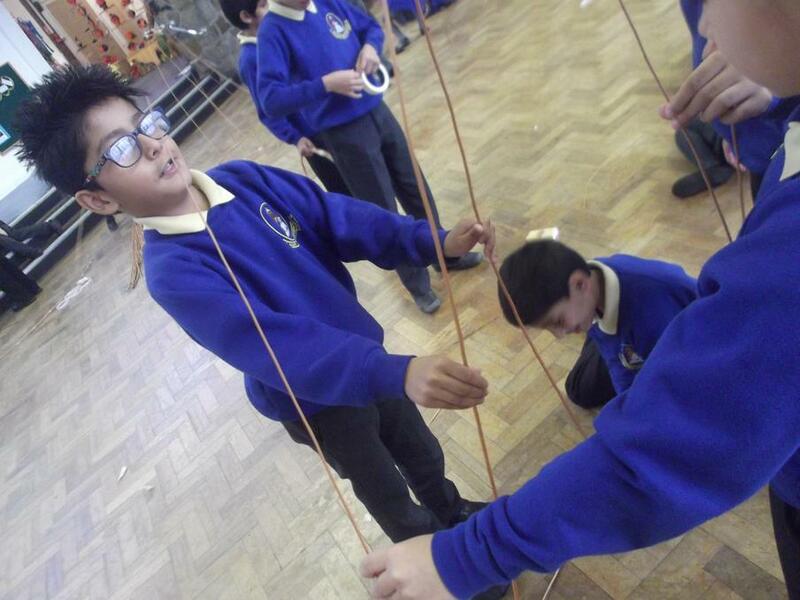 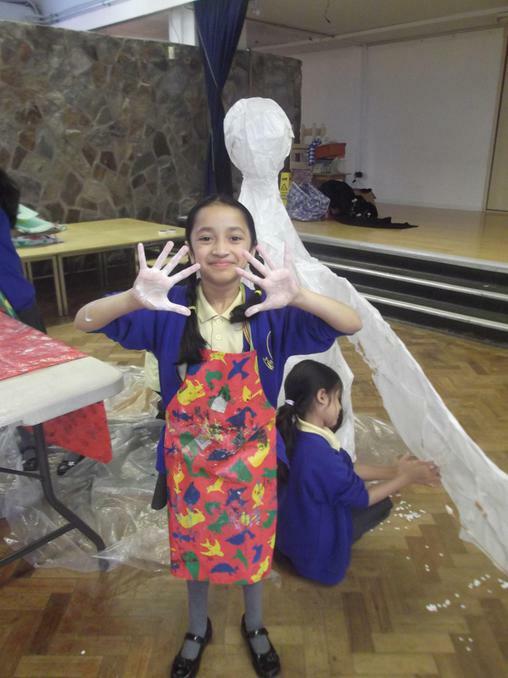 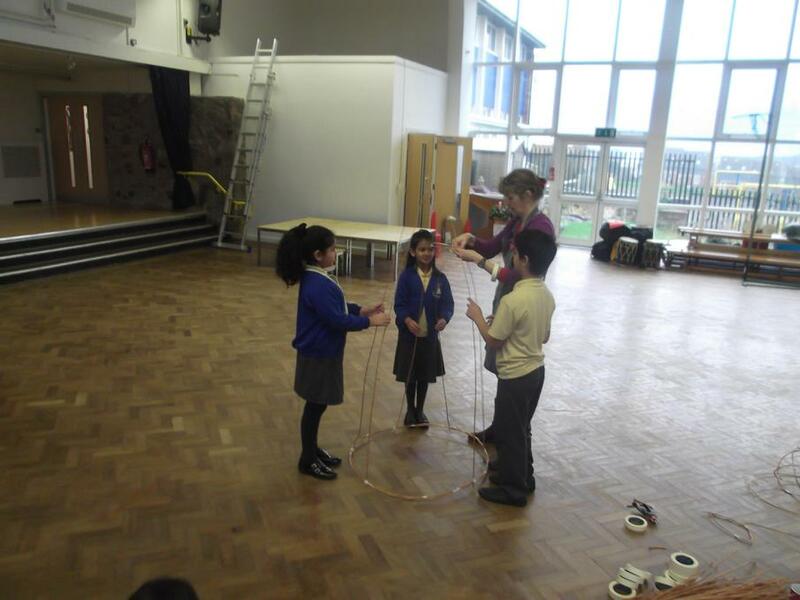 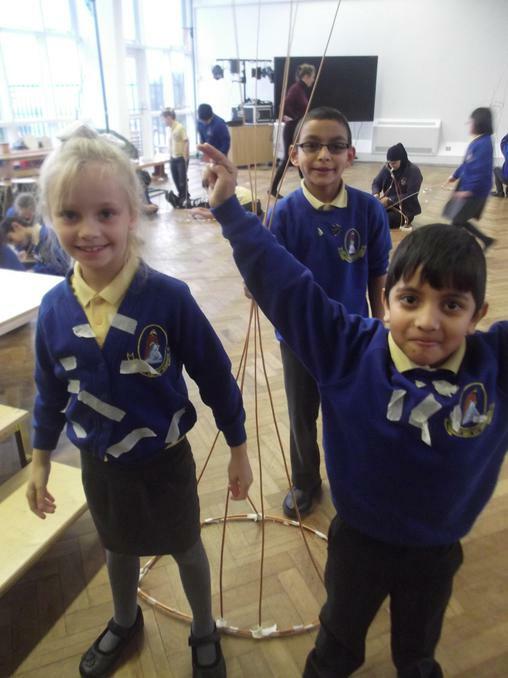 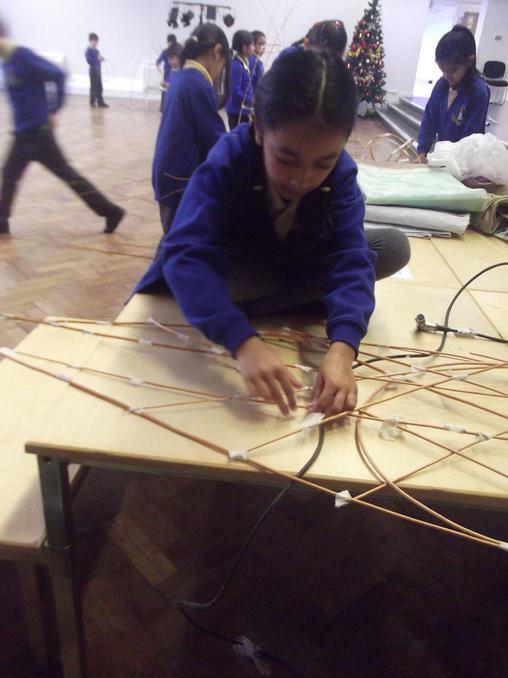 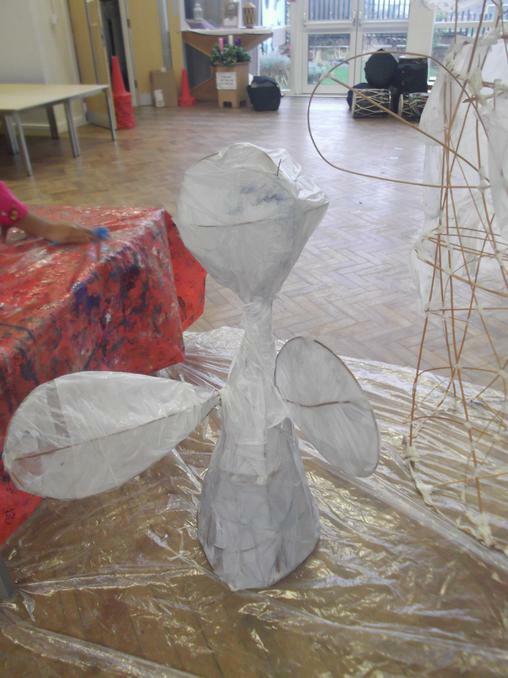 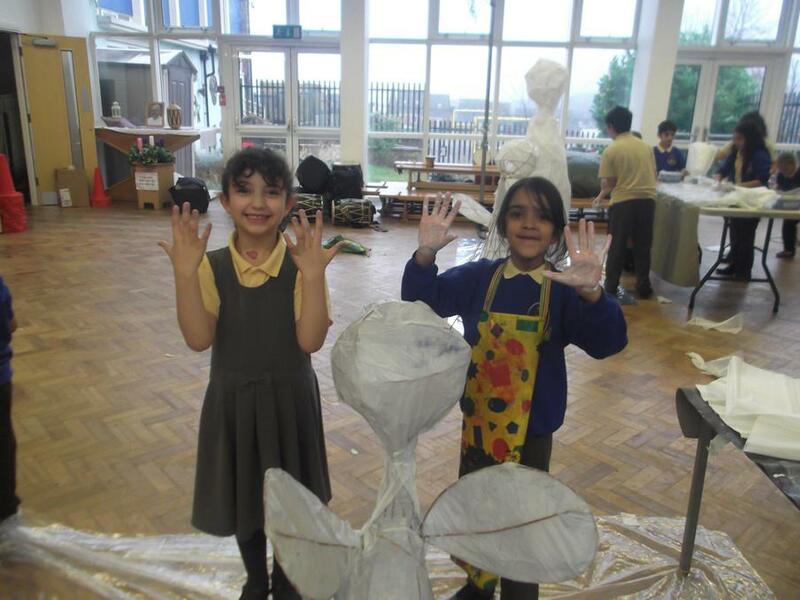 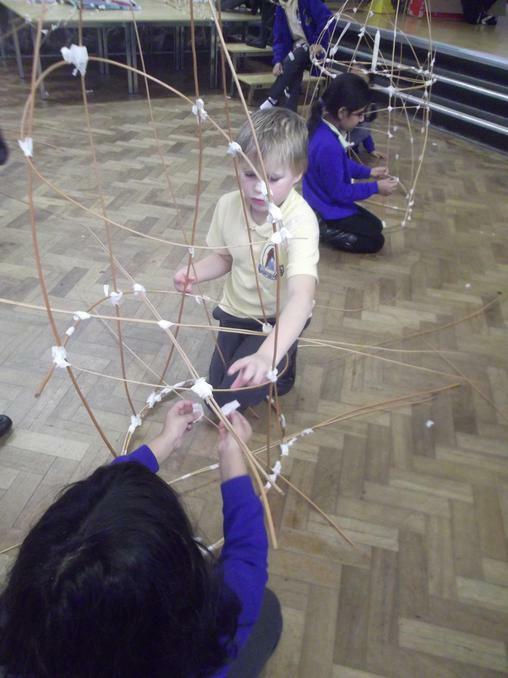 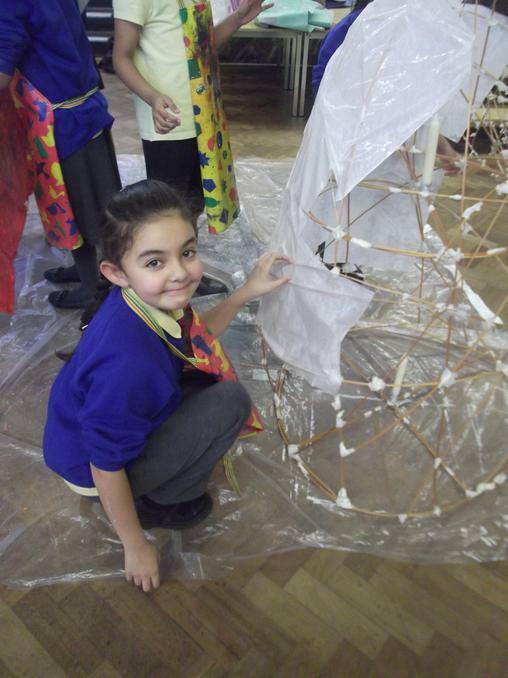 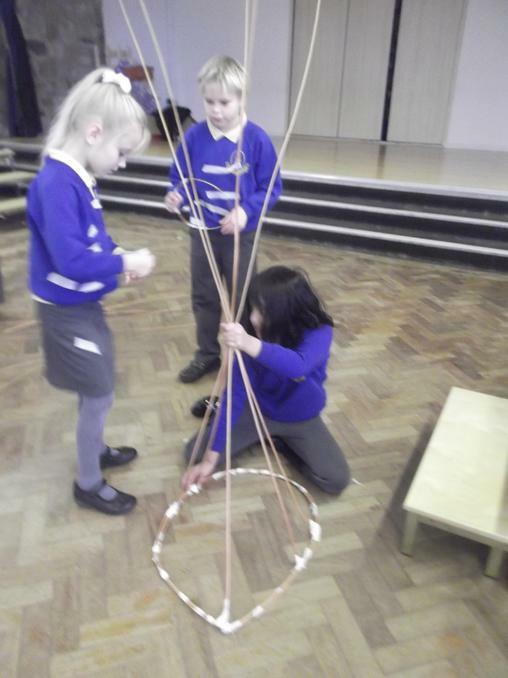 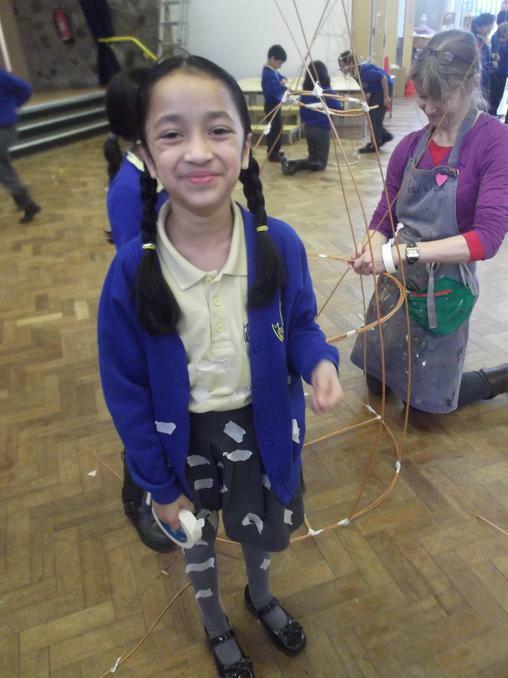 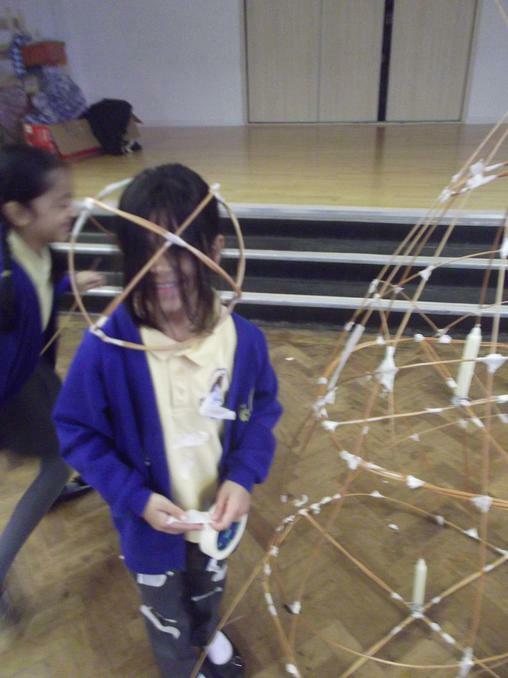 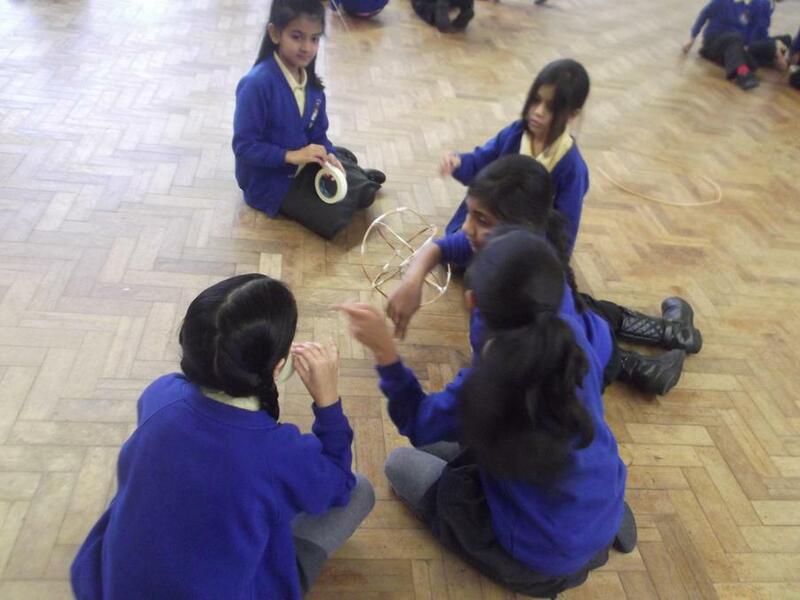 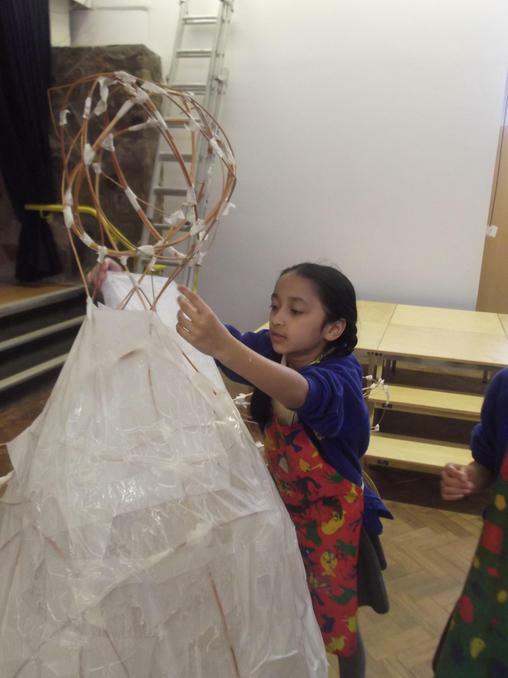 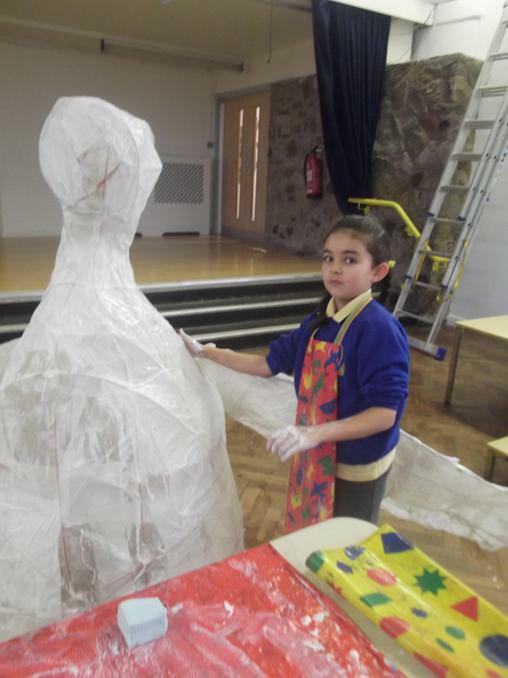 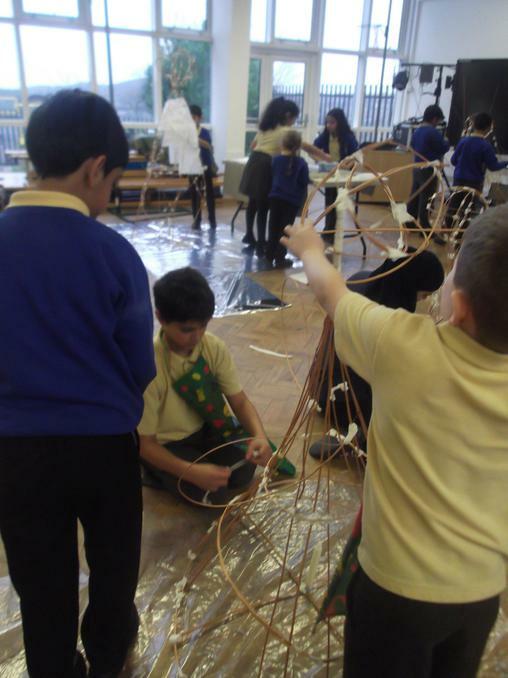 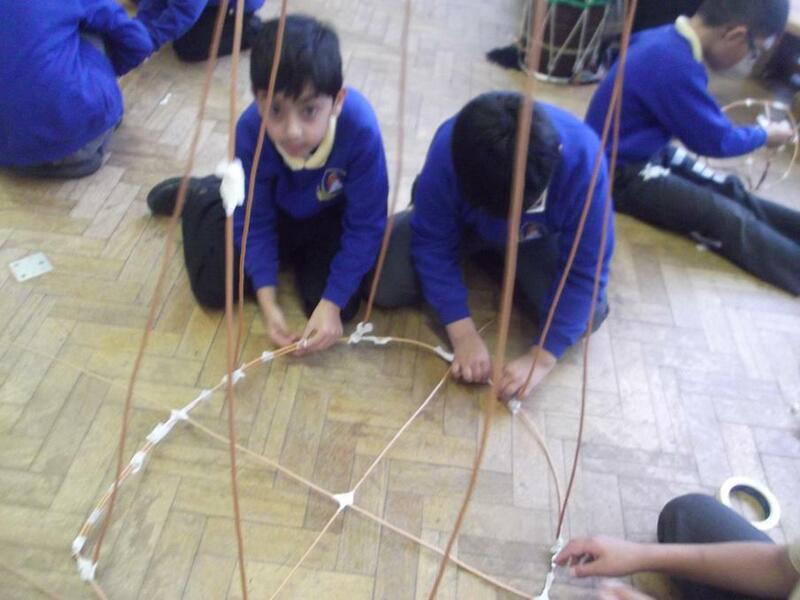 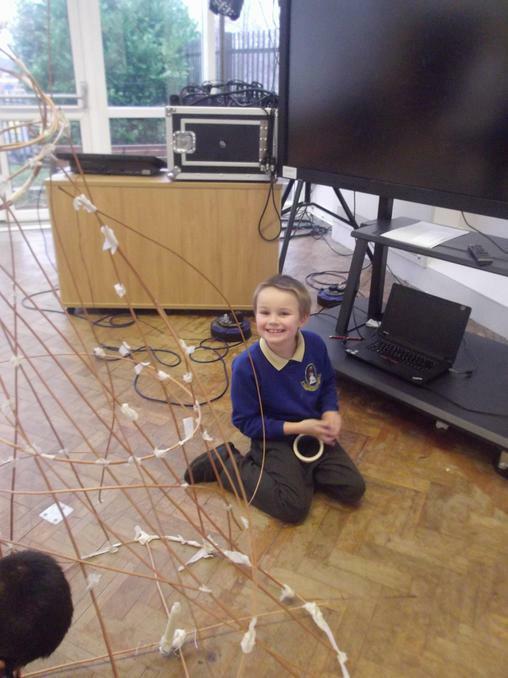 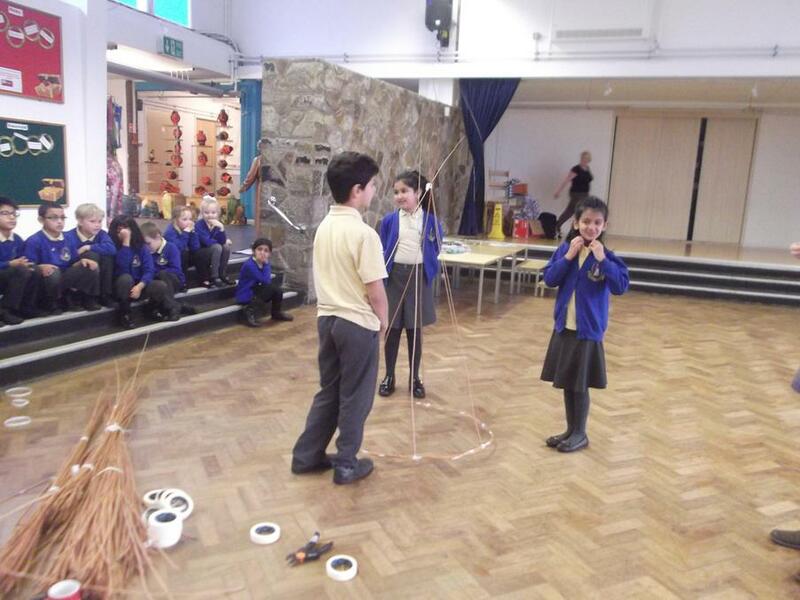 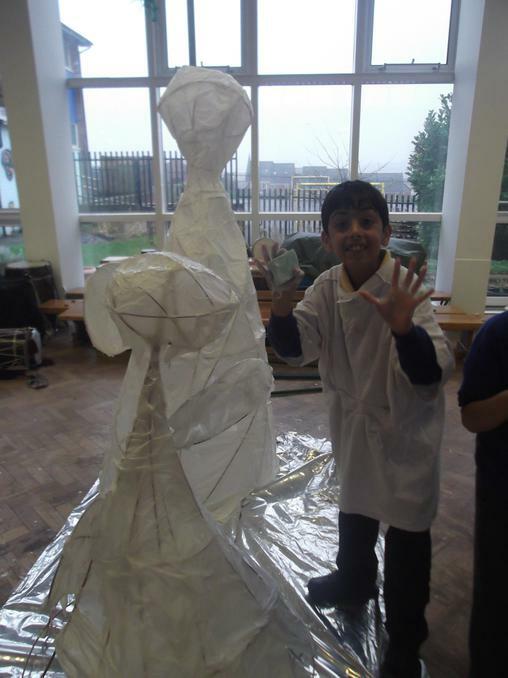 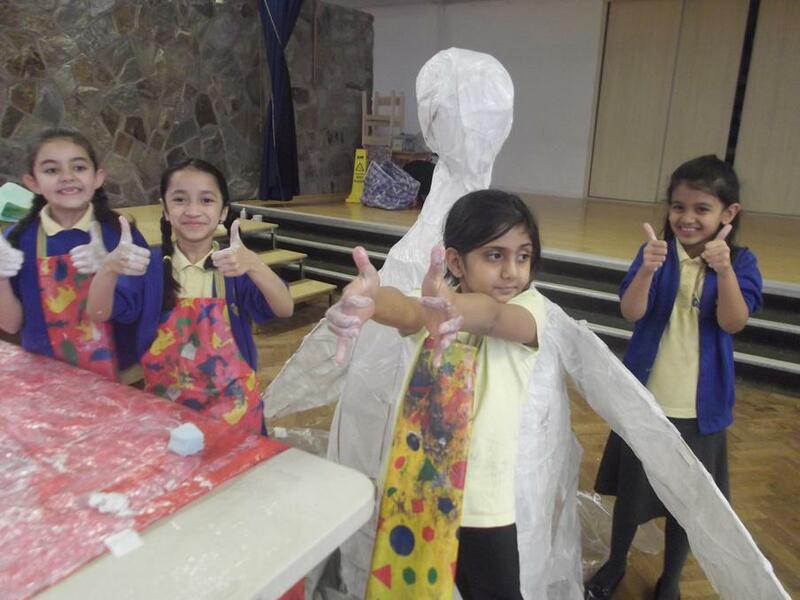 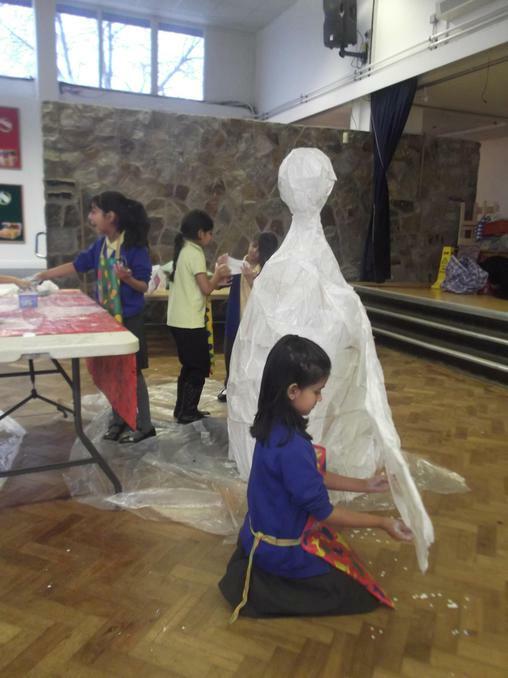 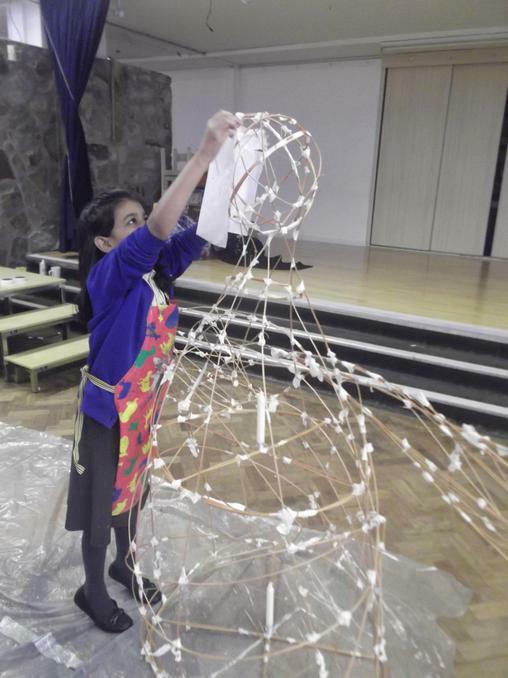 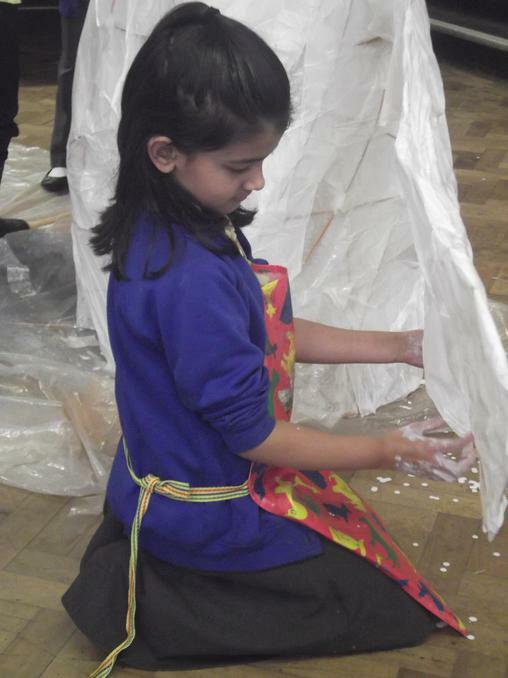 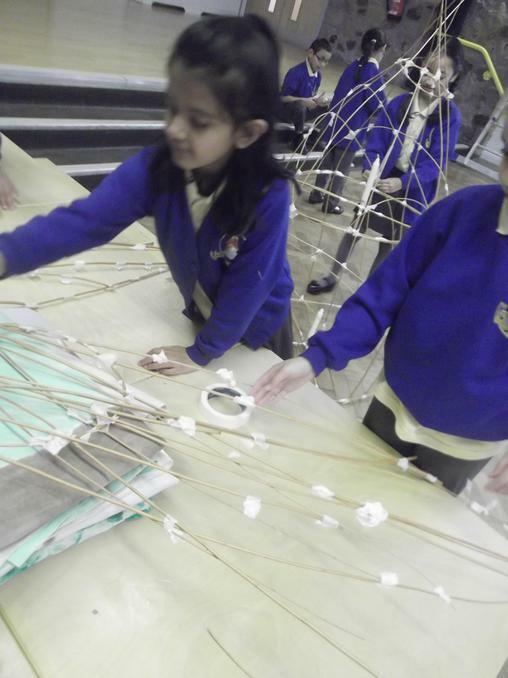 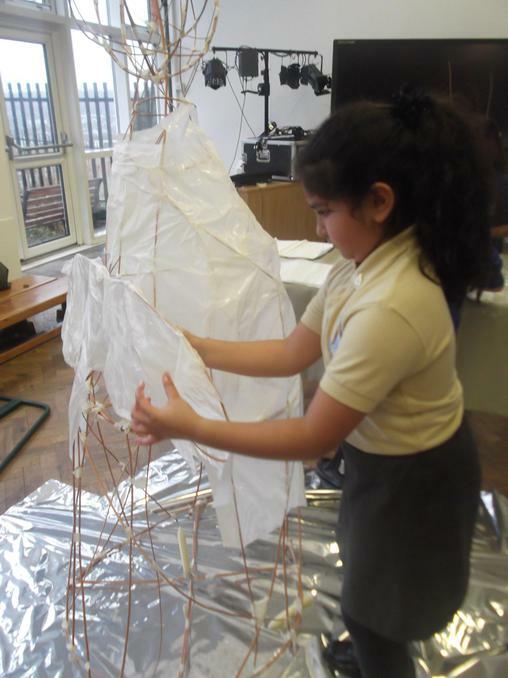 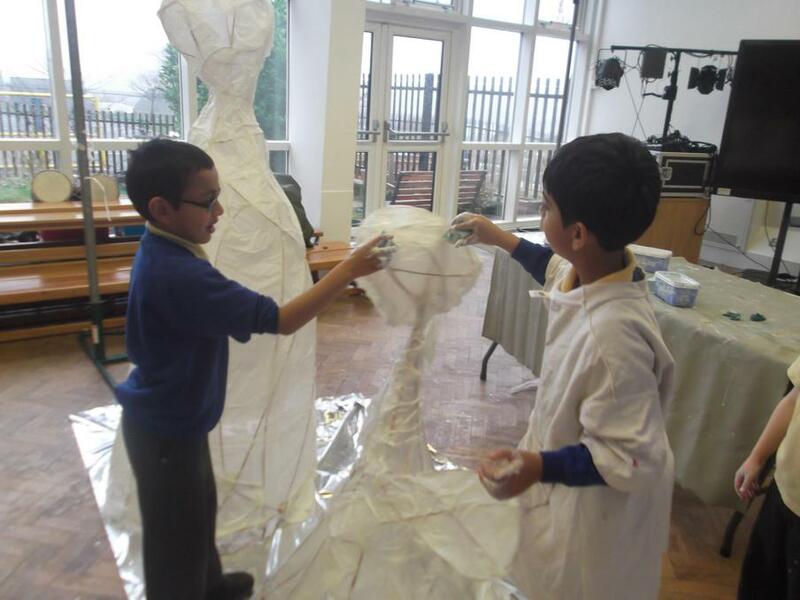 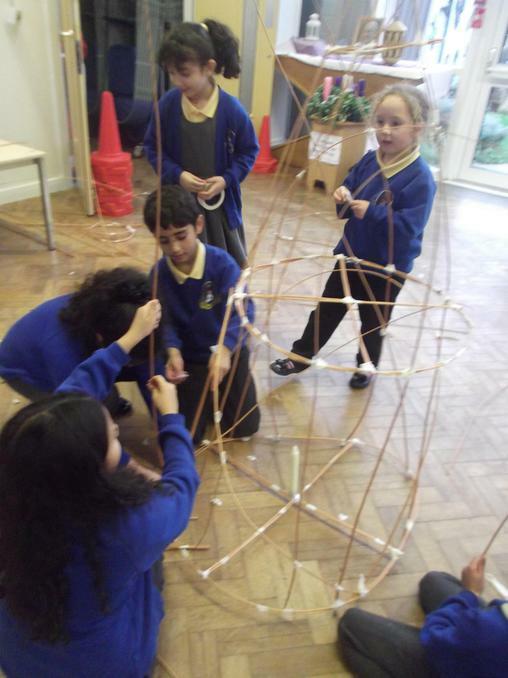 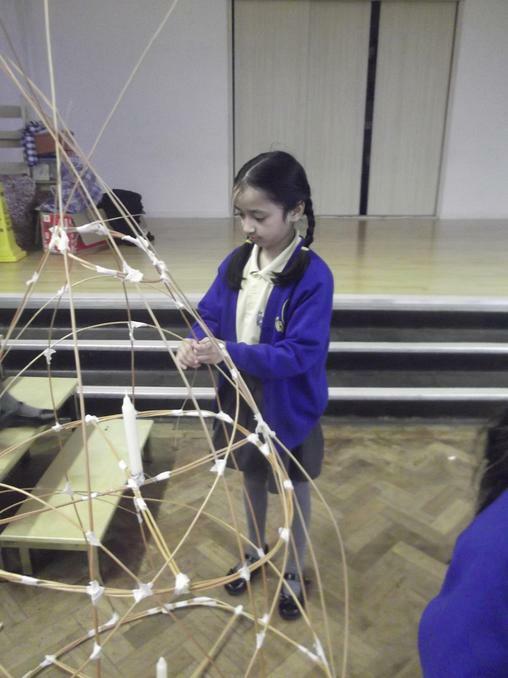 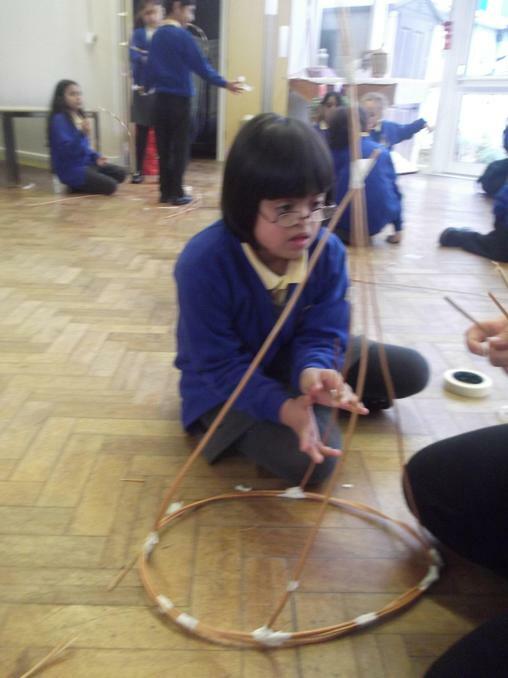 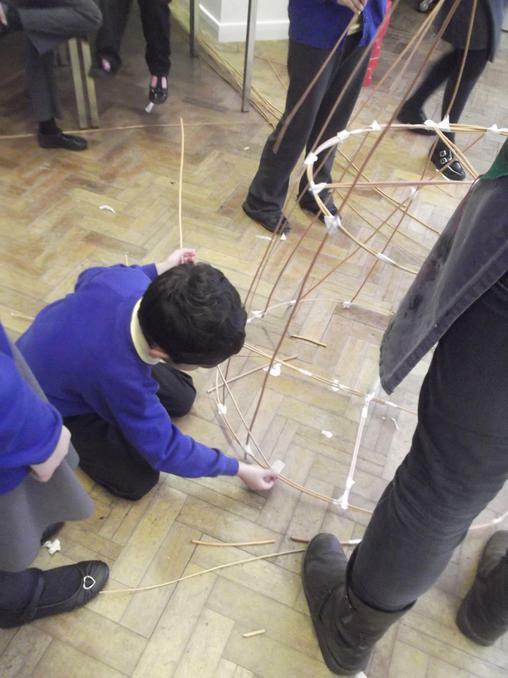 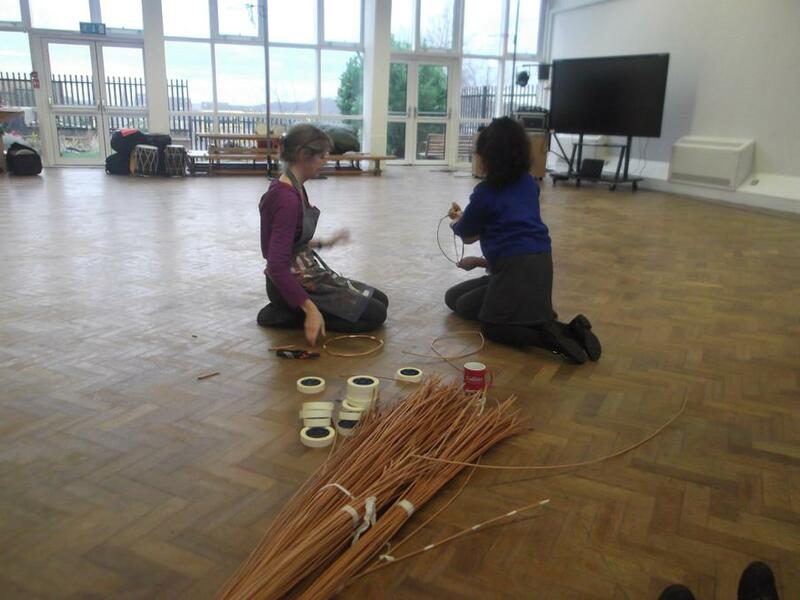 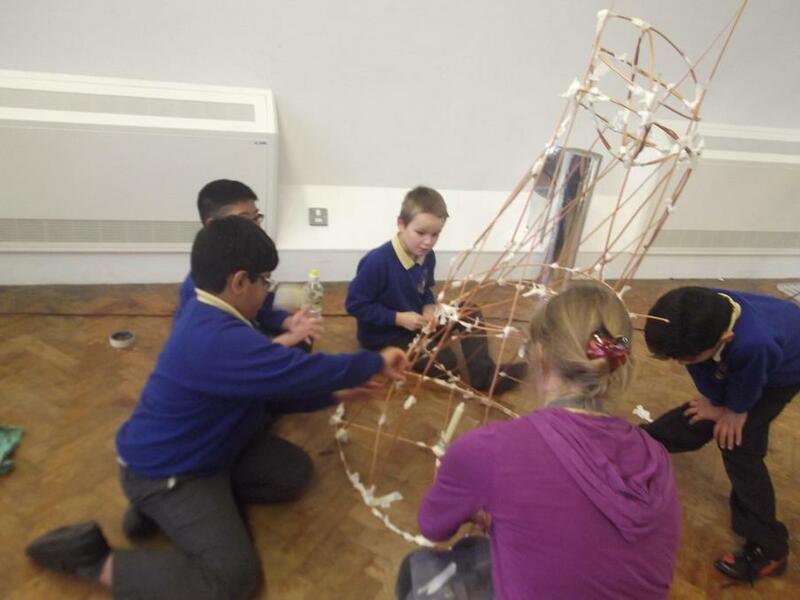 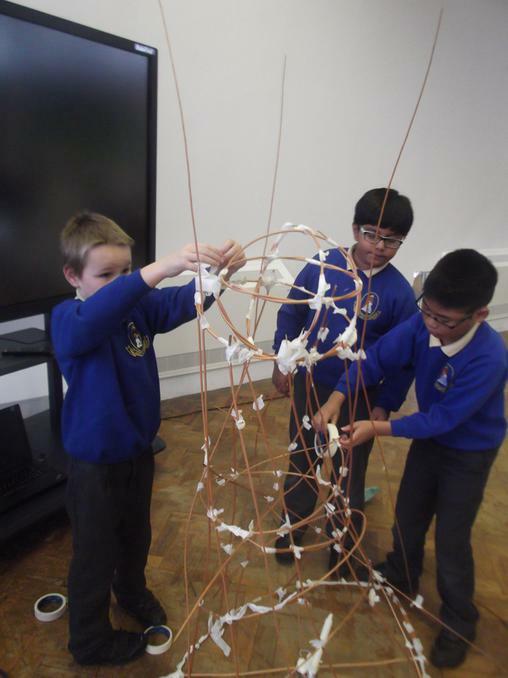 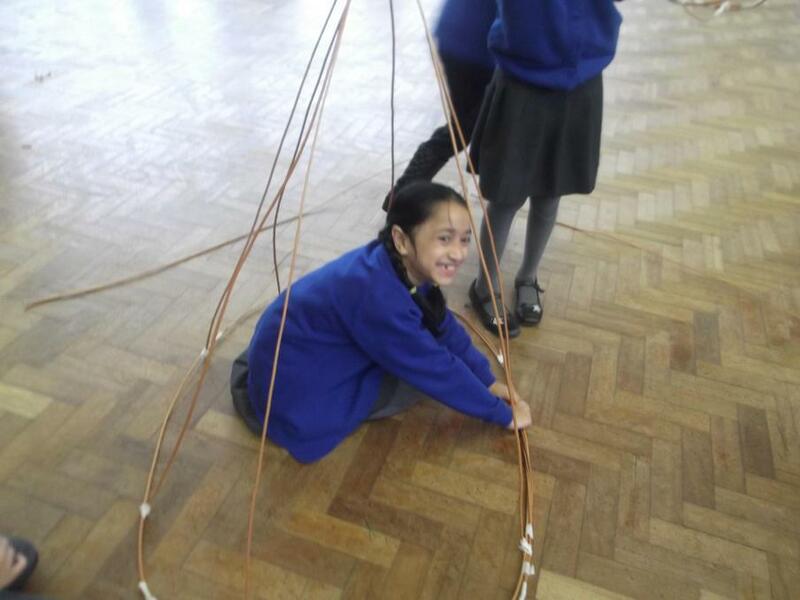 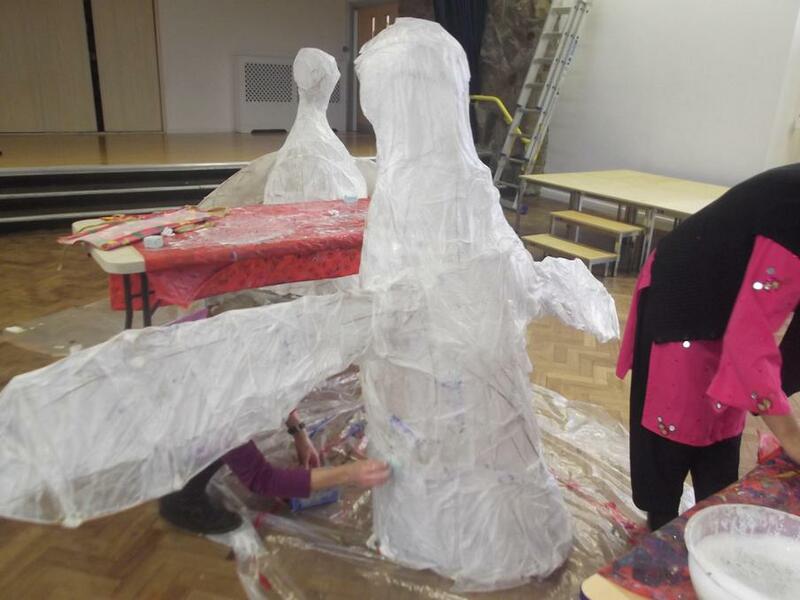 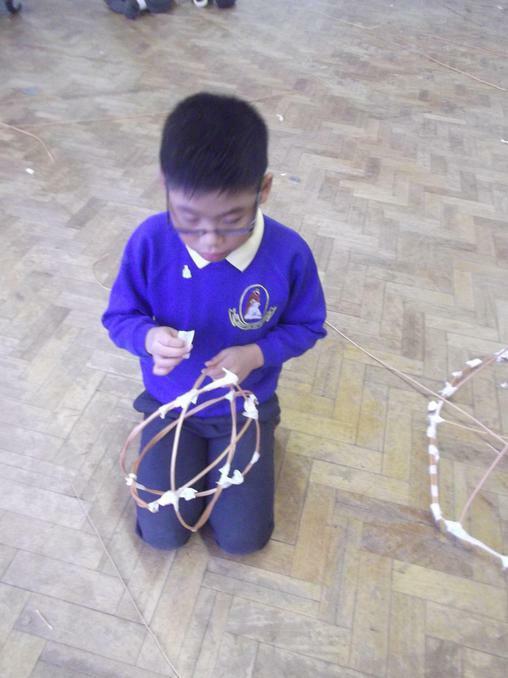 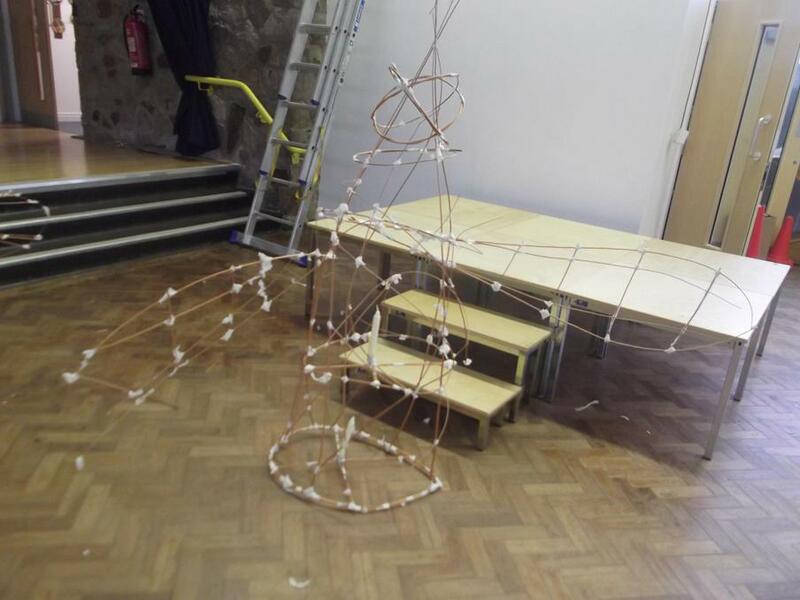 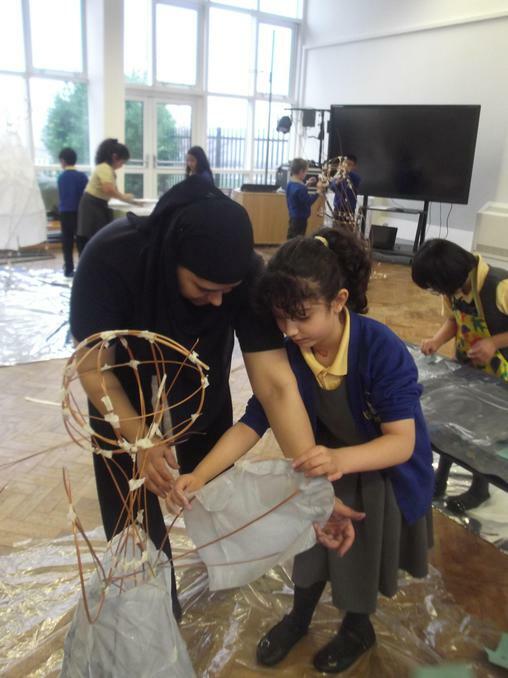 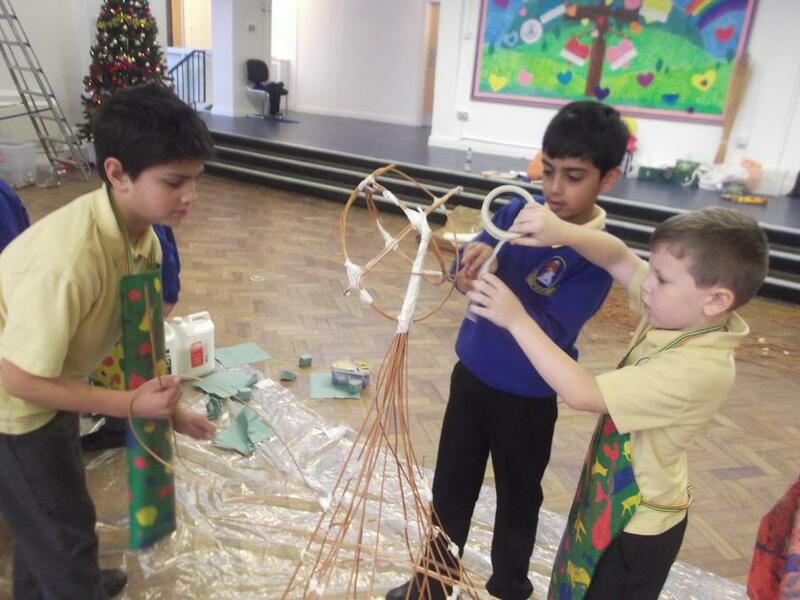 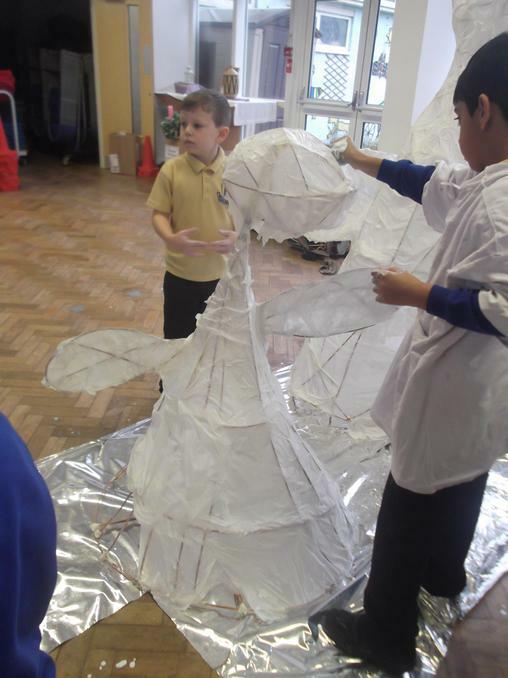 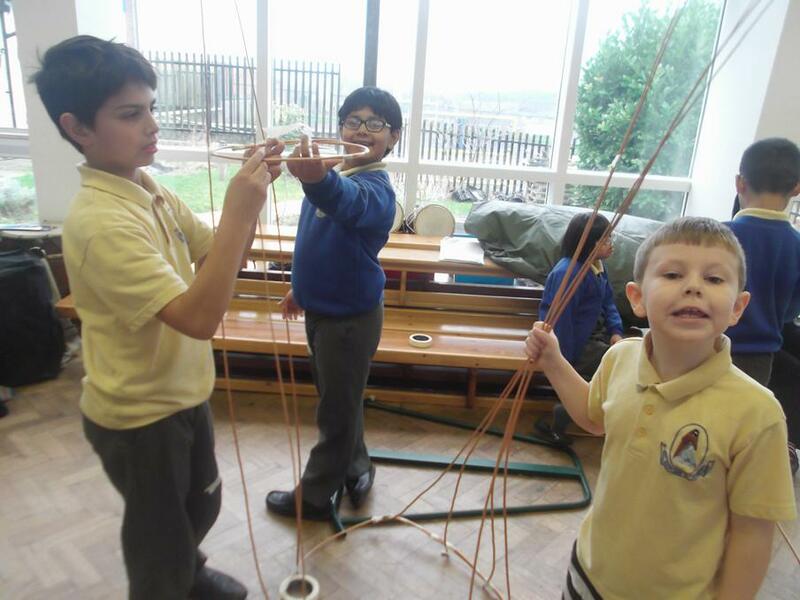 An artist called Vanessa came to school to make lanterns with the children, they made angels using willow sticks. 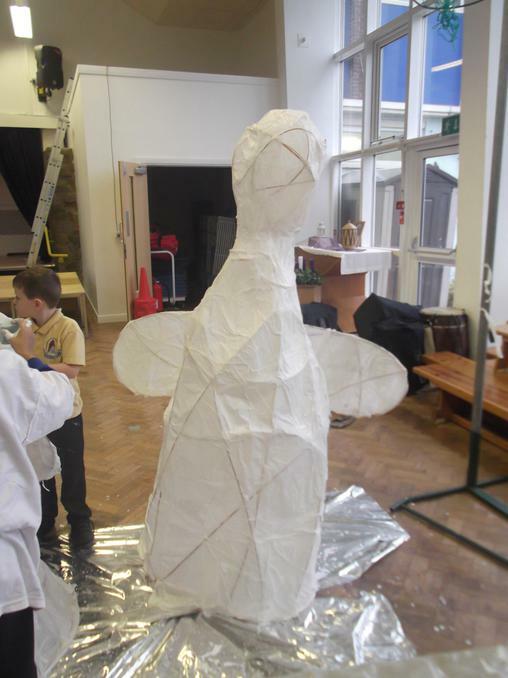 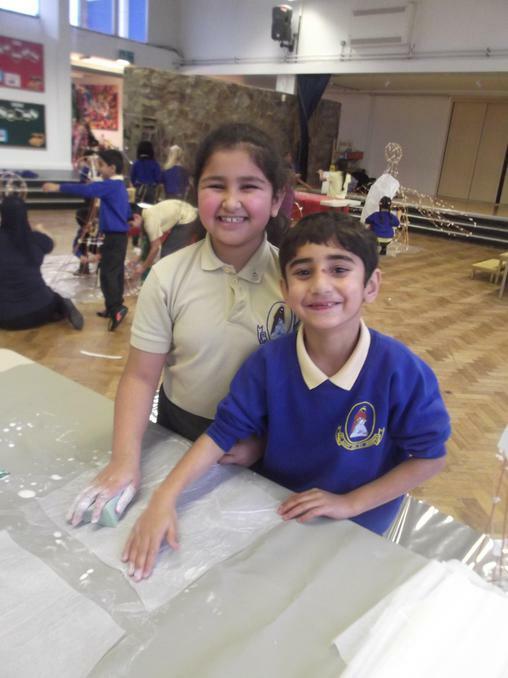 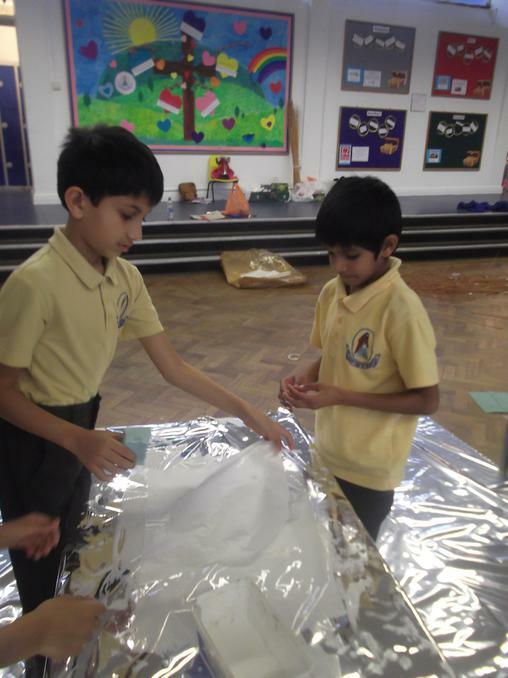 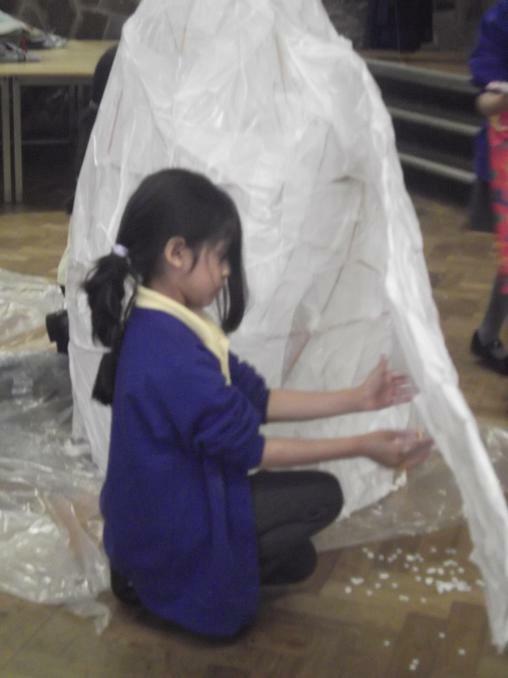 Once they made the structure of an angel, the children put a candle in the middle and covered the angel with tissue paper. 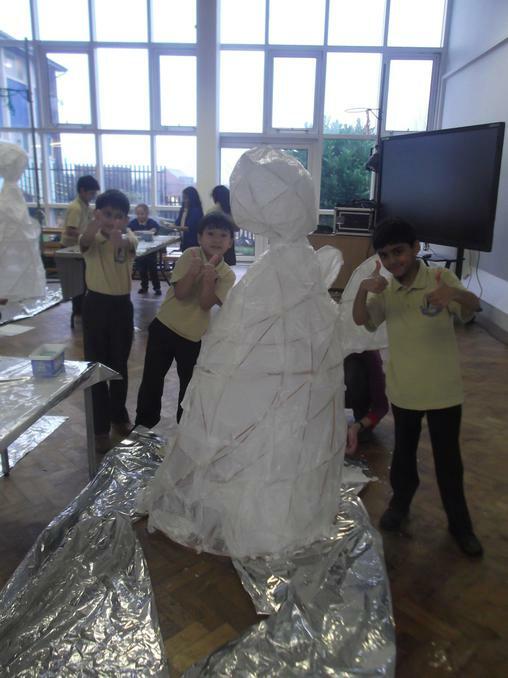 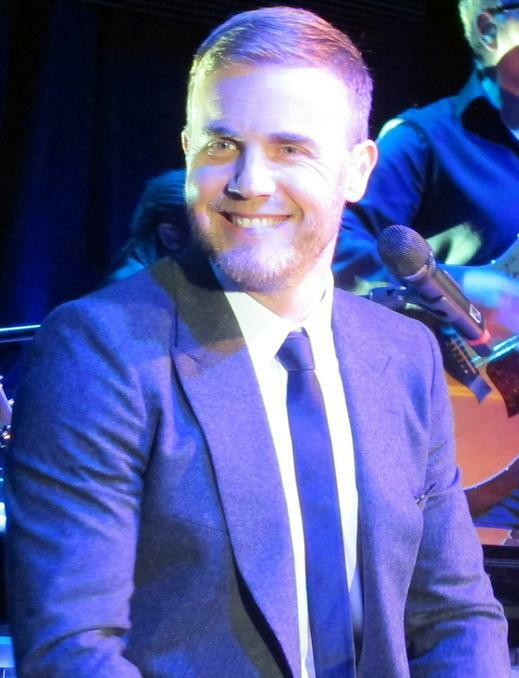 Have a look at our amazing angels! 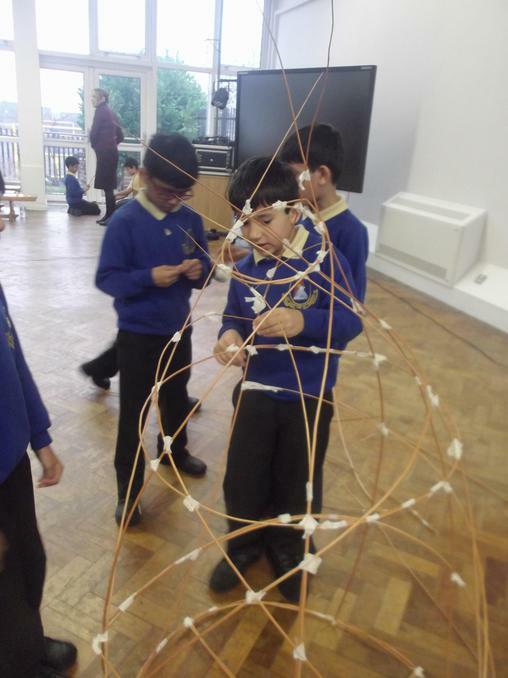 The children spent the morning in the Cathedral, we looked at the different features of the Cathedral and compared them to the features of Mosques. 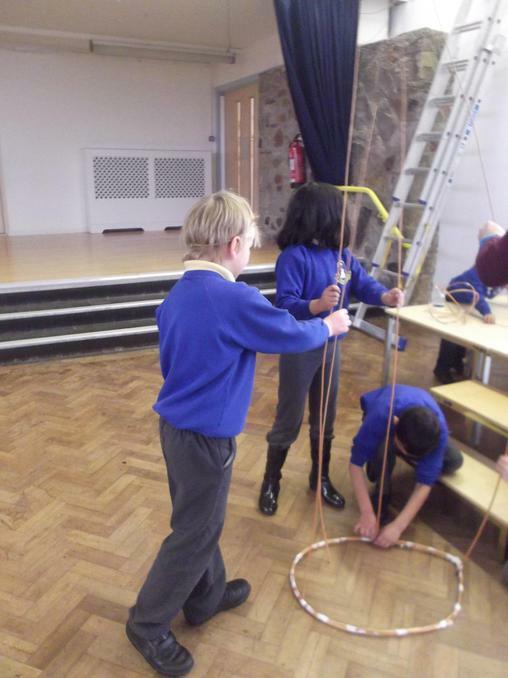 We then went inside for a tour of the Cathedral. 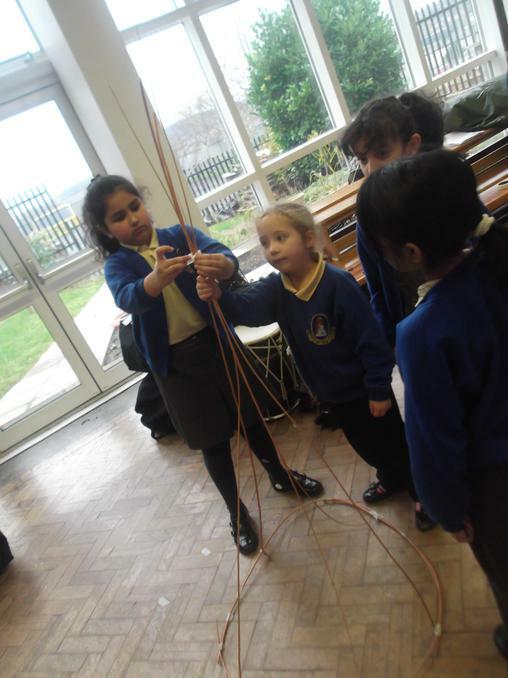 The children looked up and saw the shape of the ceiling is an arched shape, this is to remind us about the story of Noah’s Ark. 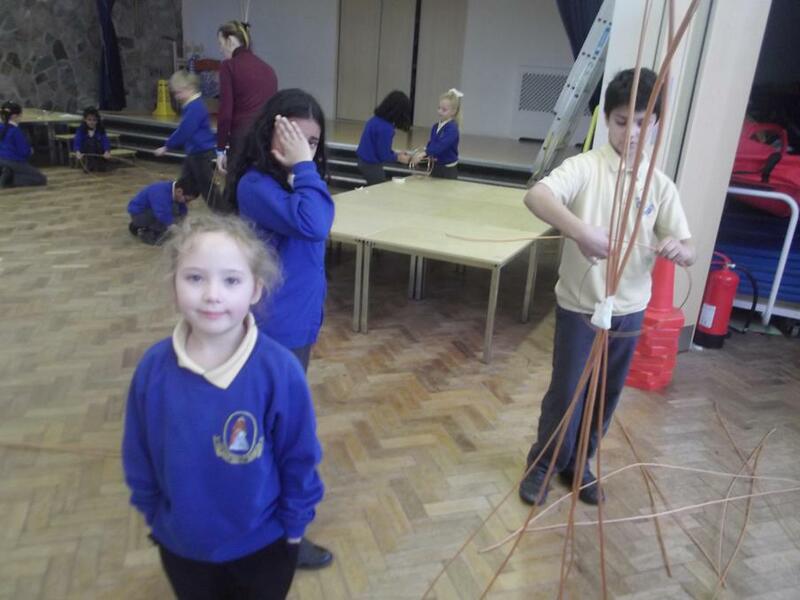 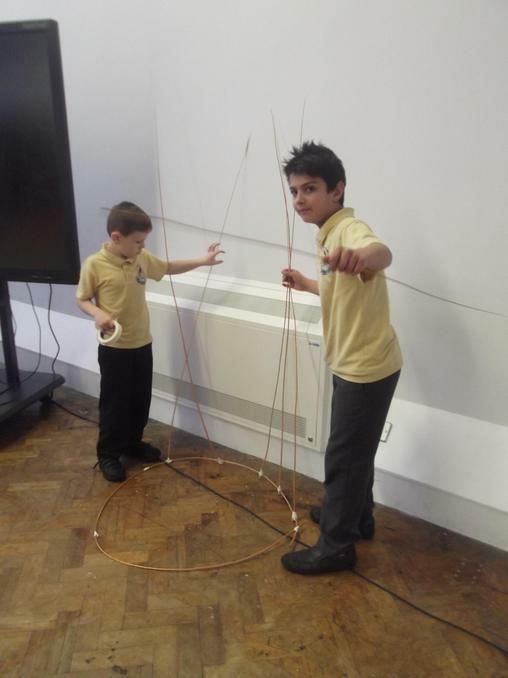 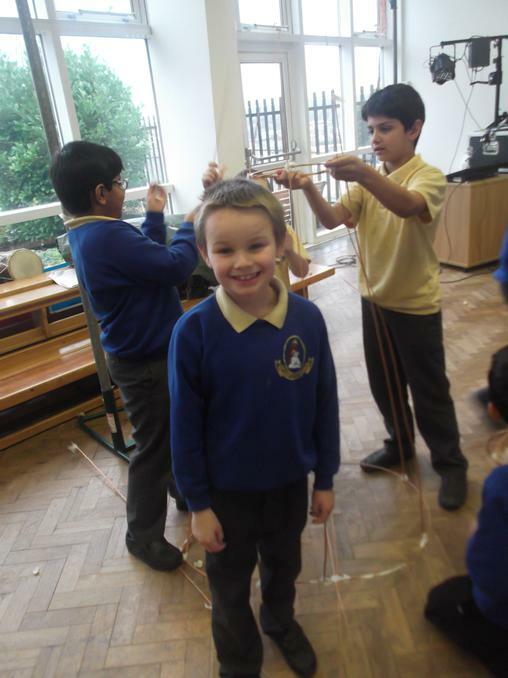 The children also looked at the different features of the Cathedral. 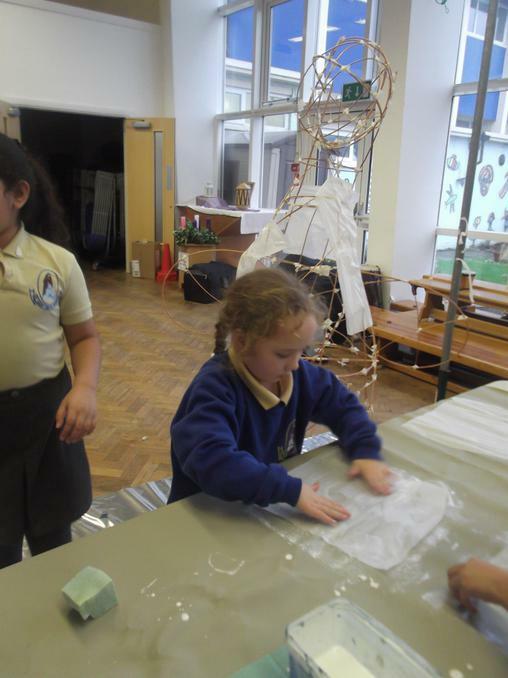 We looked at the clothes the Bishop wears, we learnt that the Bishop sits on the Cathedra. 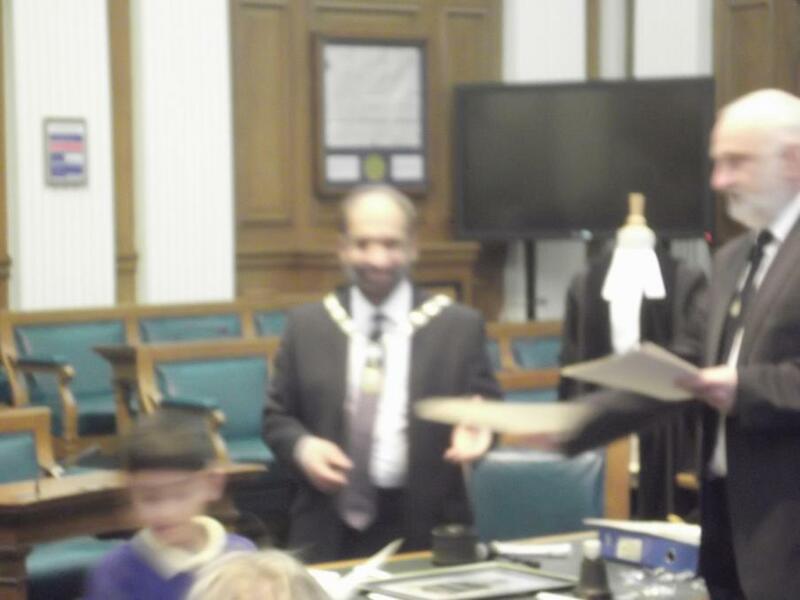 The priest wears different colour vestments depending on the occasion. 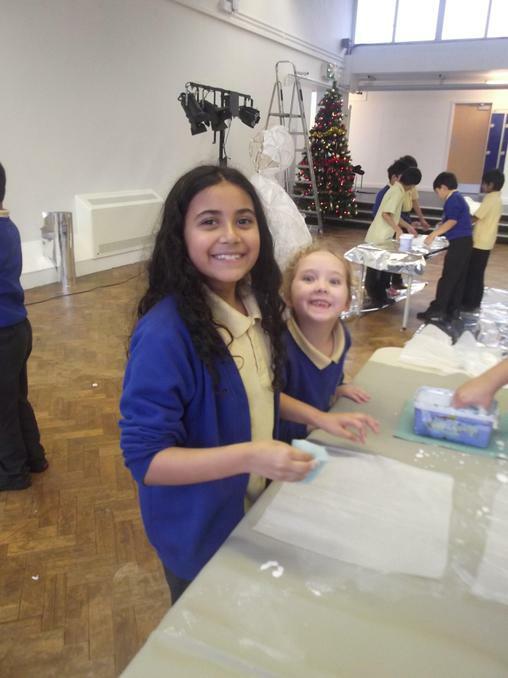 During happy times a cream, gold or yellow vestment is worn. 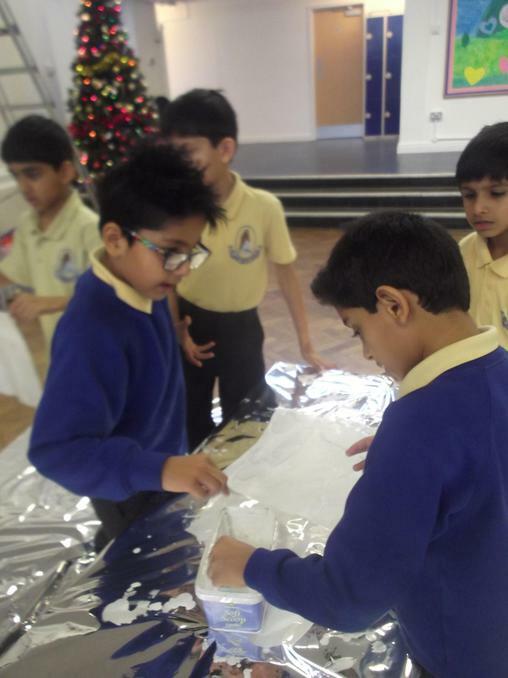 A purple vestment is worn during sad times, during Pentecost a red vestment is worn and any other time a green vestment is worn. 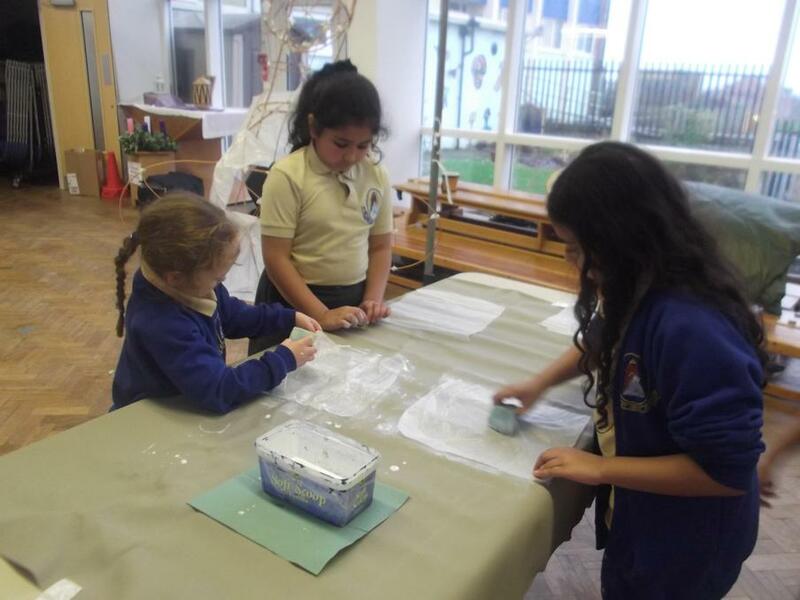 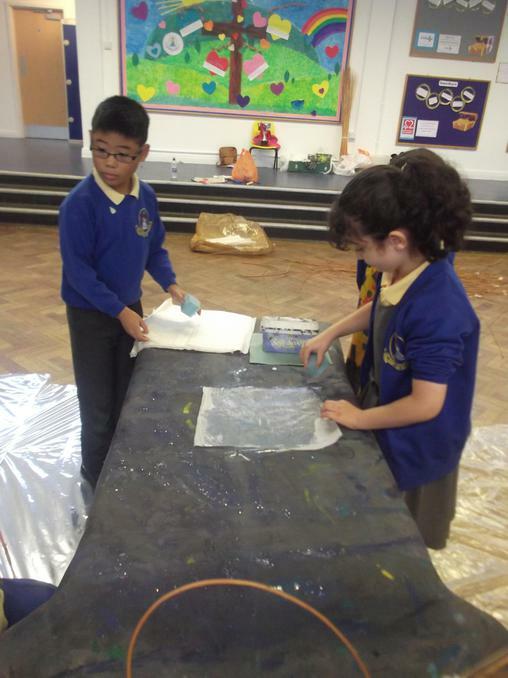 We had a look at the Baptismal Font were people are Baptised. 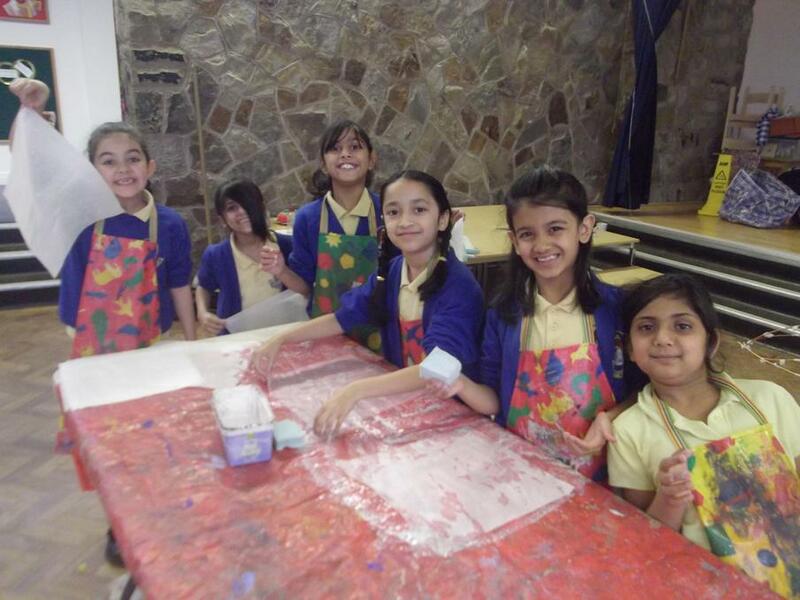 Before we left the Cathedral we sent peace upon everyone by saying ‘peace be with you’ or ‘Asalamualykum’. 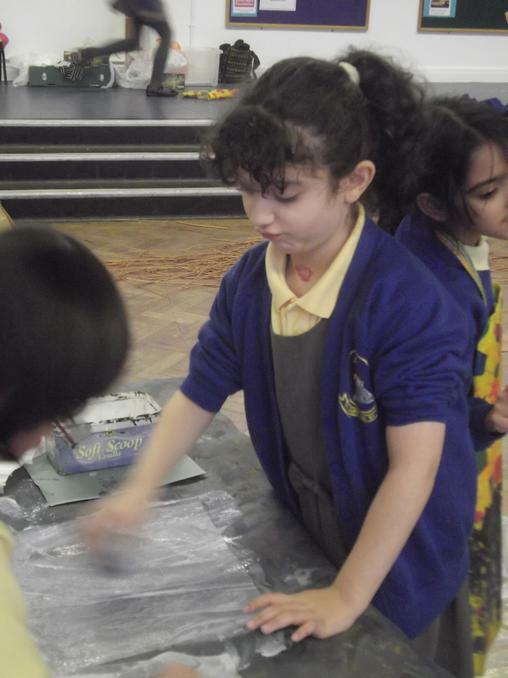 We have been learning about shadows and how they are formed. 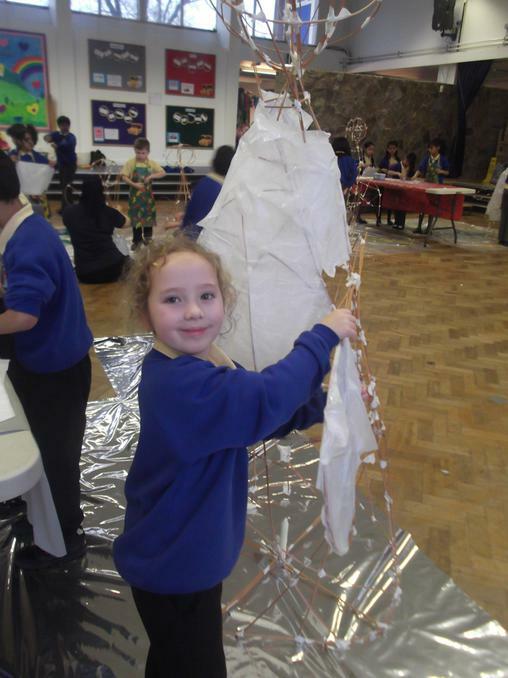 The children planned a shadow puppet show. 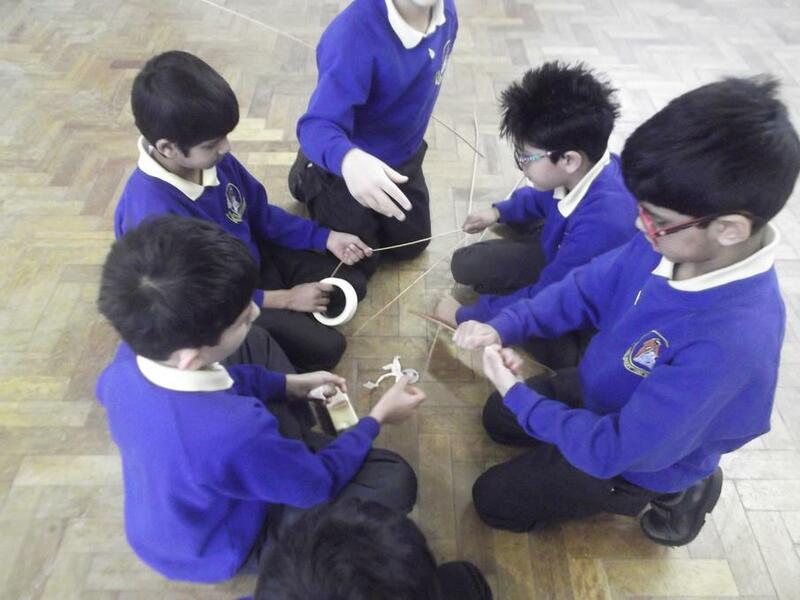 They then performed their shadow puppet show to the rest of the class.